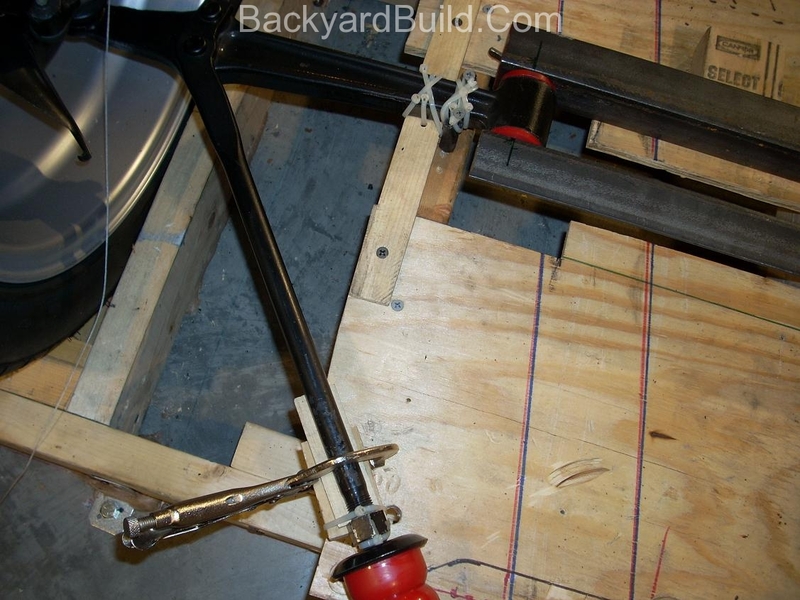 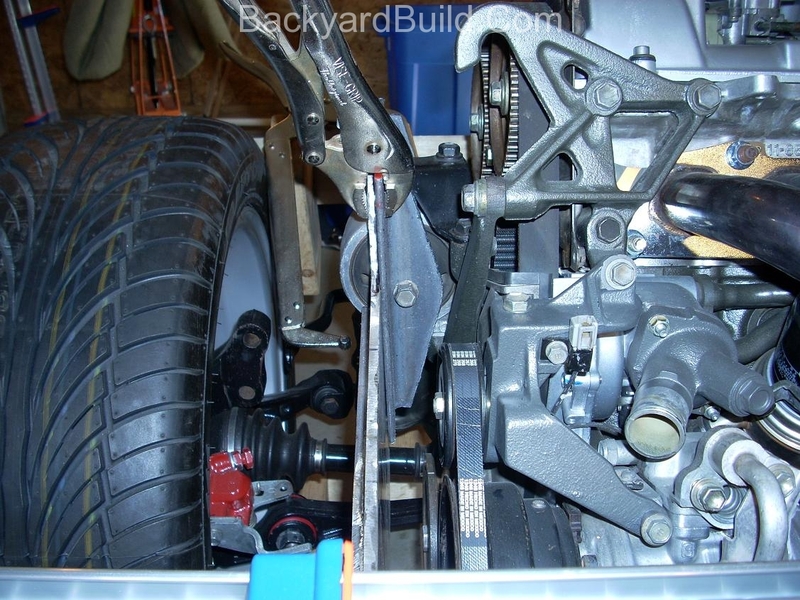 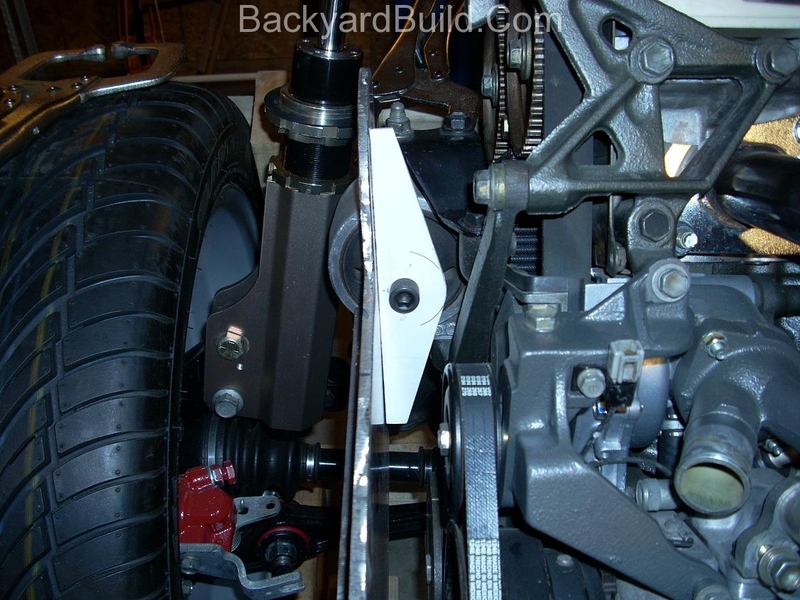 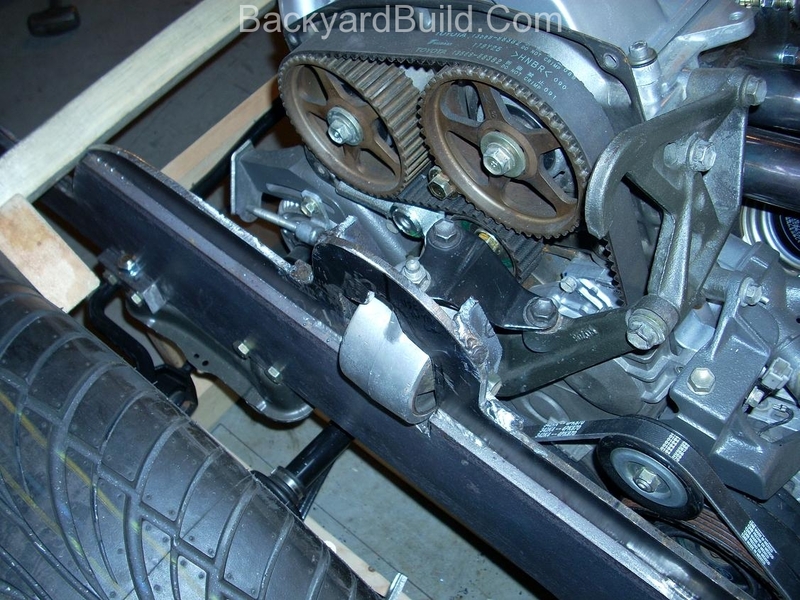 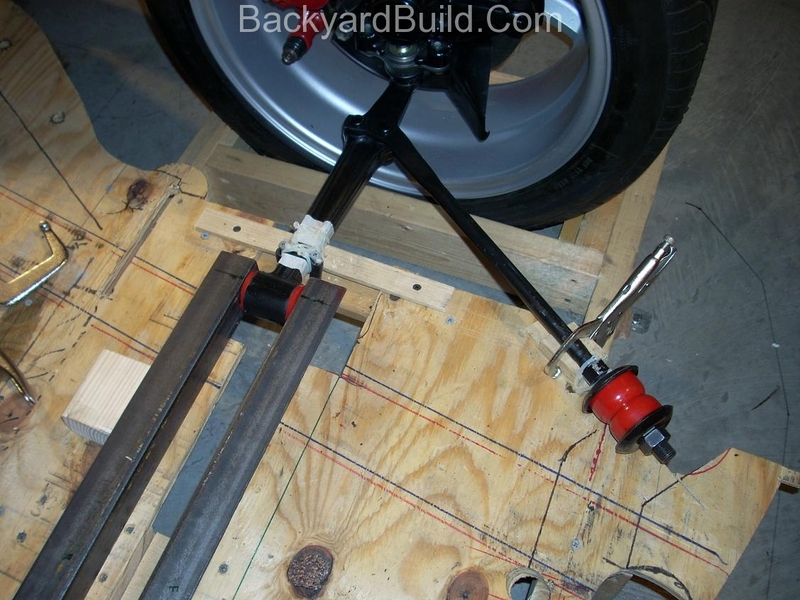 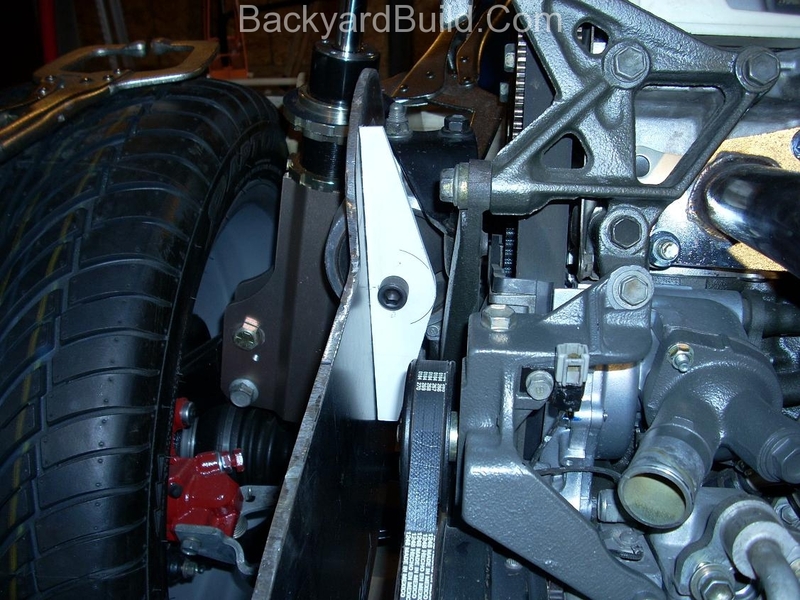 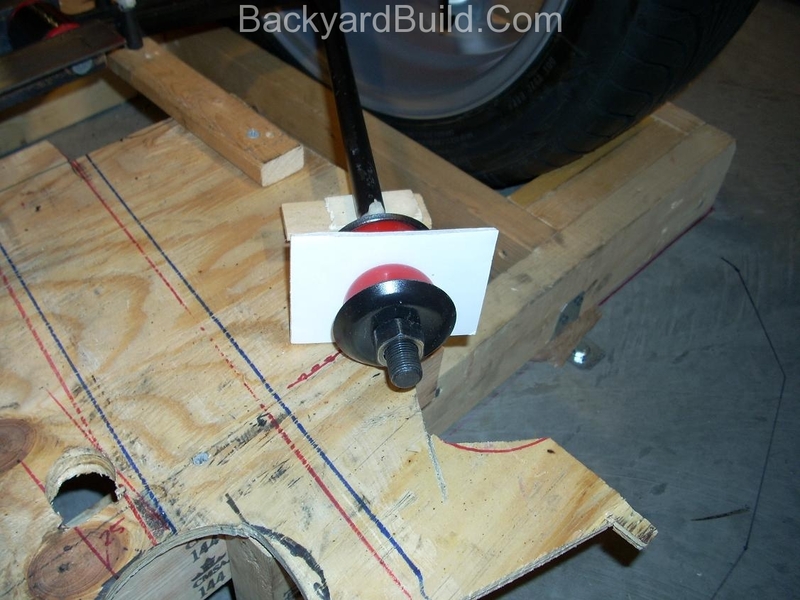 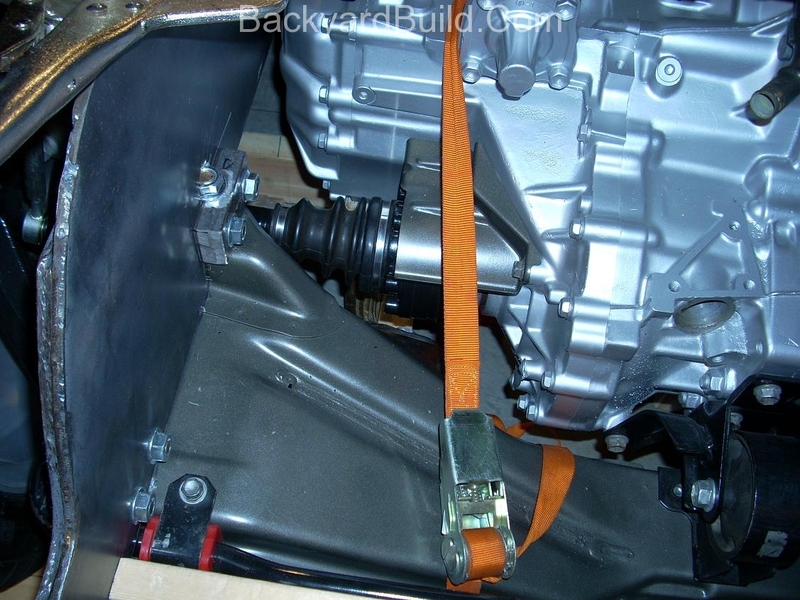 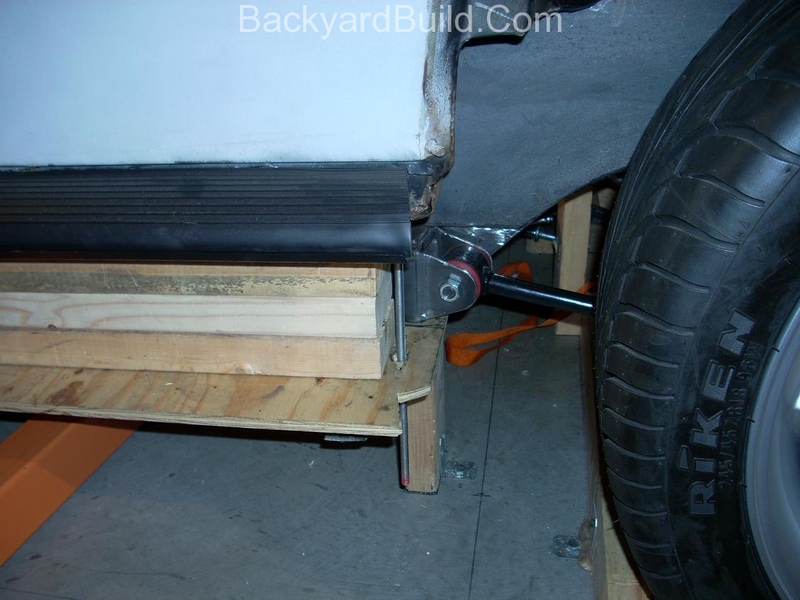 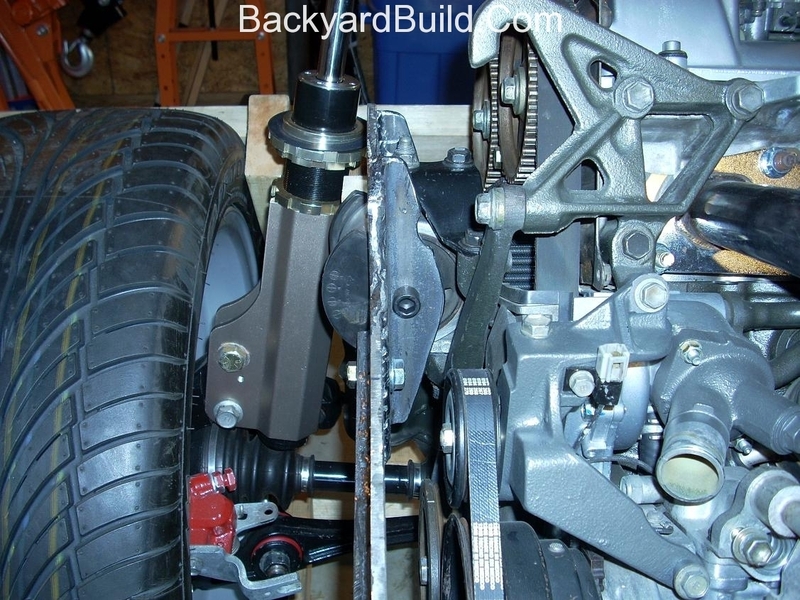 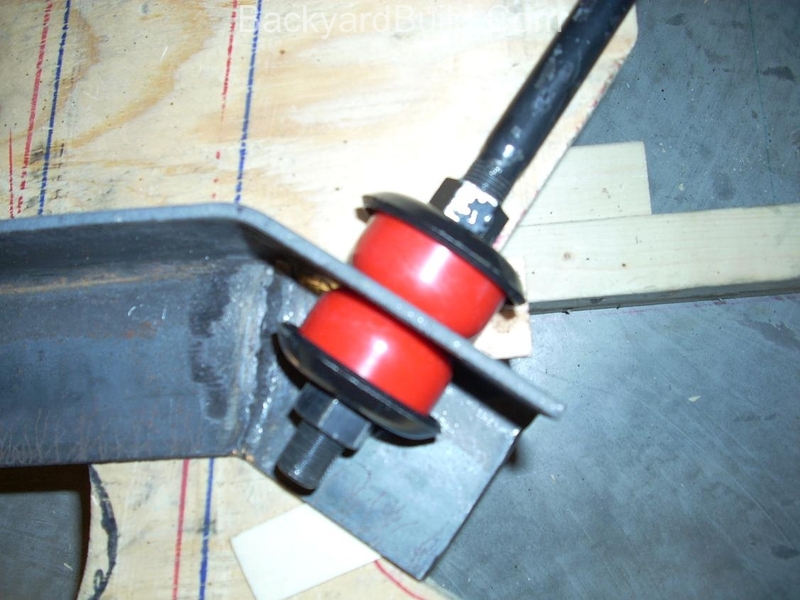 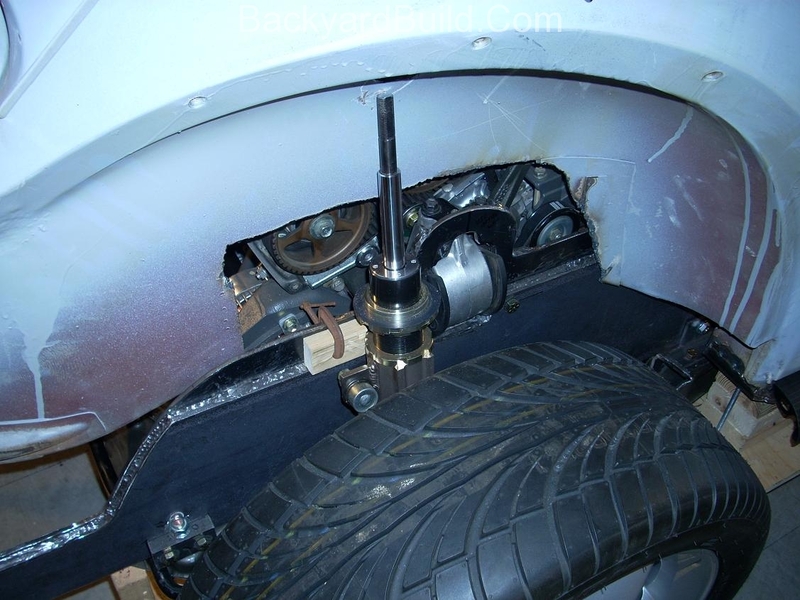 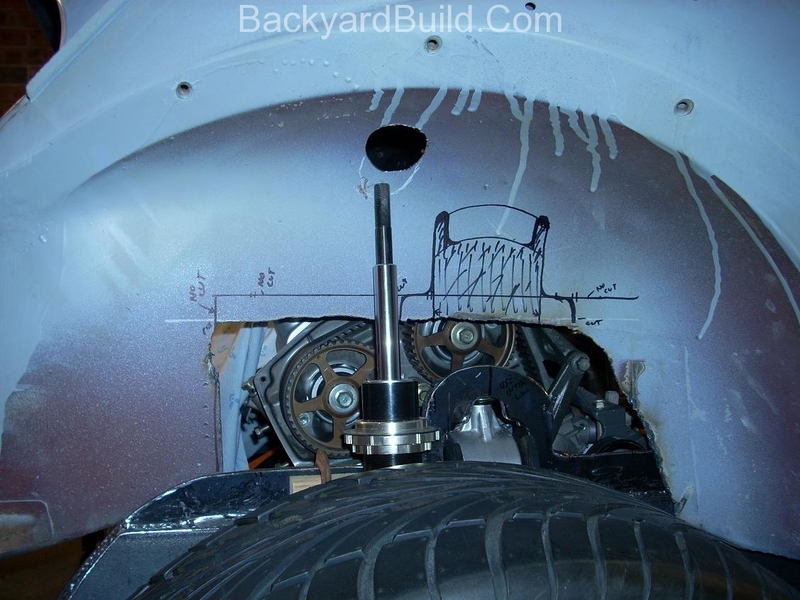 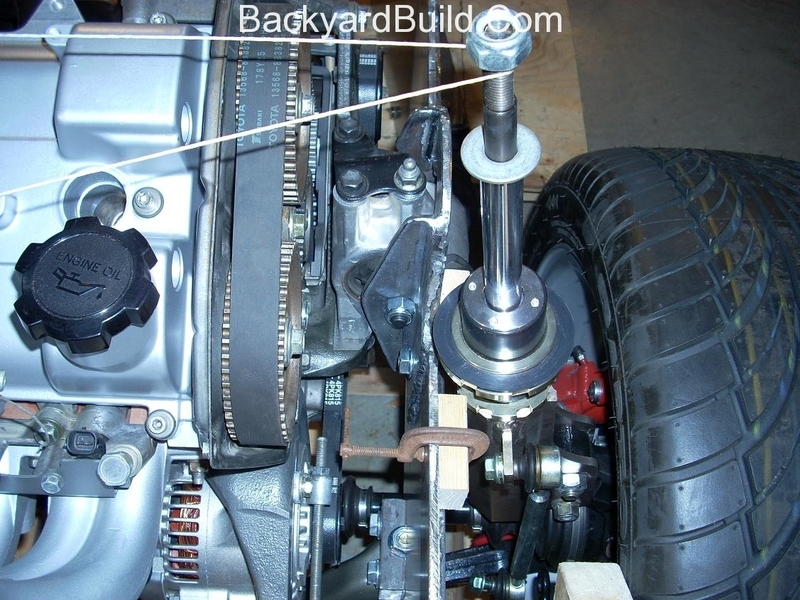 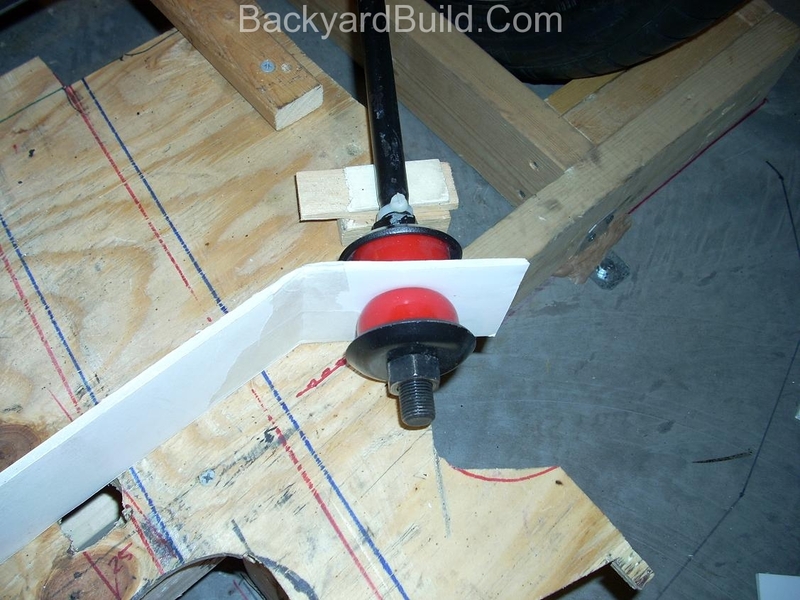 After aligning the VW Bug rear end, I can create and position the 3SGTE’s driver side motor mount. 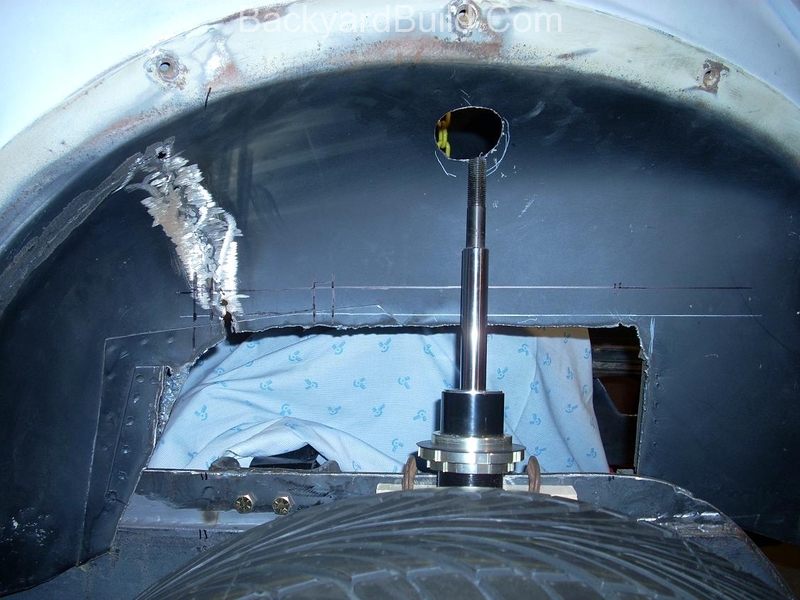 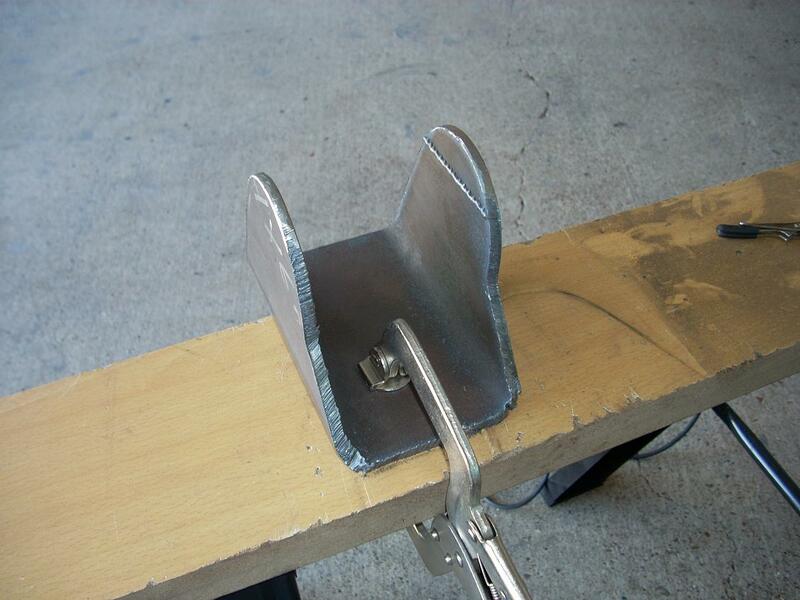 The Toyota 3SGTE passenger side motor mount has now been positioned and tack welded in place. 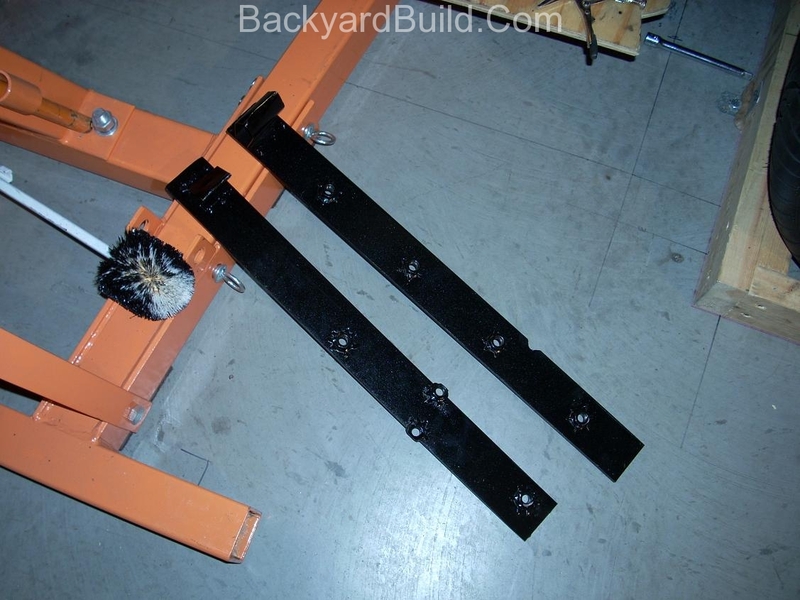 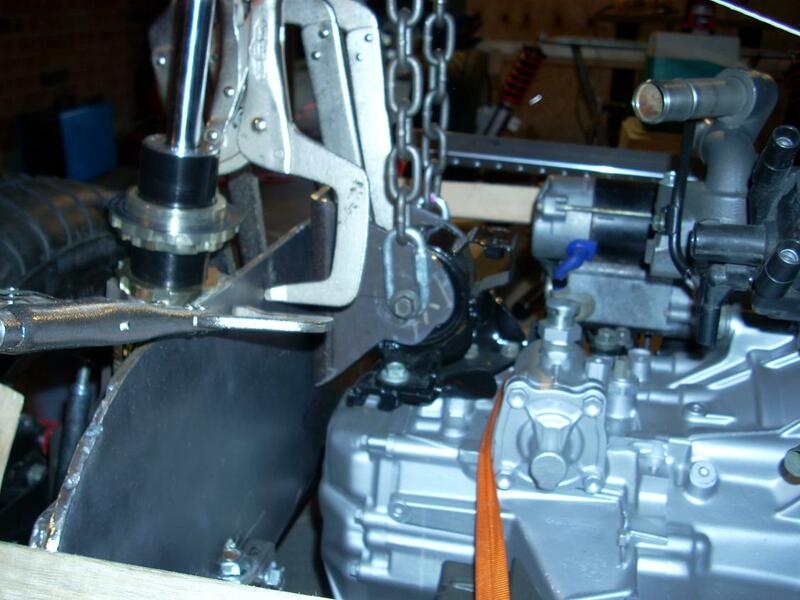 This motor mount is now supporting the passenger side frame plate and engine. 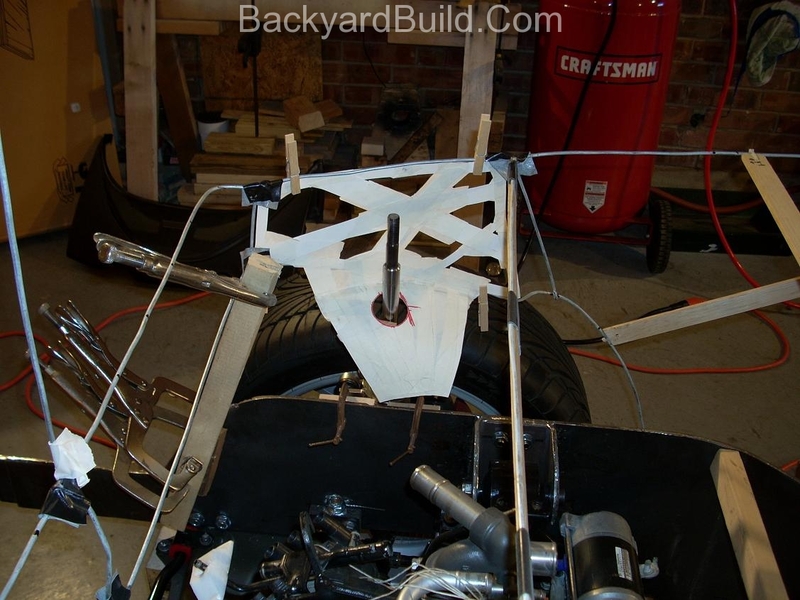 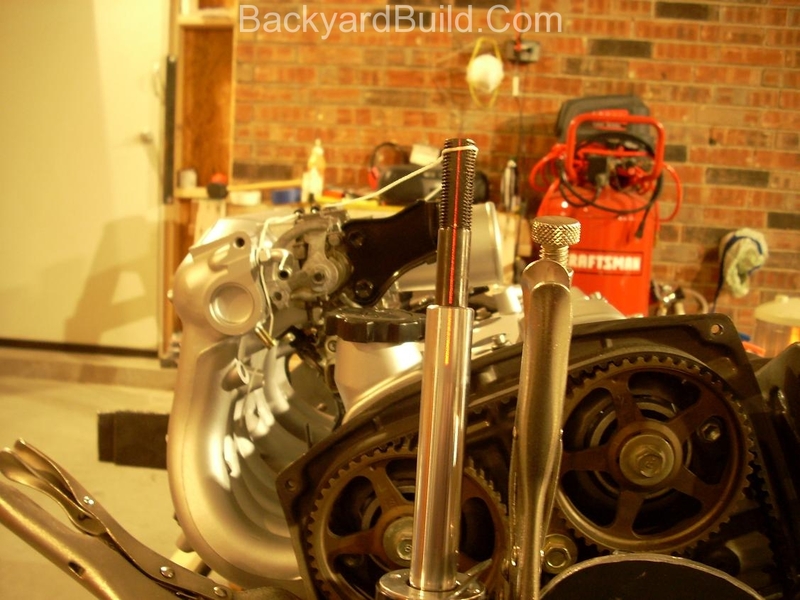 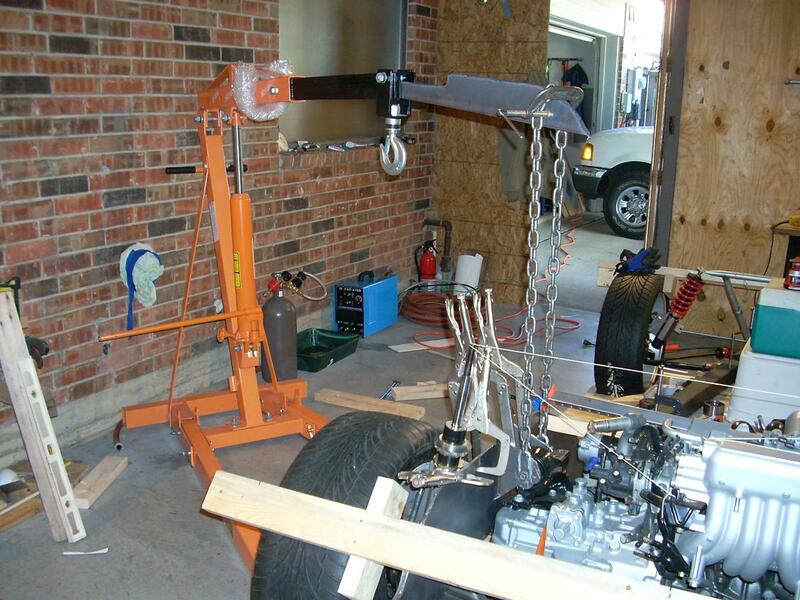 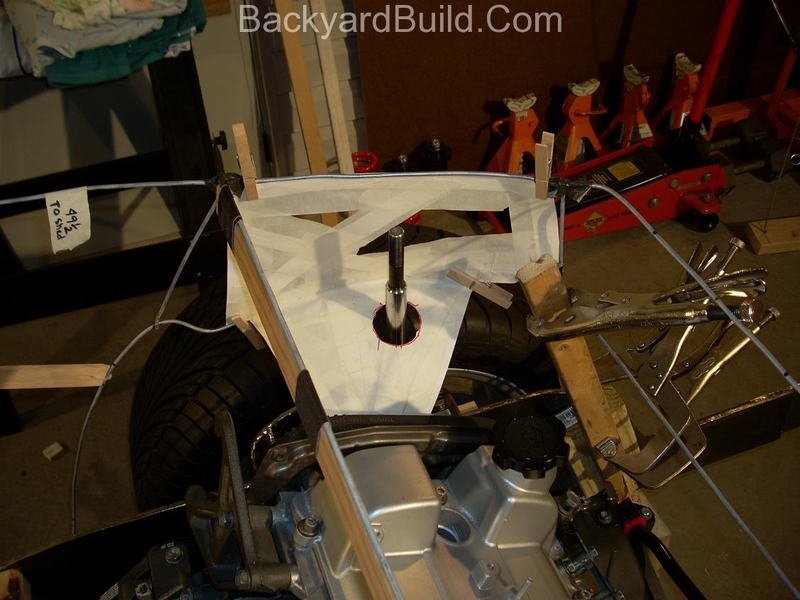 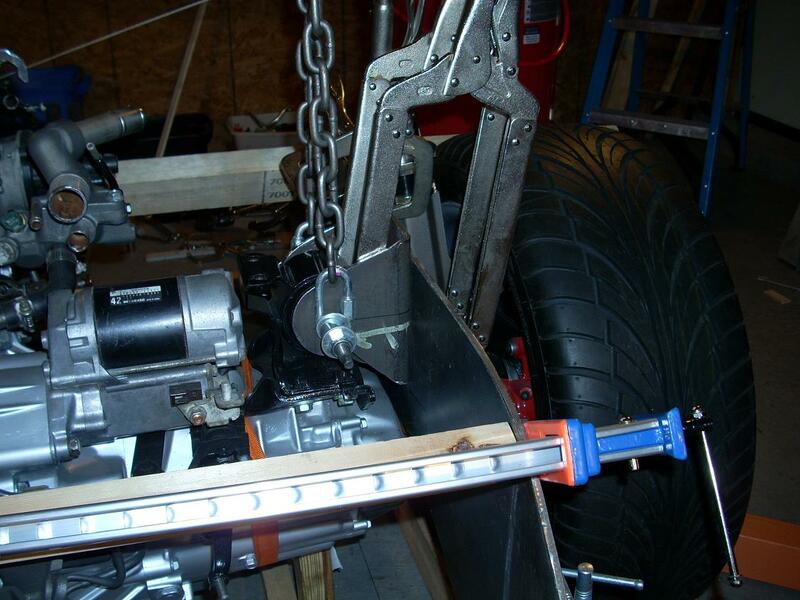 Both motor mounts are now on and supporting the entire engine and frame. 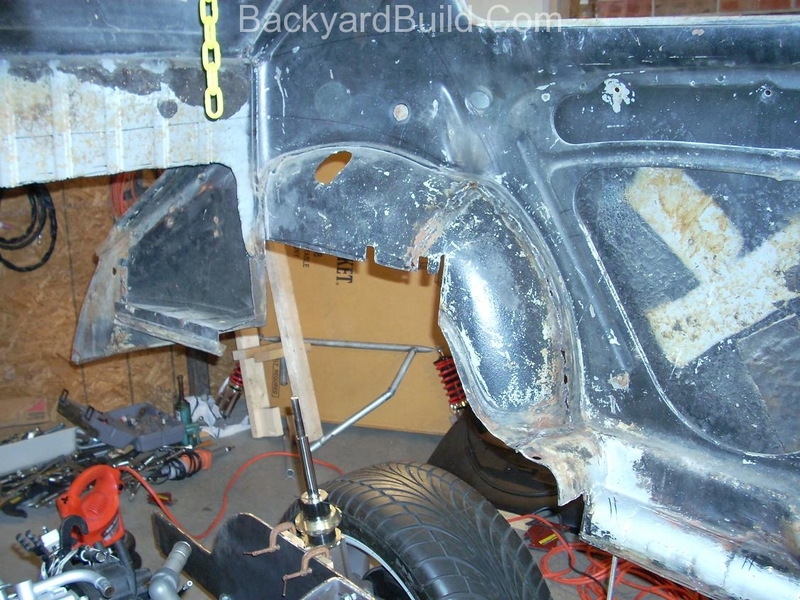 After removing both of the VW rear frame members, I welded them completely and reinstalled them. 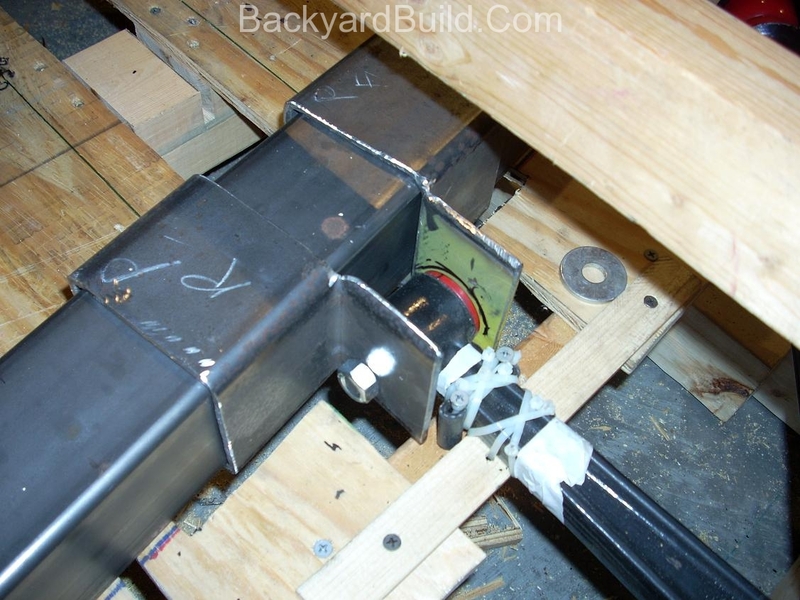 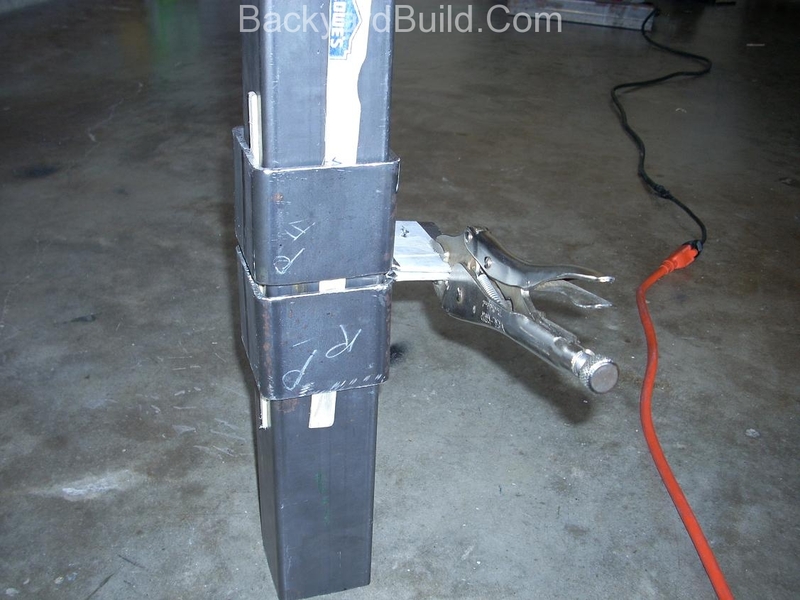 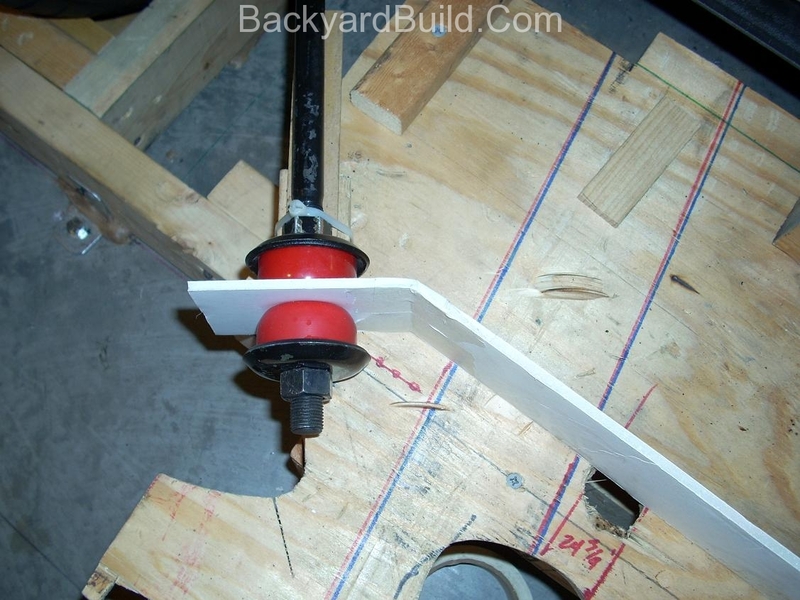 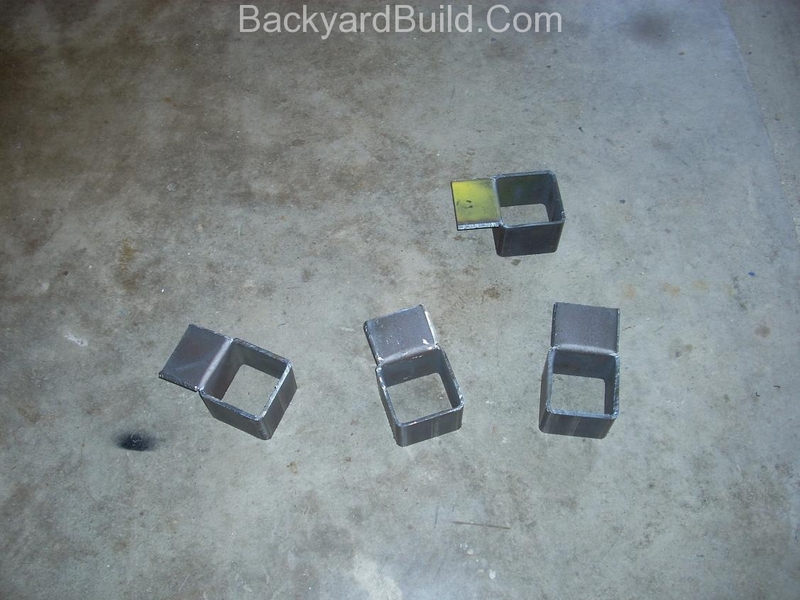 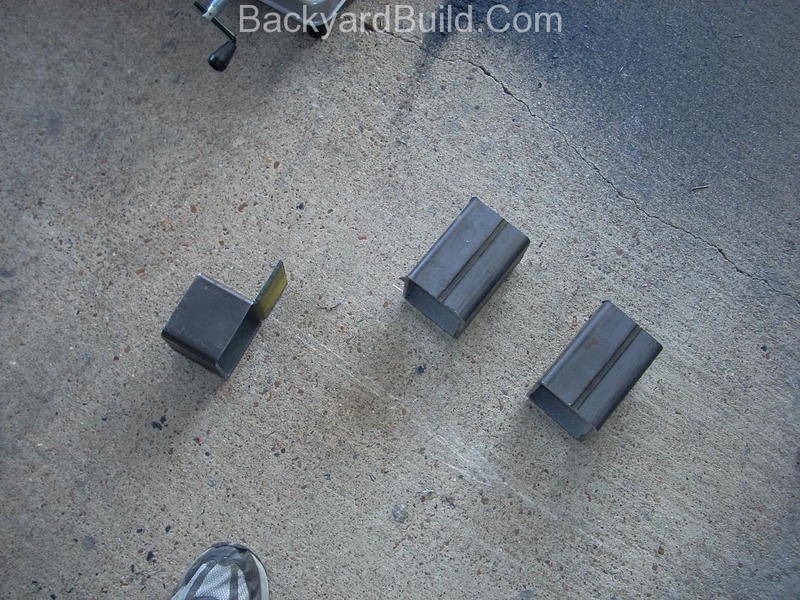 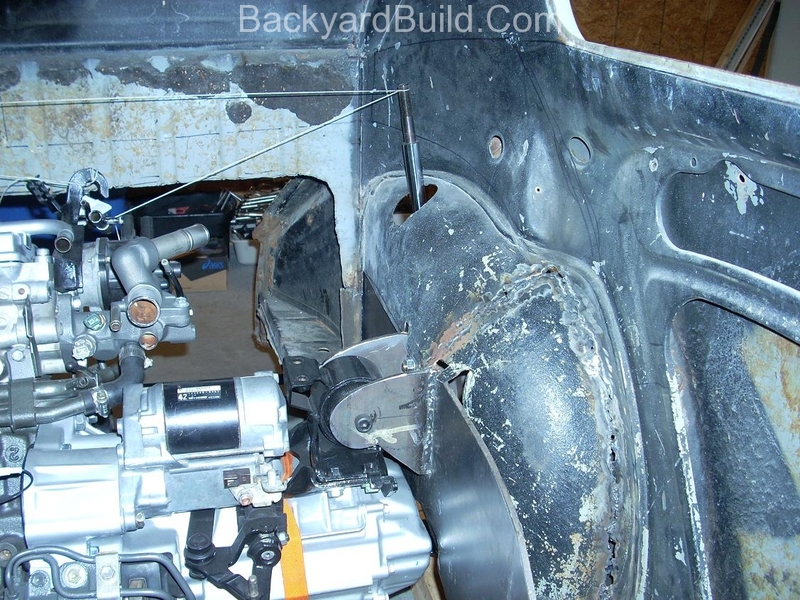 I also through bolted each 3SGTE motor mount. 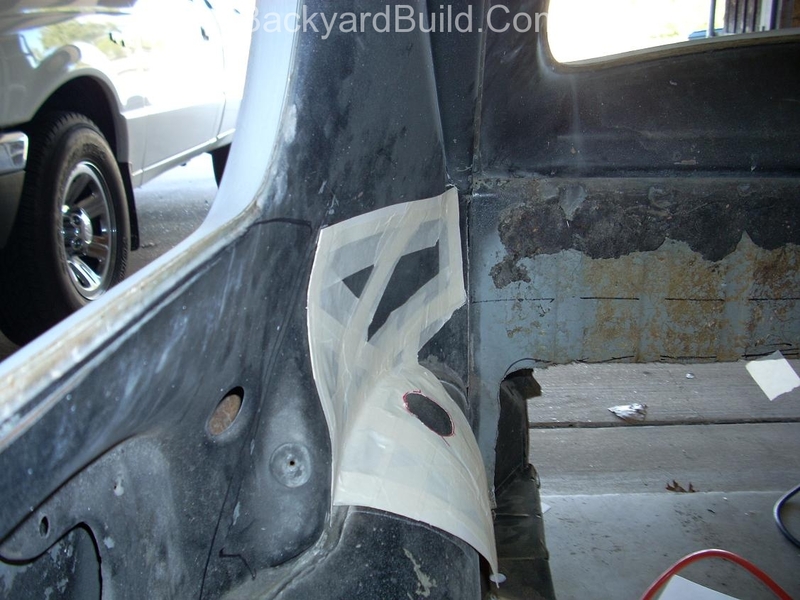 Realignment was necessary. 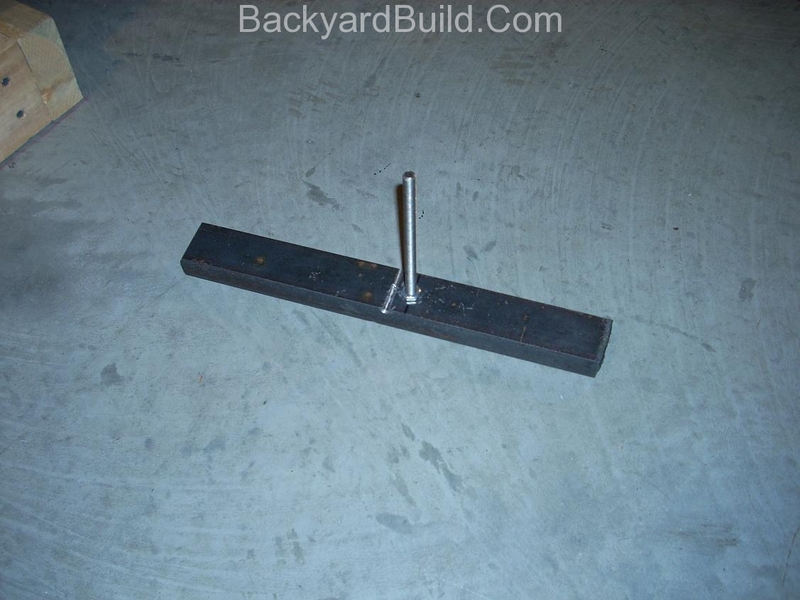 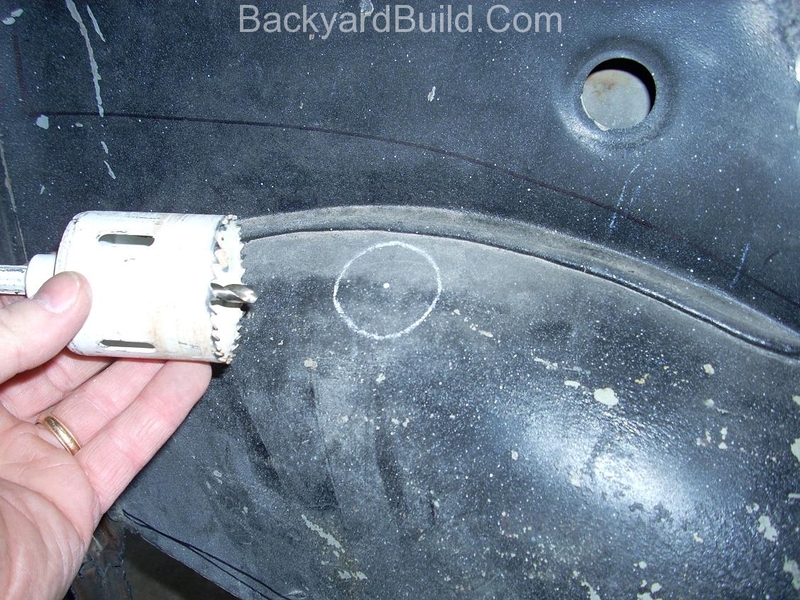 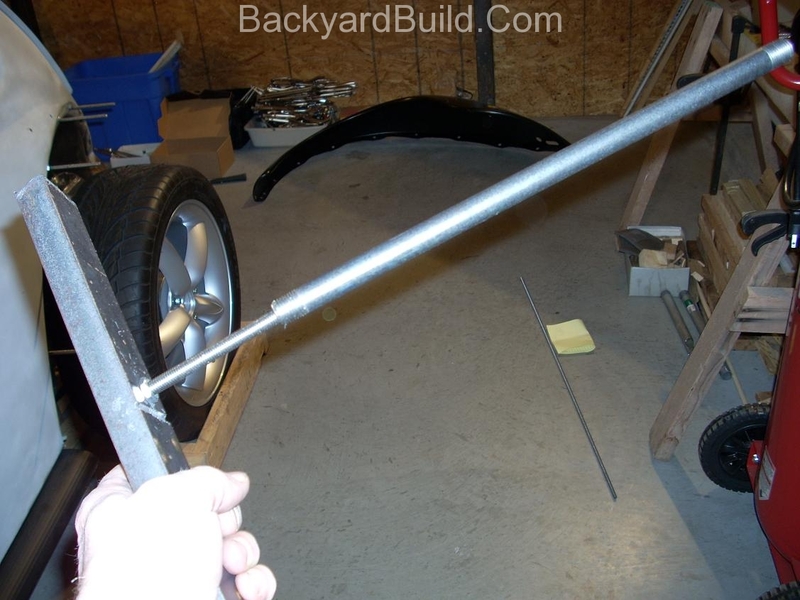 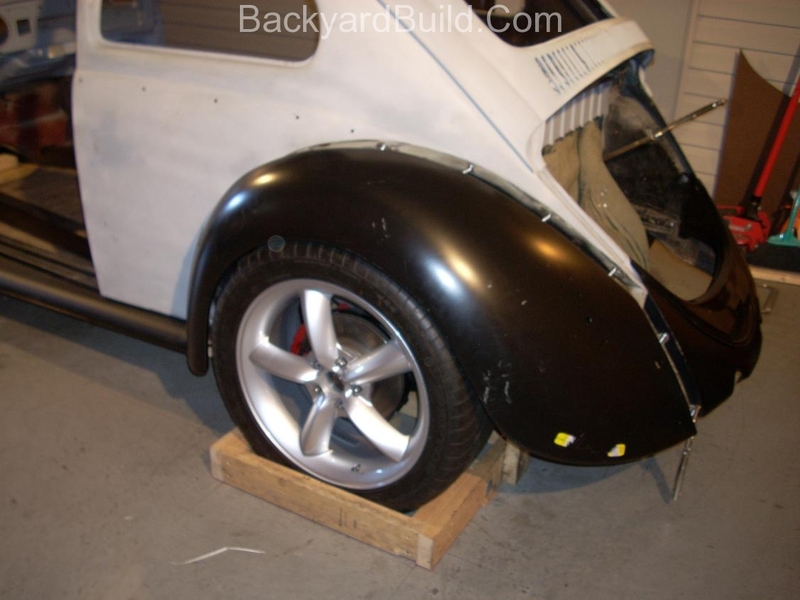 I need to locate the MR2 strut hole locations in the VW bug inner fender wells. 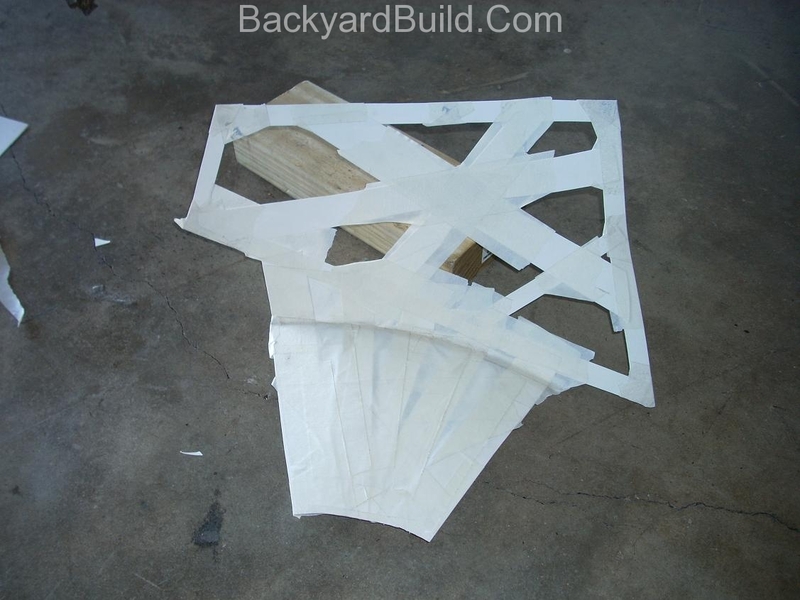 I accomplished this with the basket and some poster board strips. 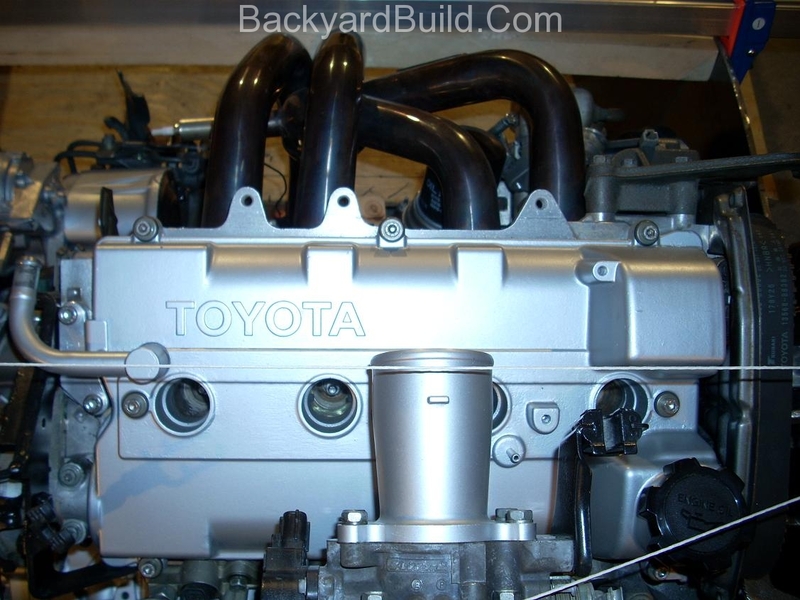 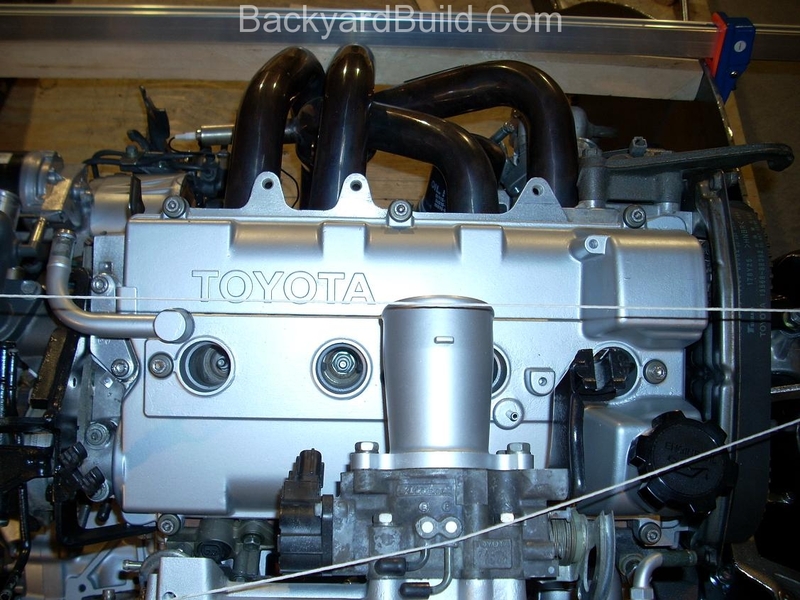 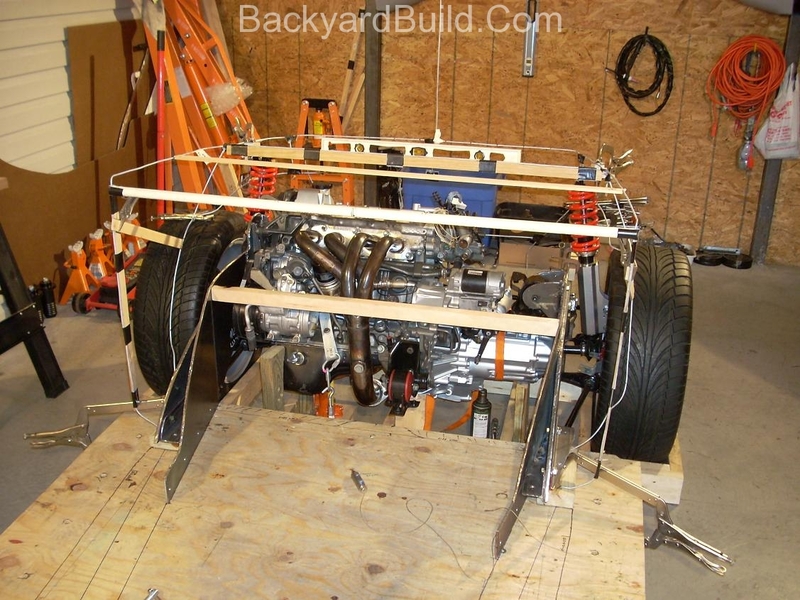 I am nearing the first body fit over the 3SGTE engine. 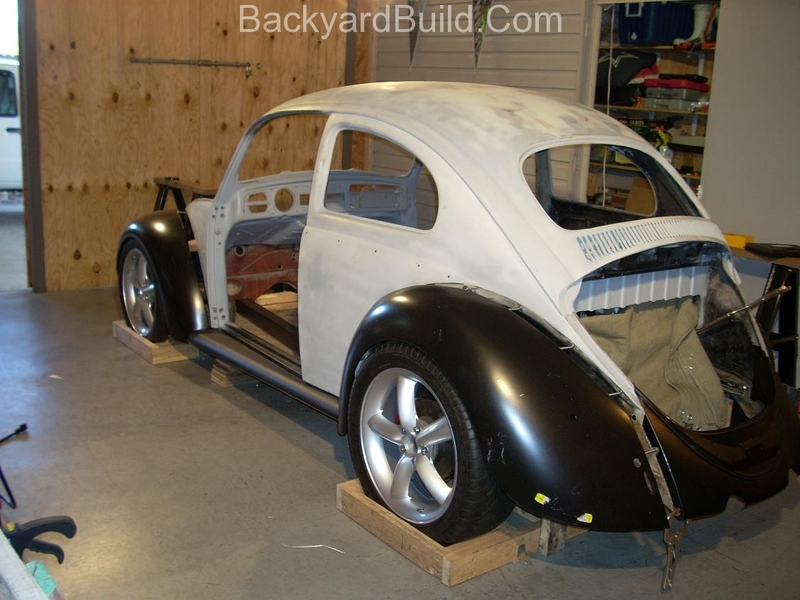 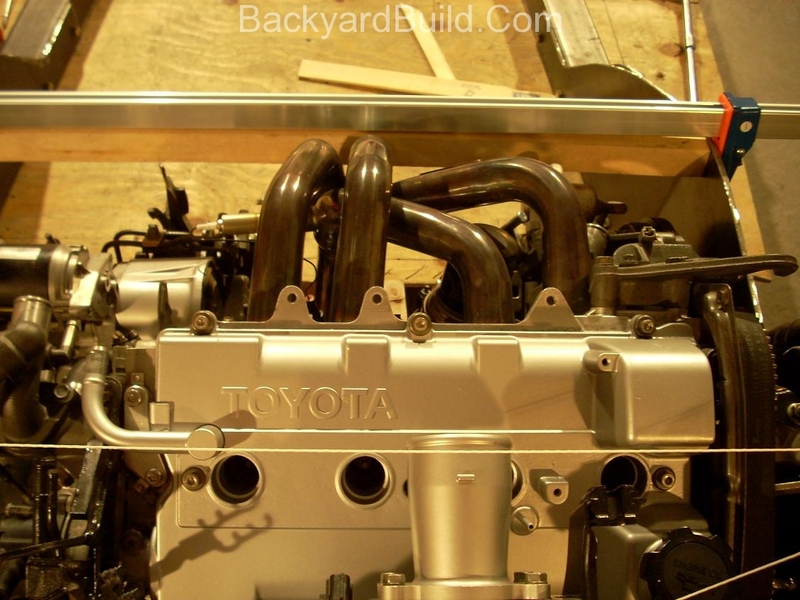 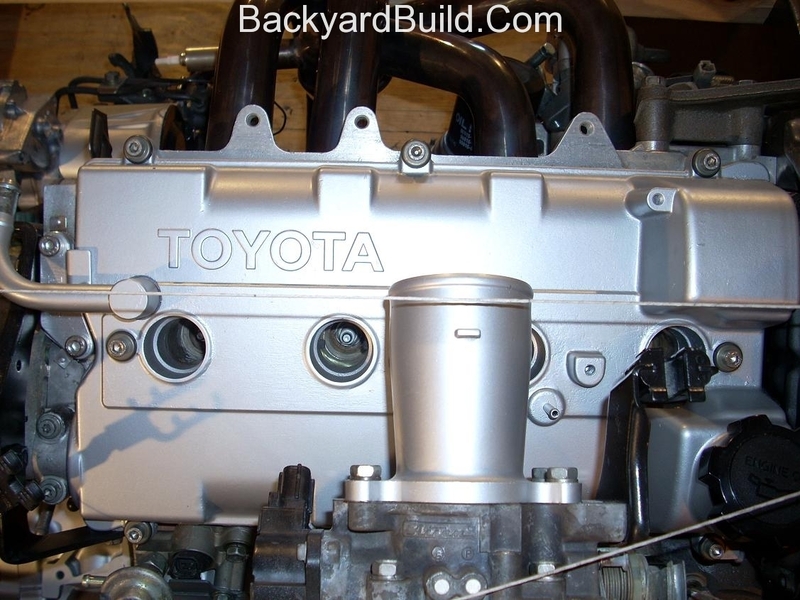 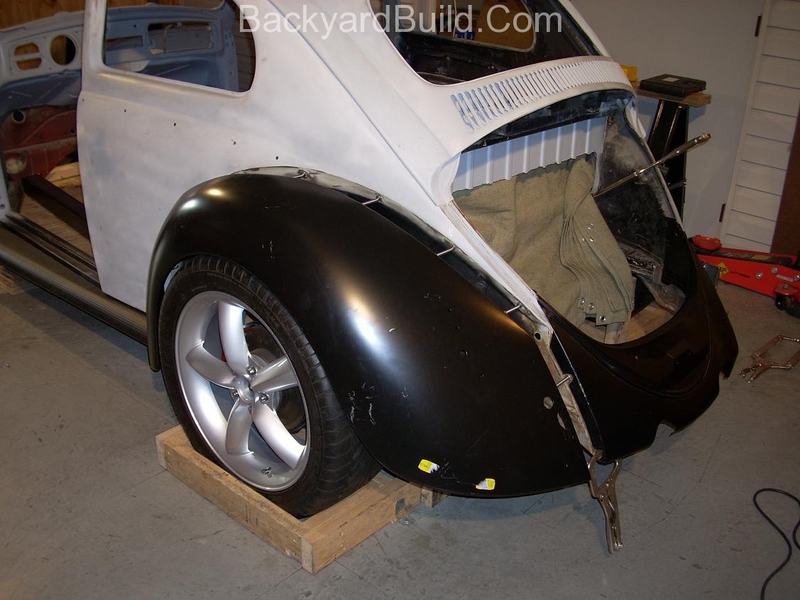 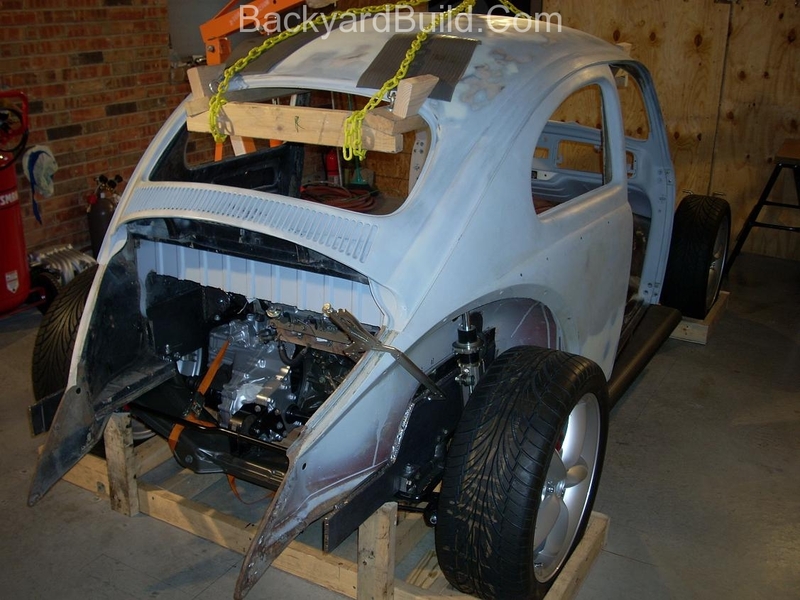 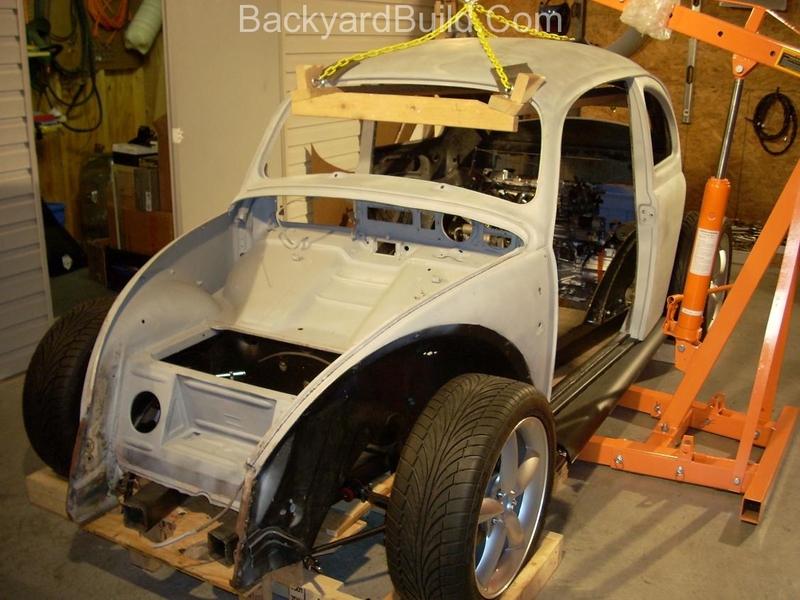 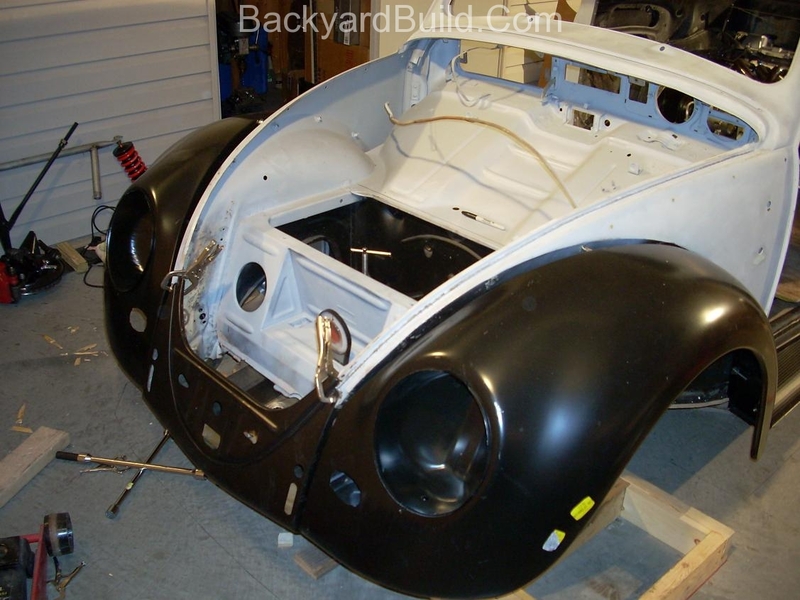 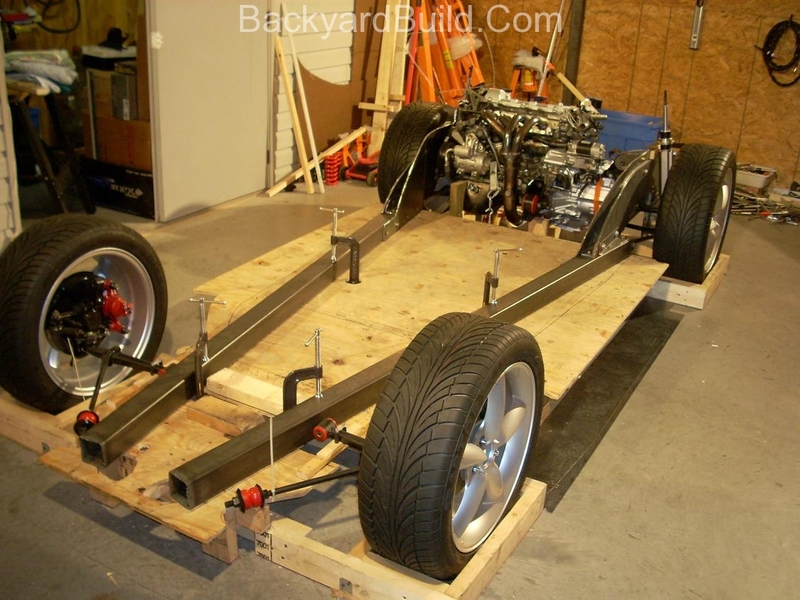 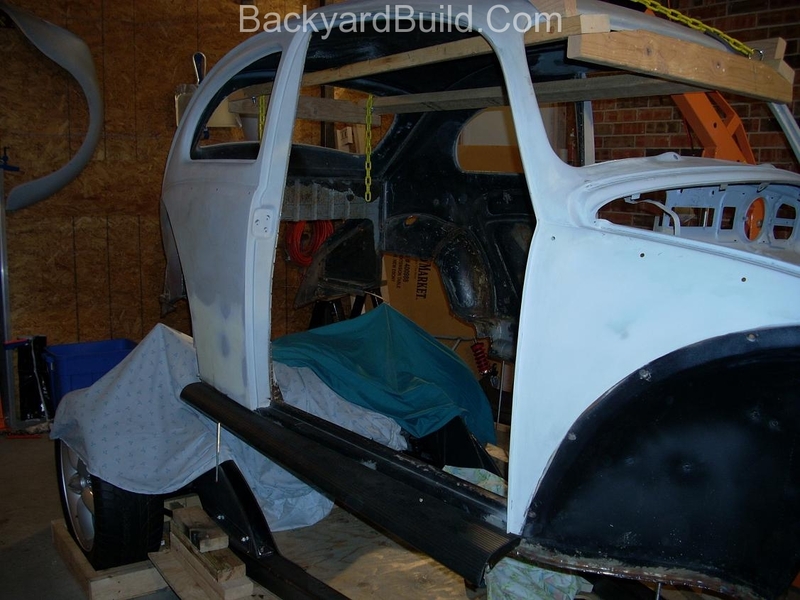 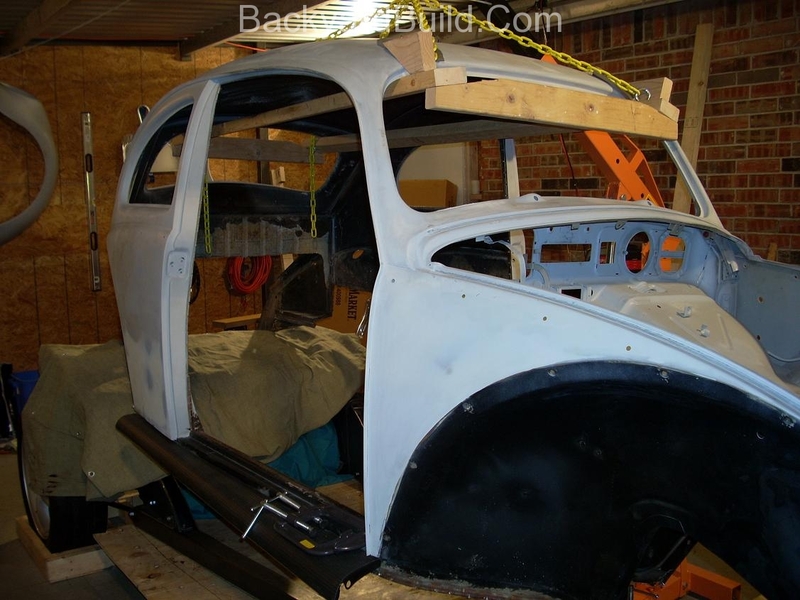 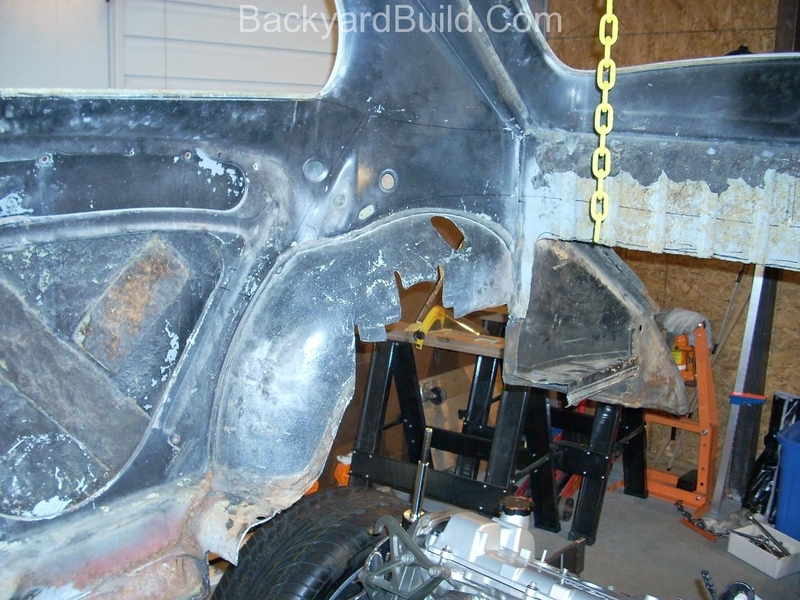 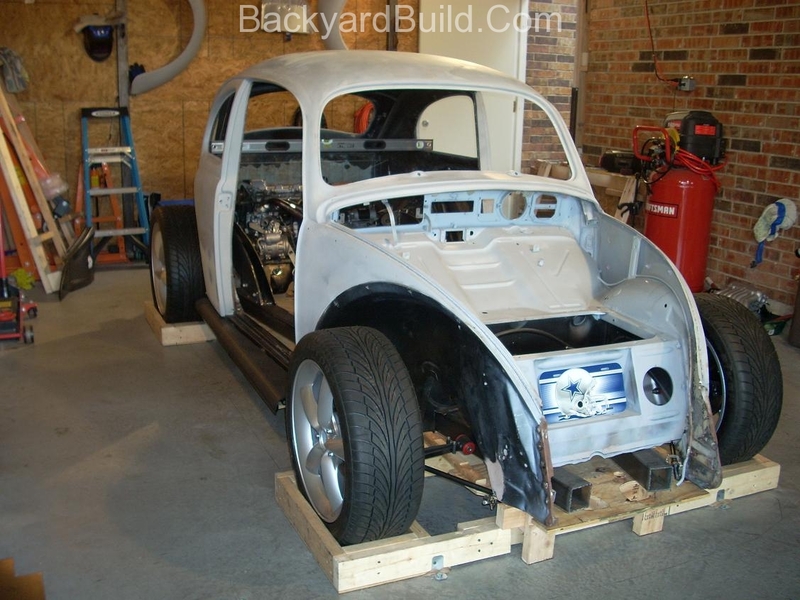 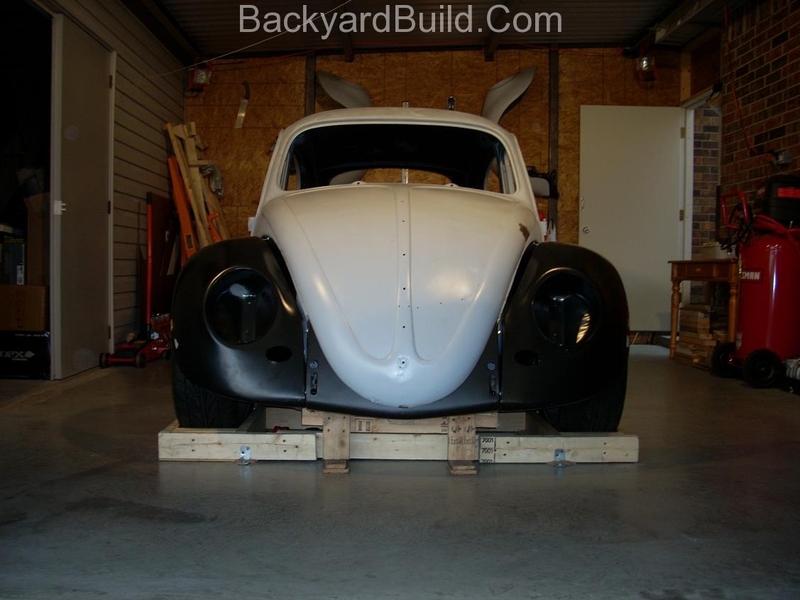 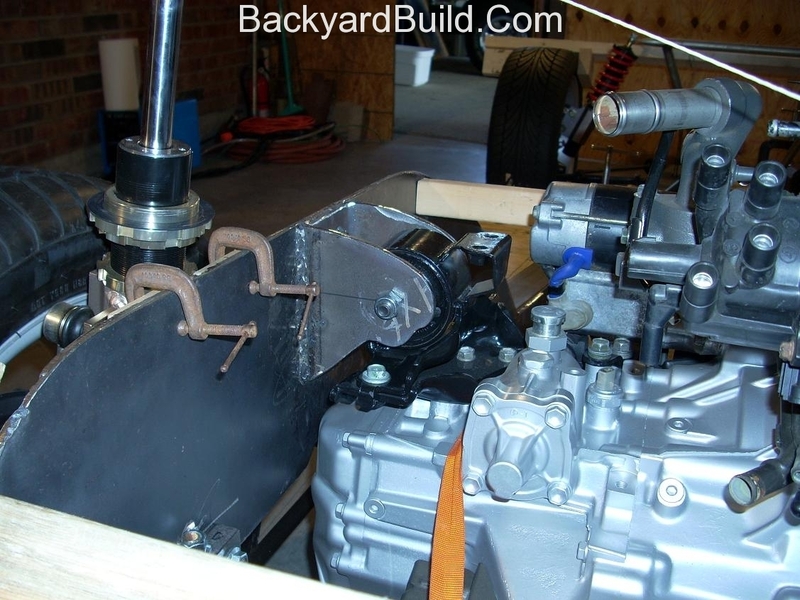 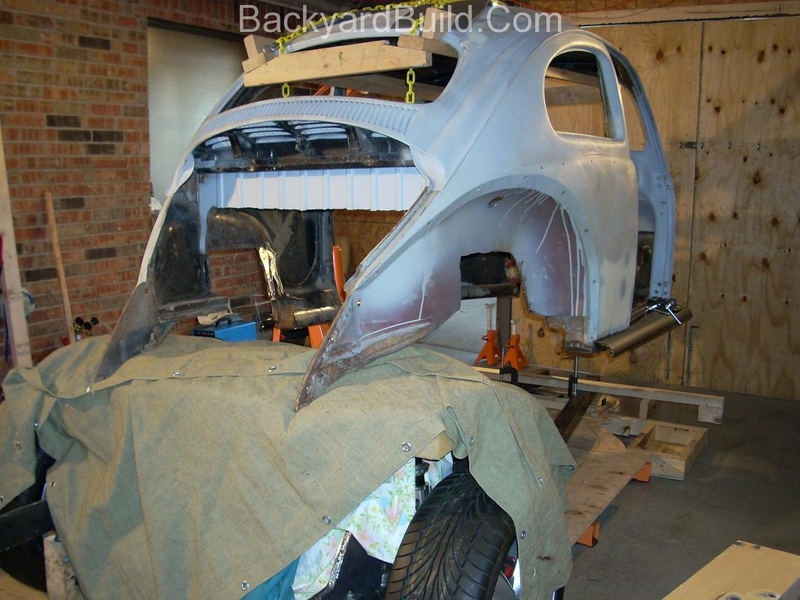 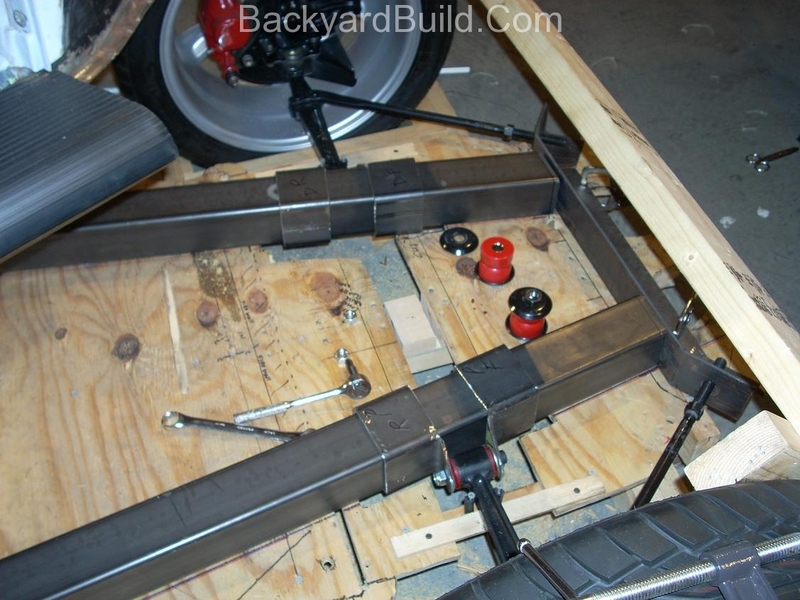 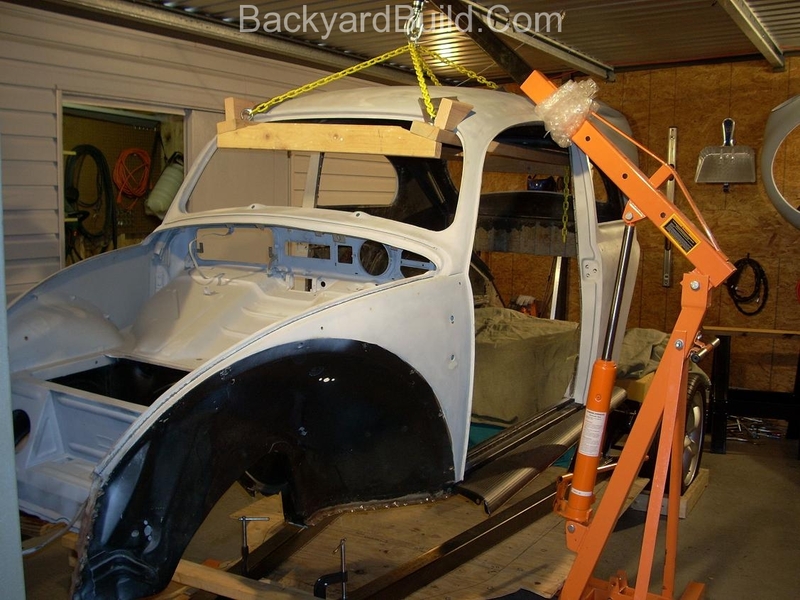 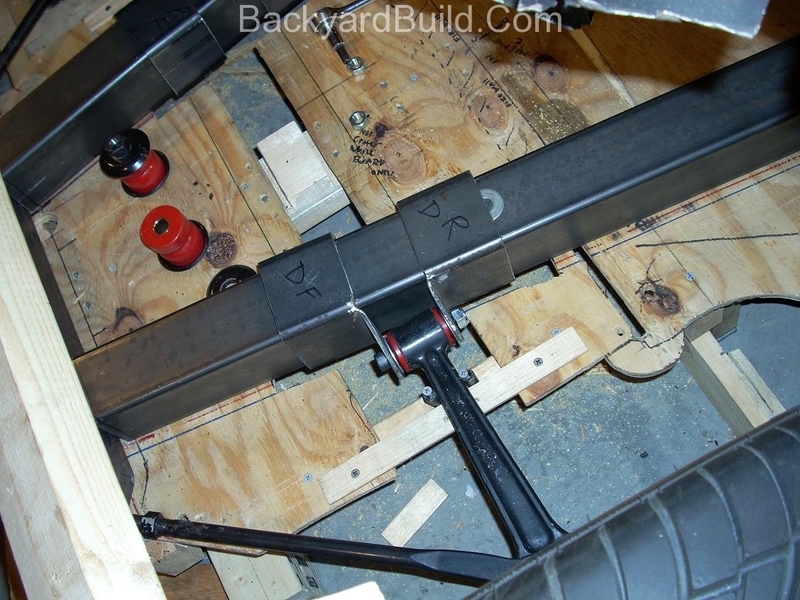 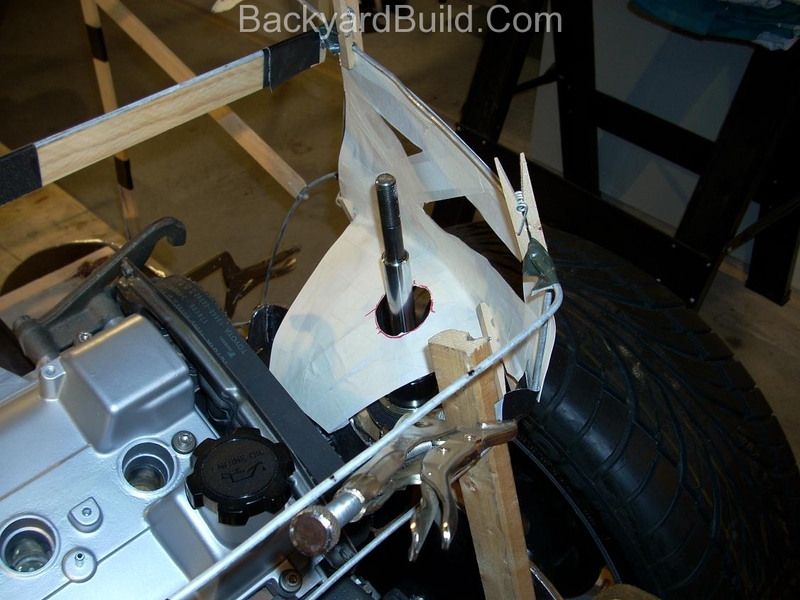 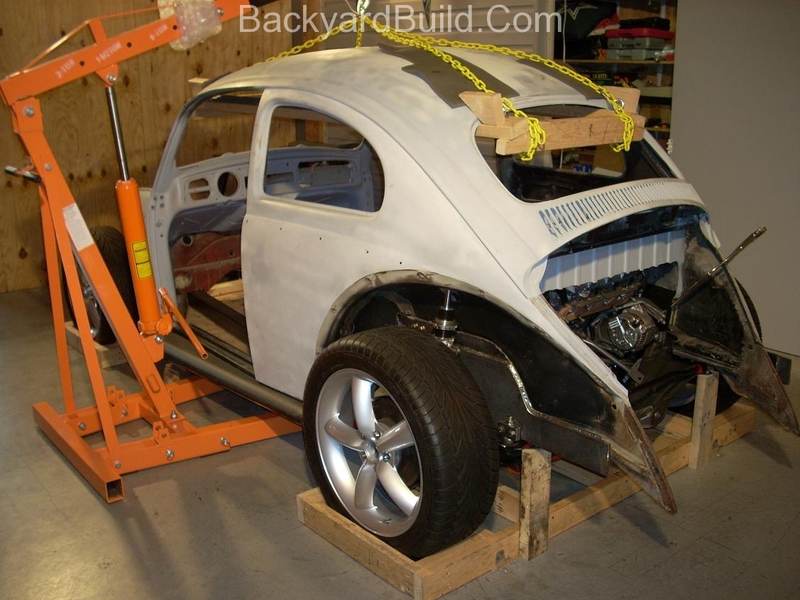 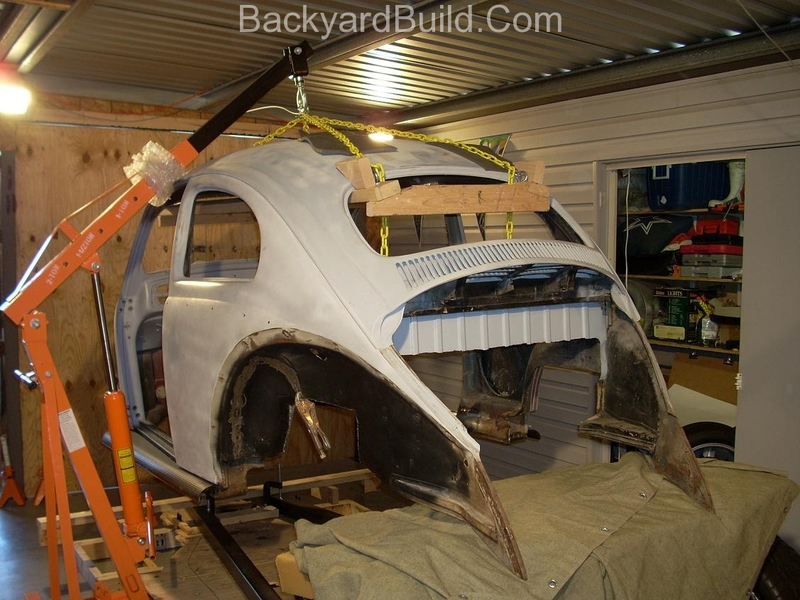 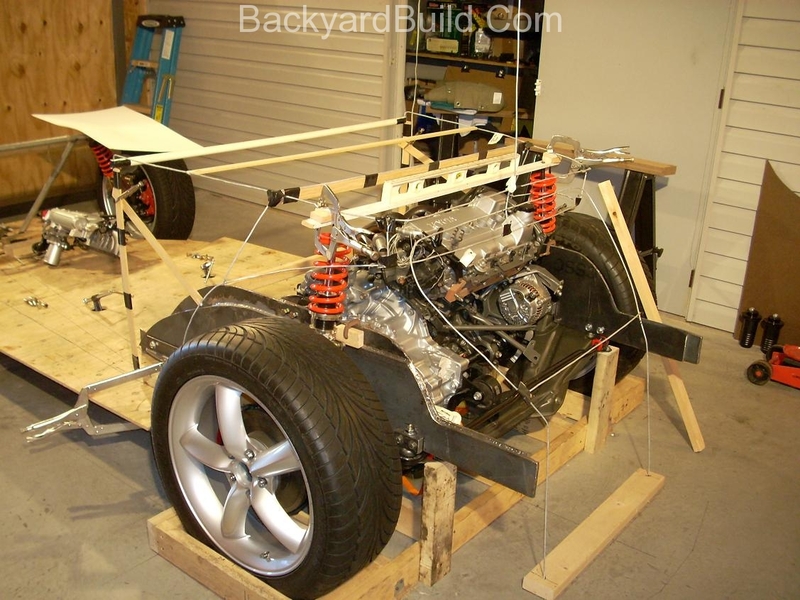 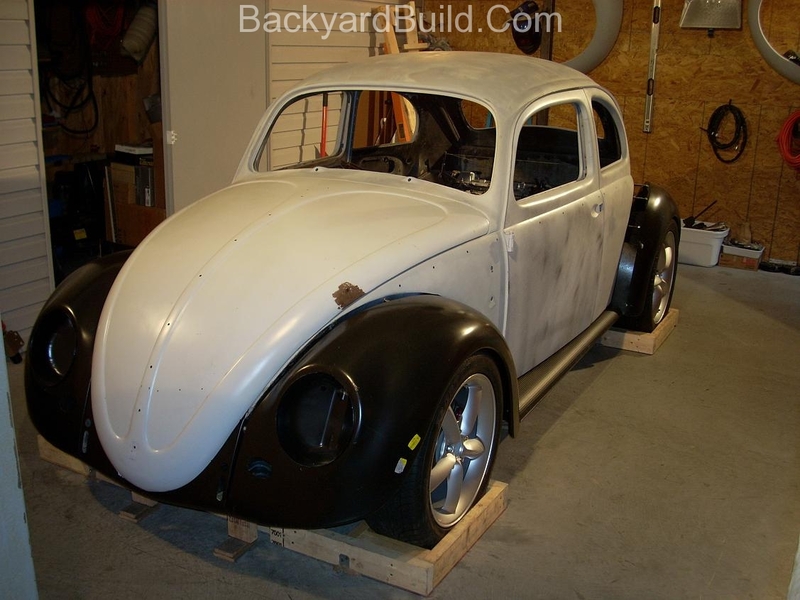 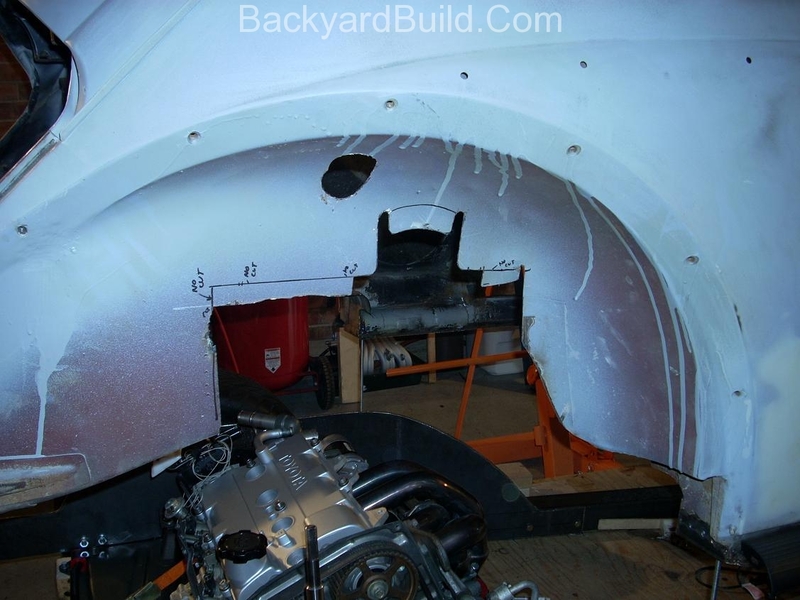 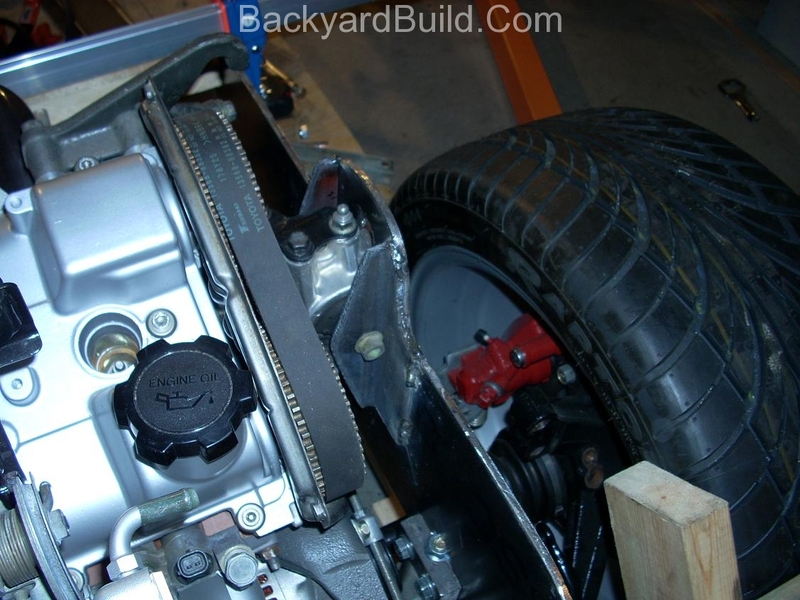 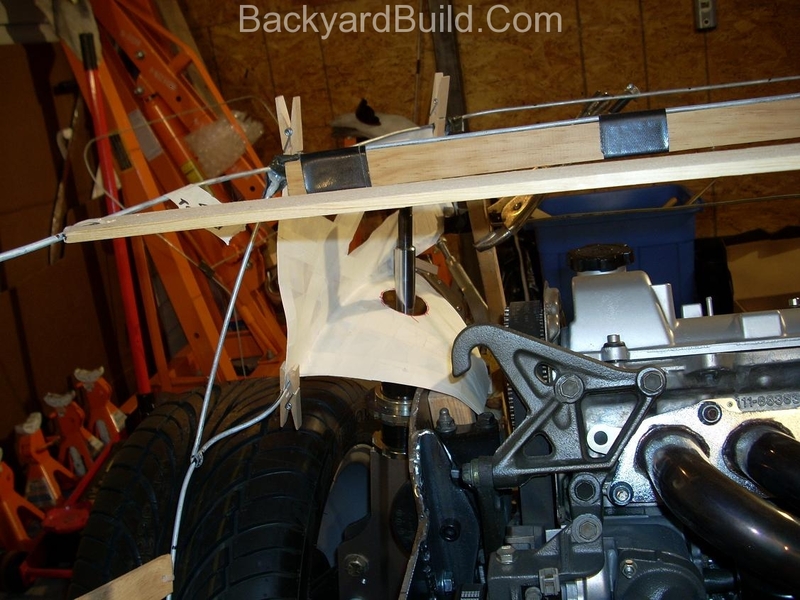 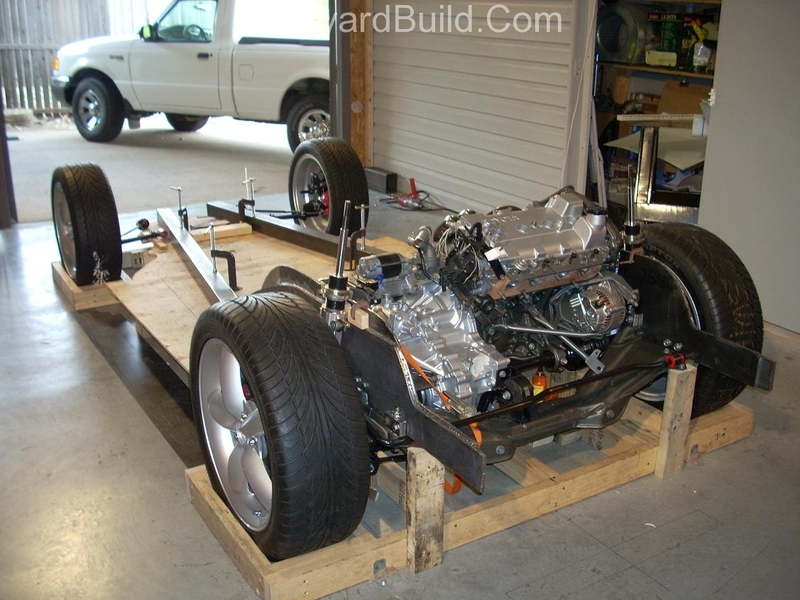 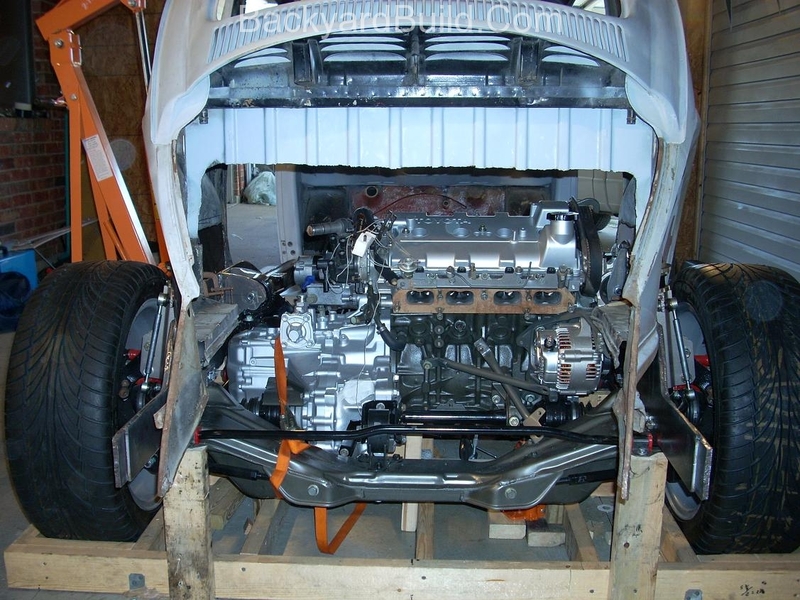 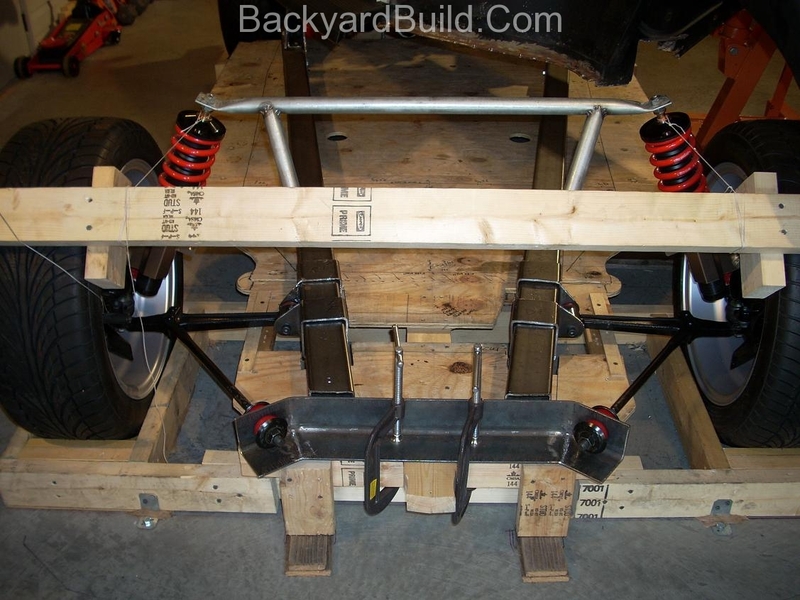 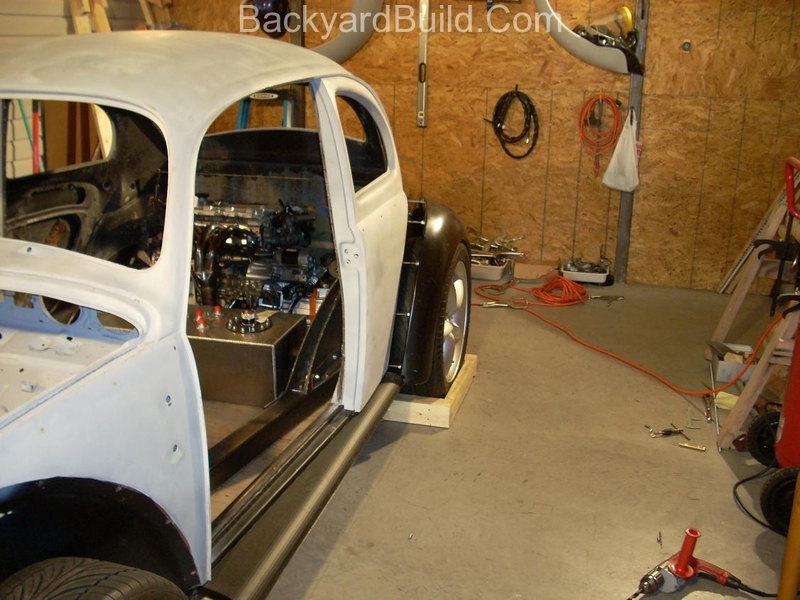 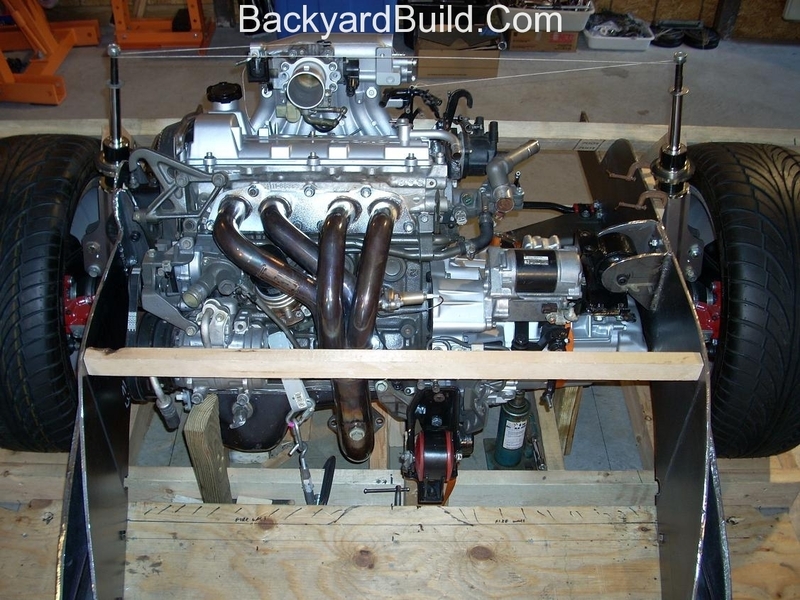 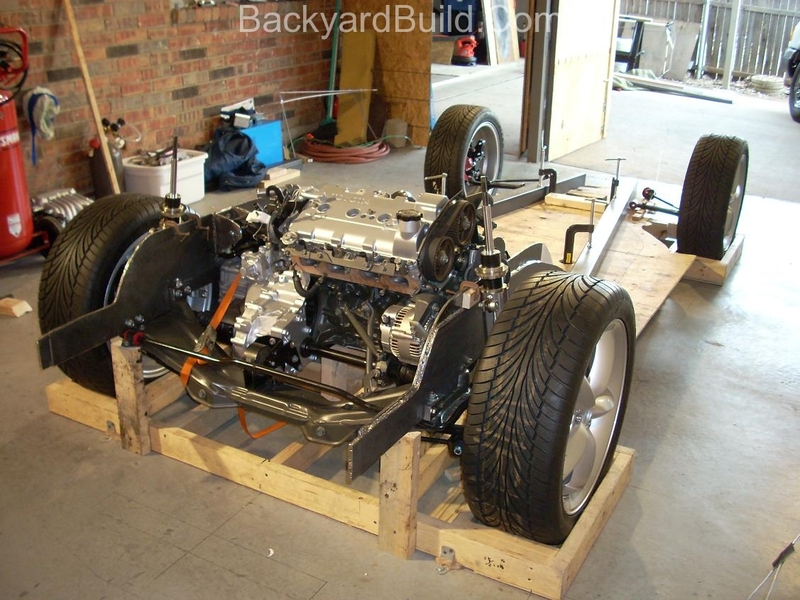 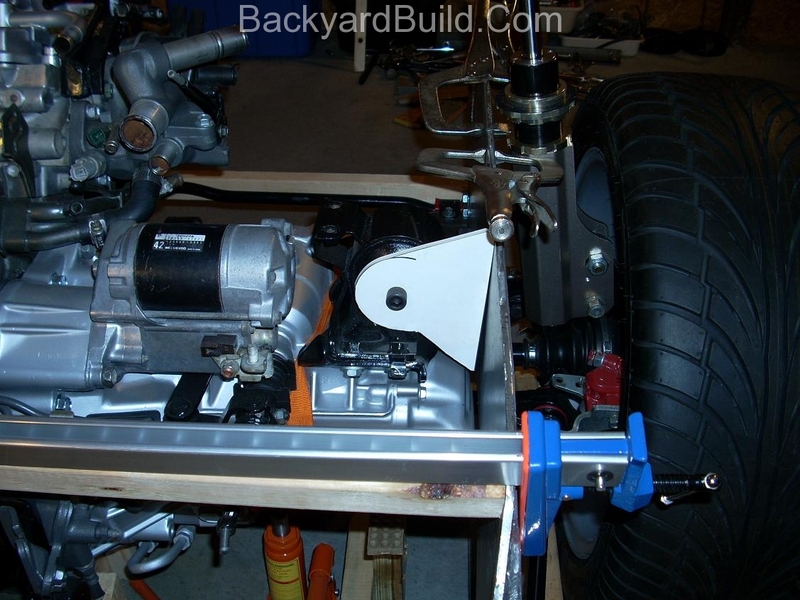 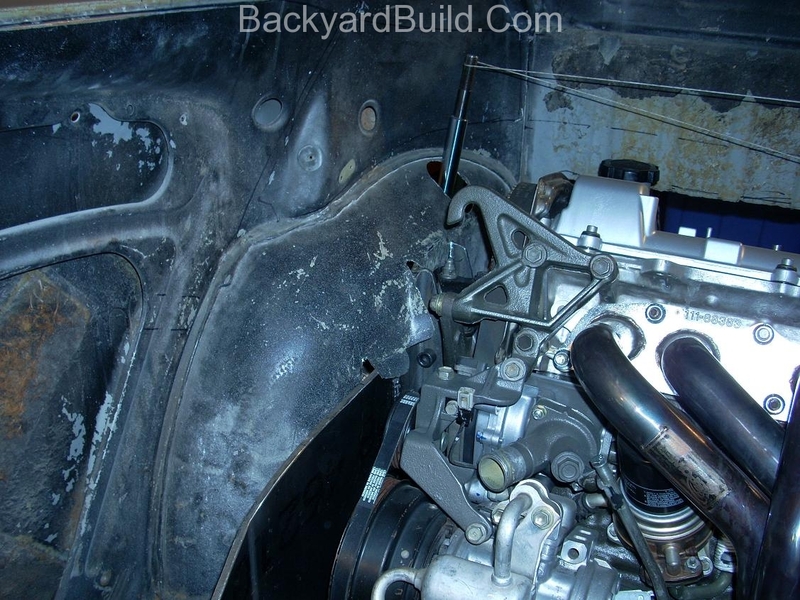 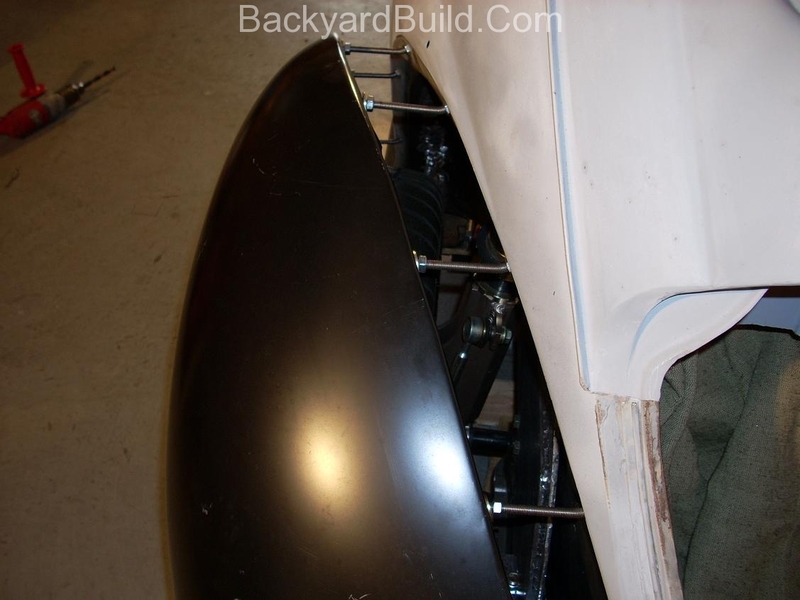 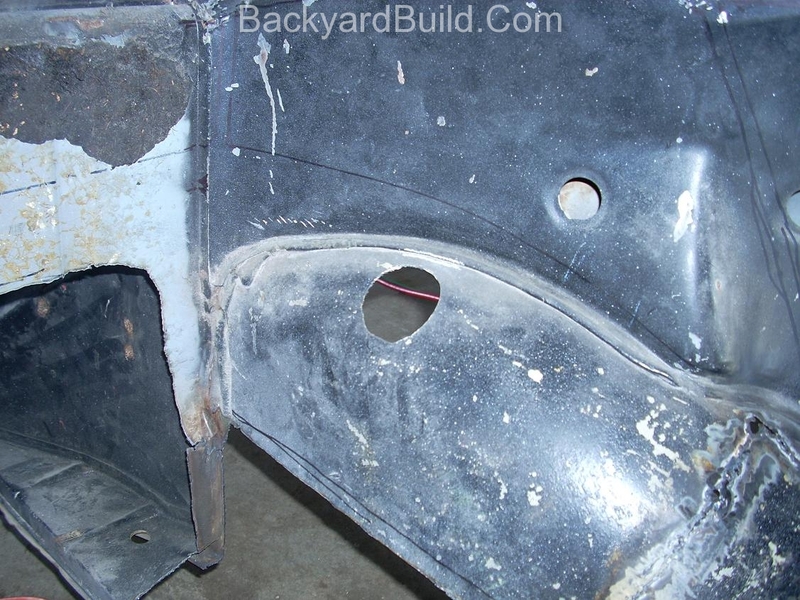 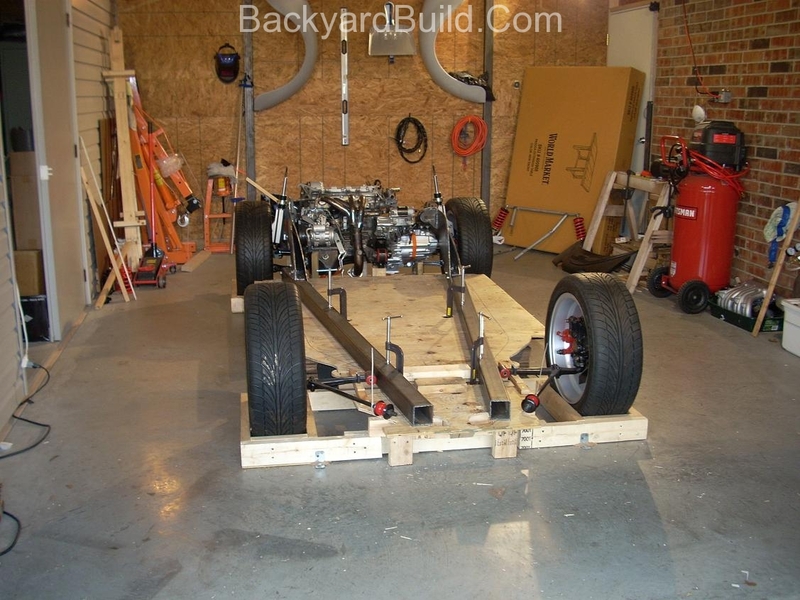 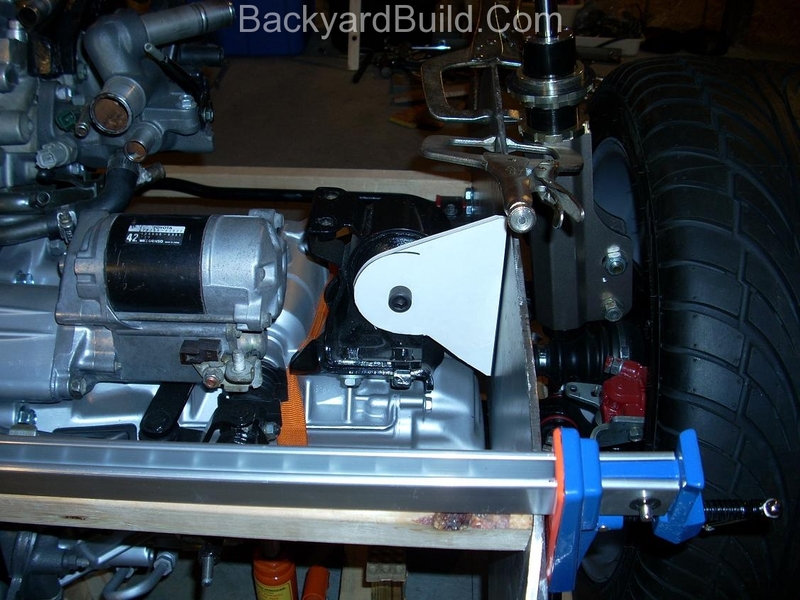 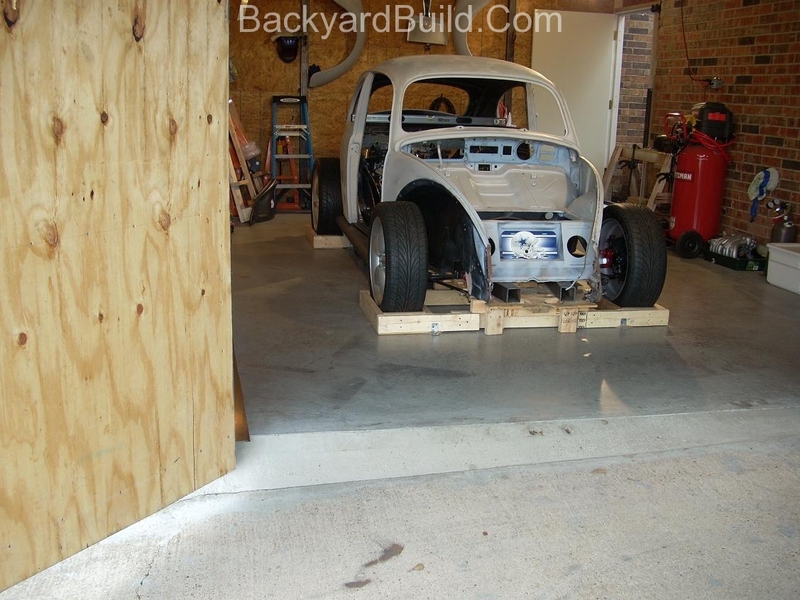 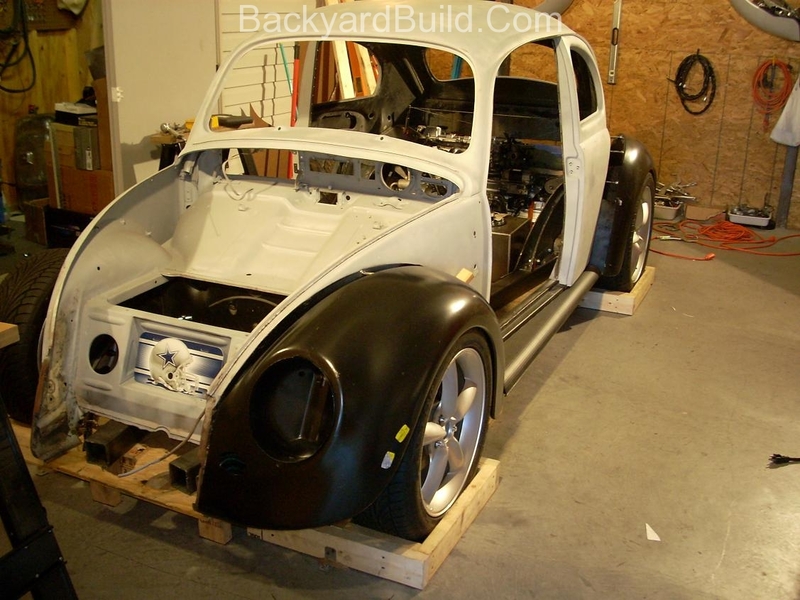 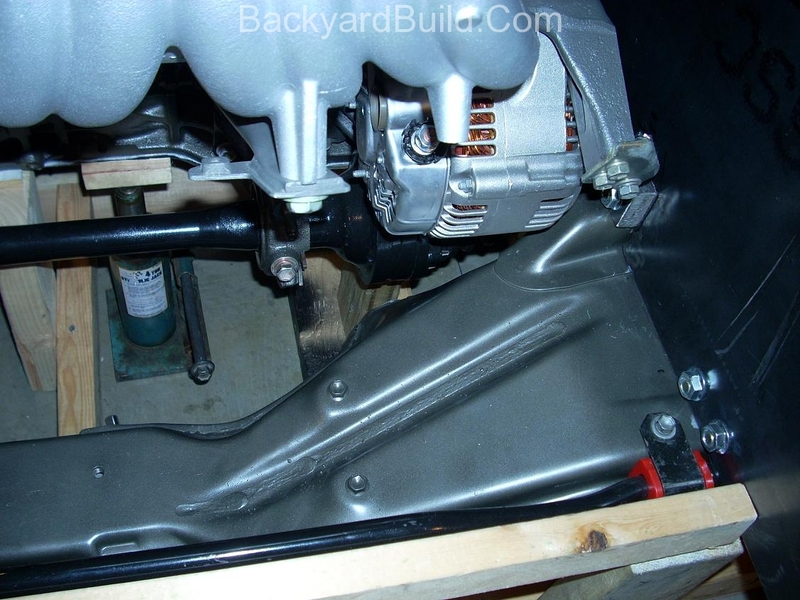 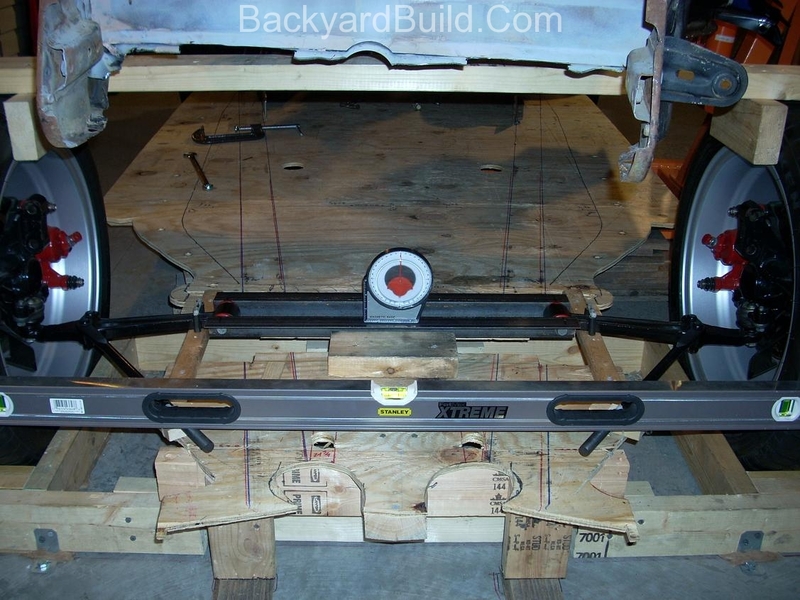 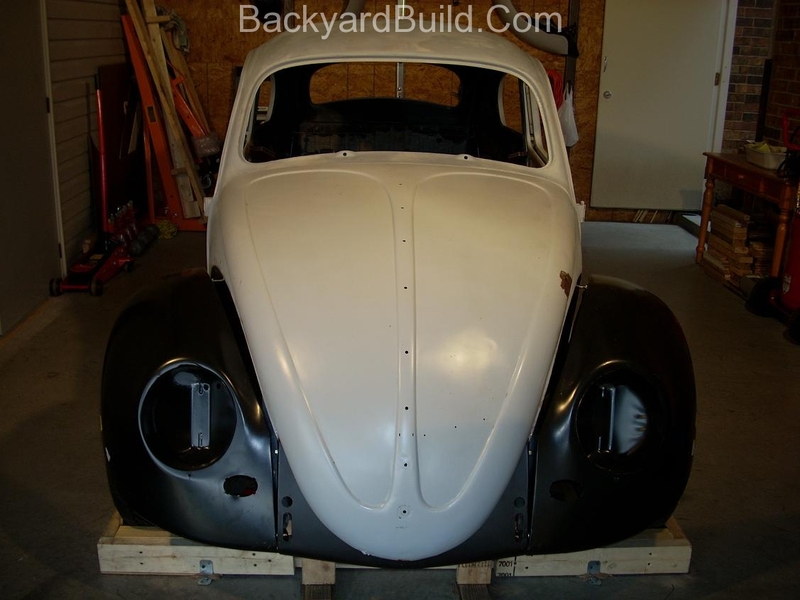 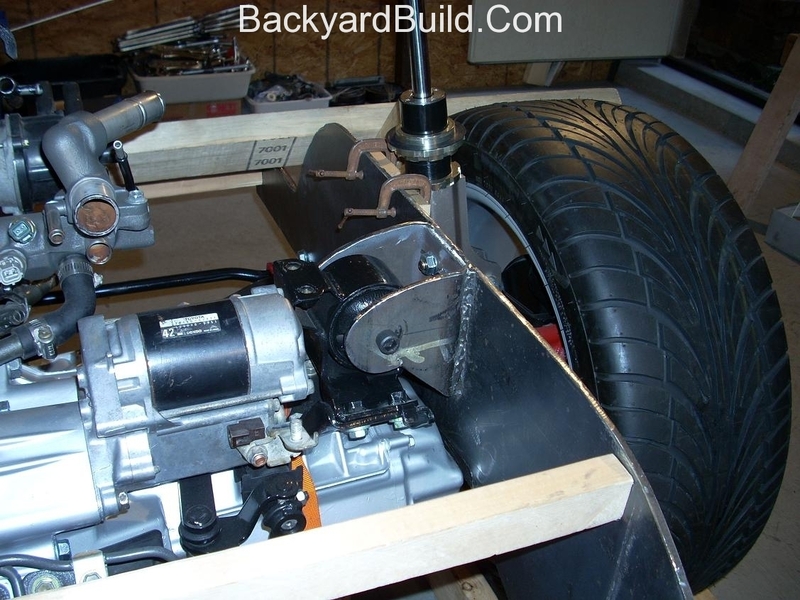 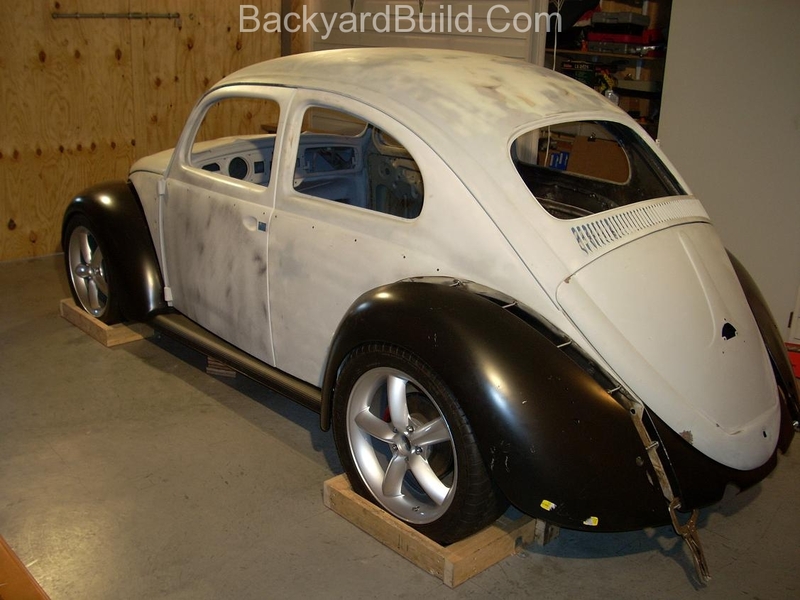 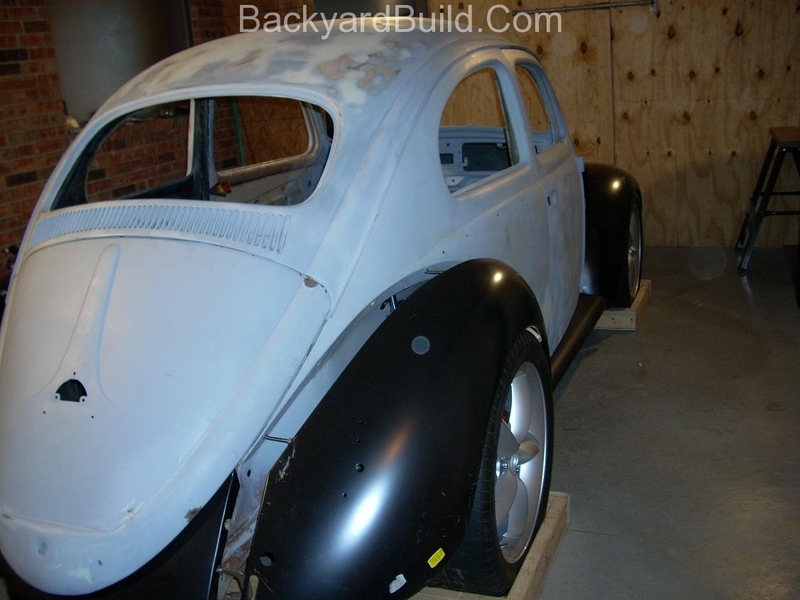 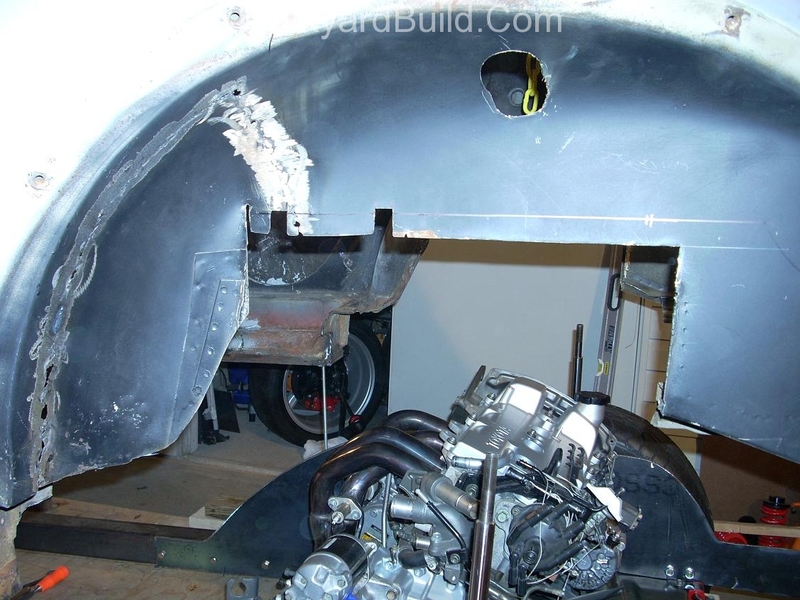 It is now time to get the VW bug body to fit over the Toyota 3SGTE engine and custom frame. 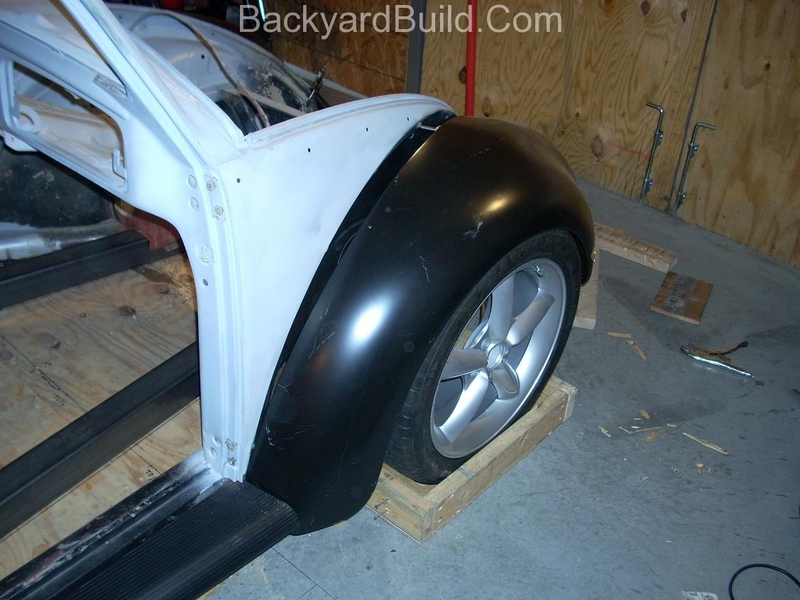 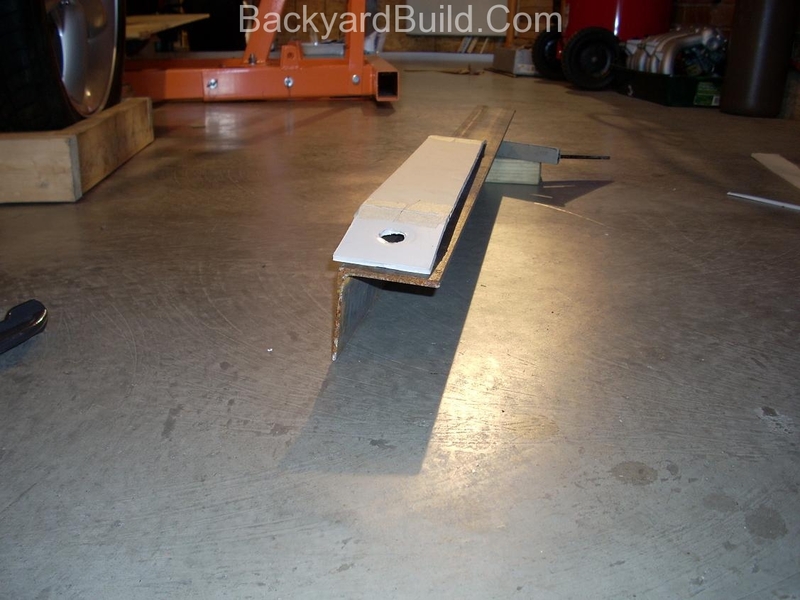 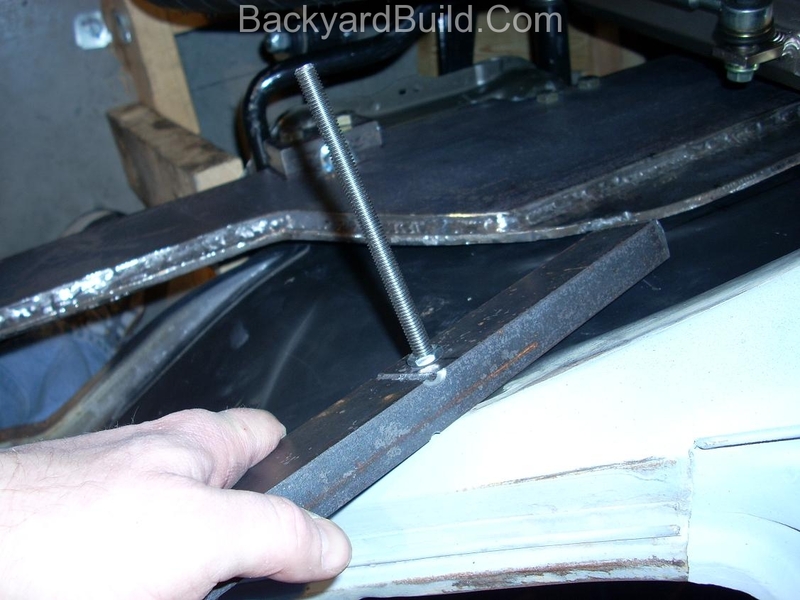 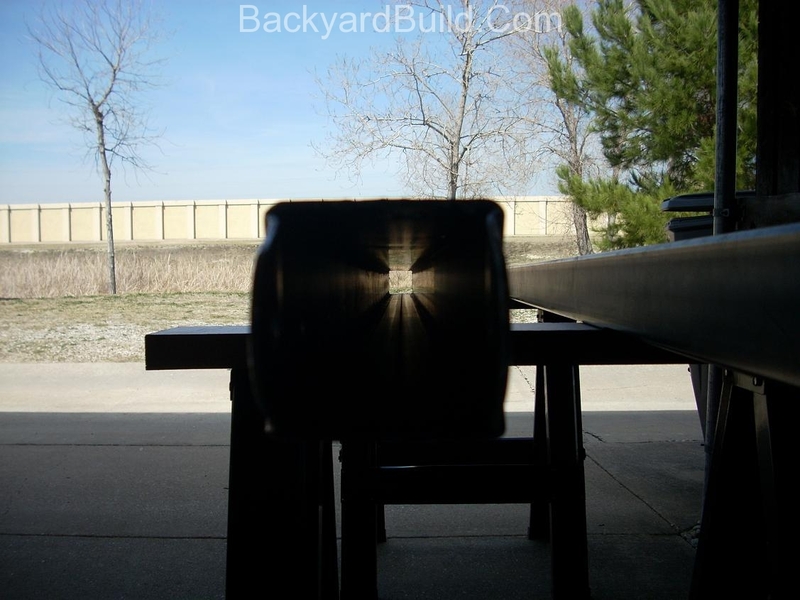 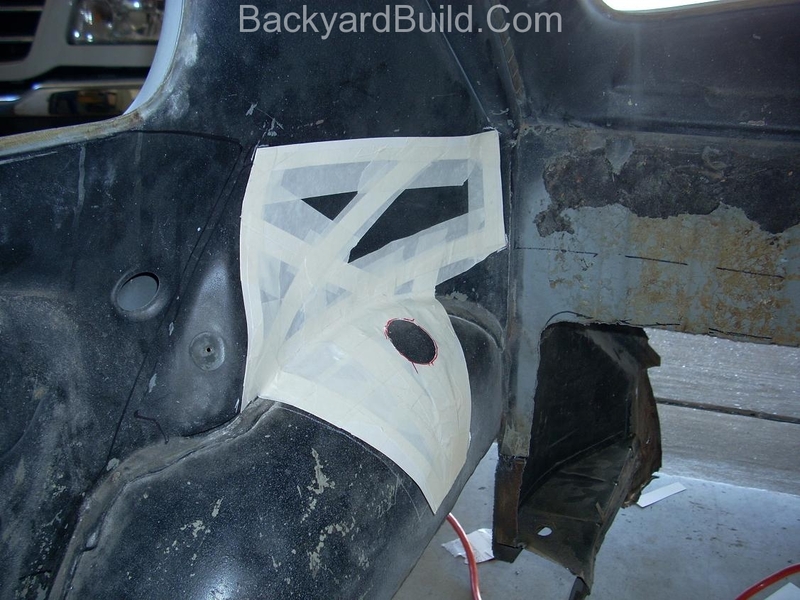 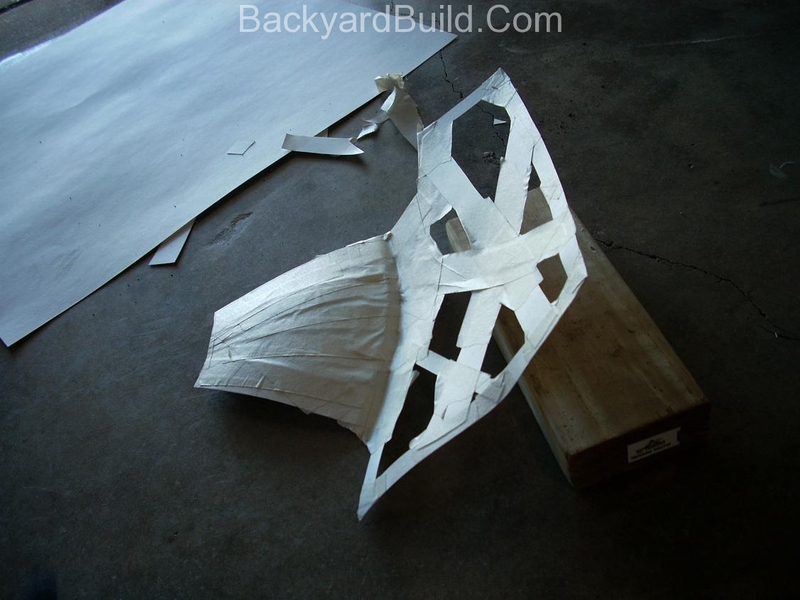 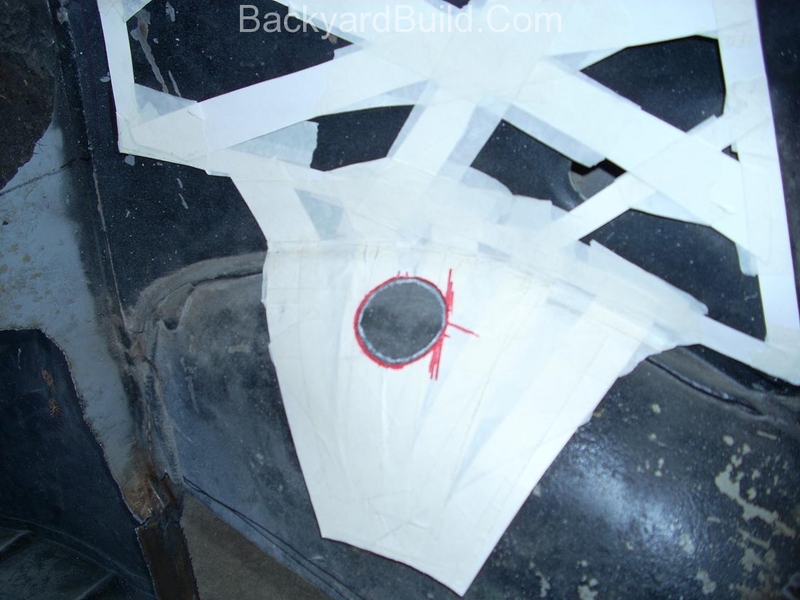 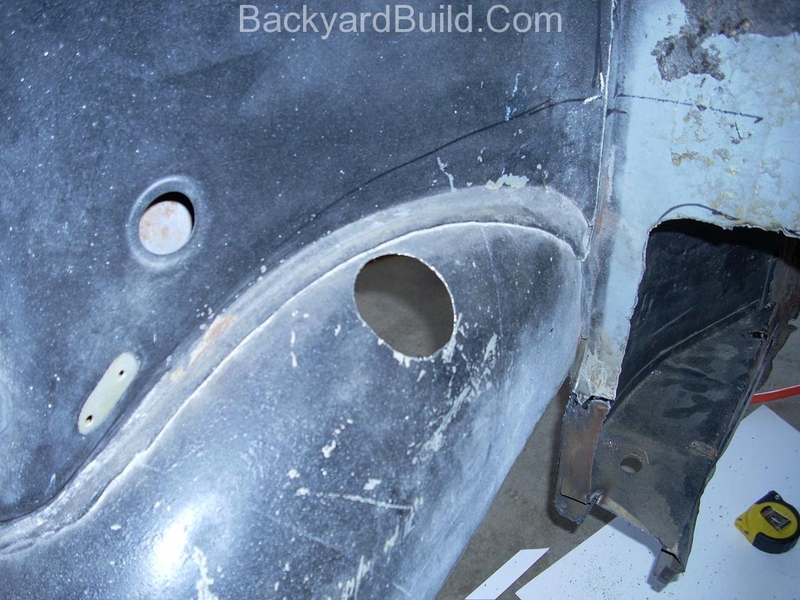 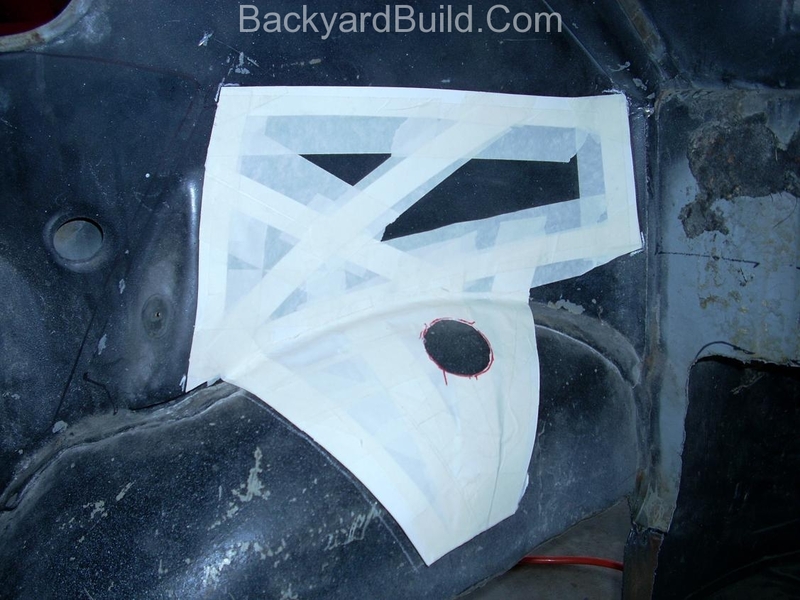 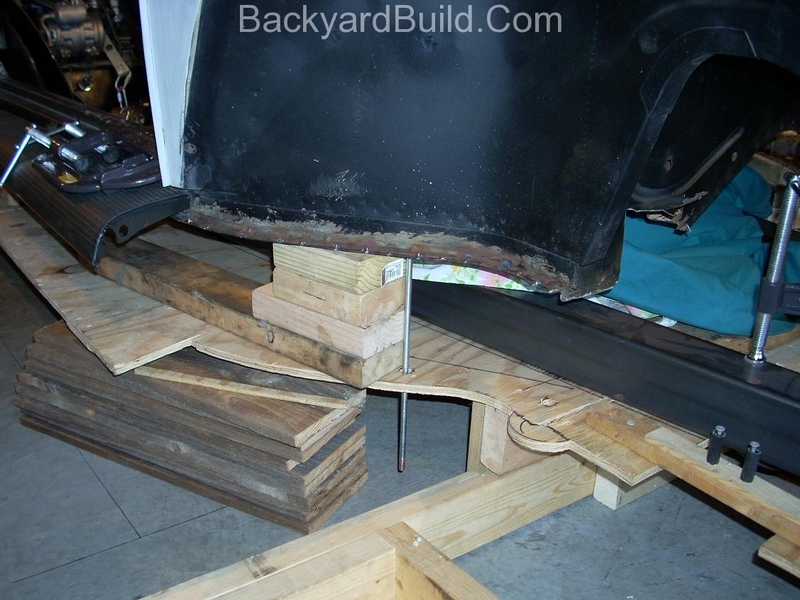 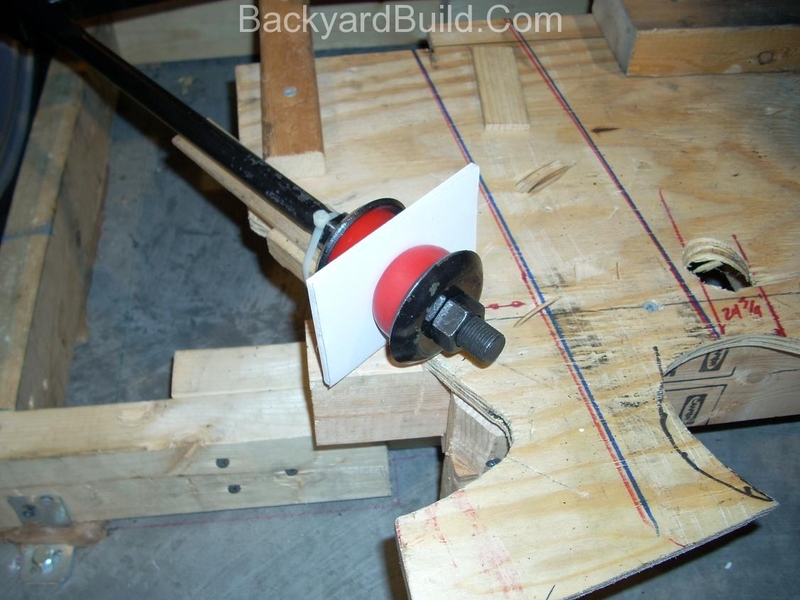 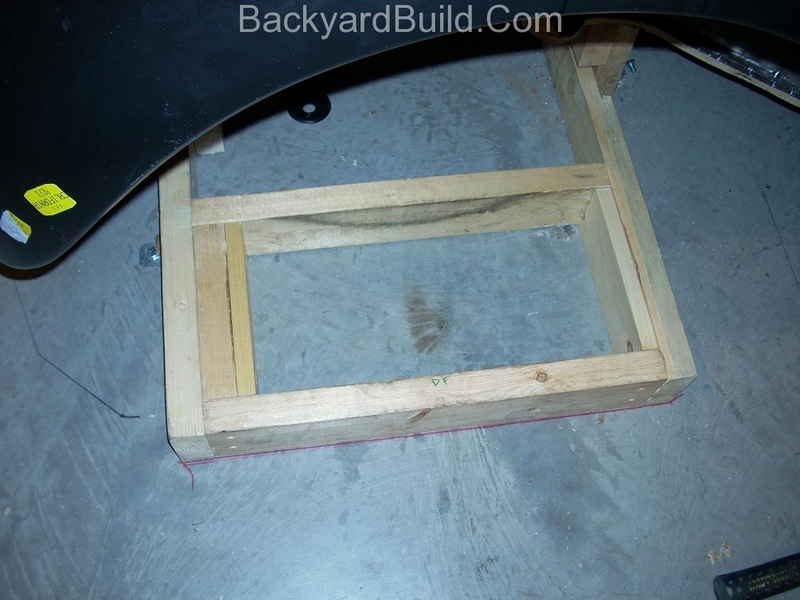 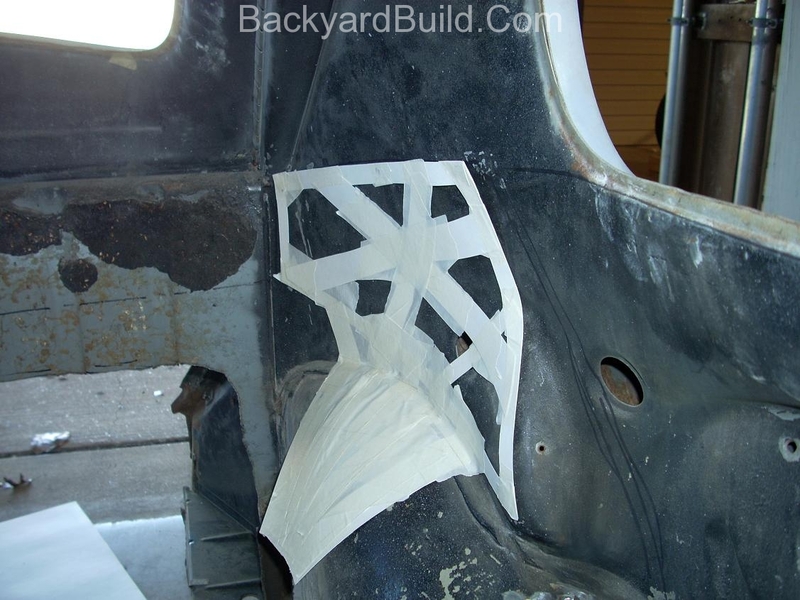 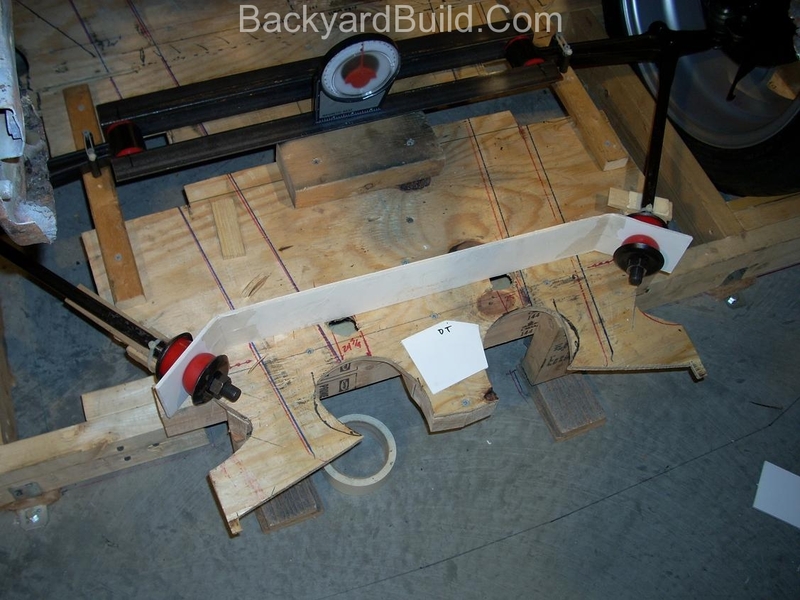 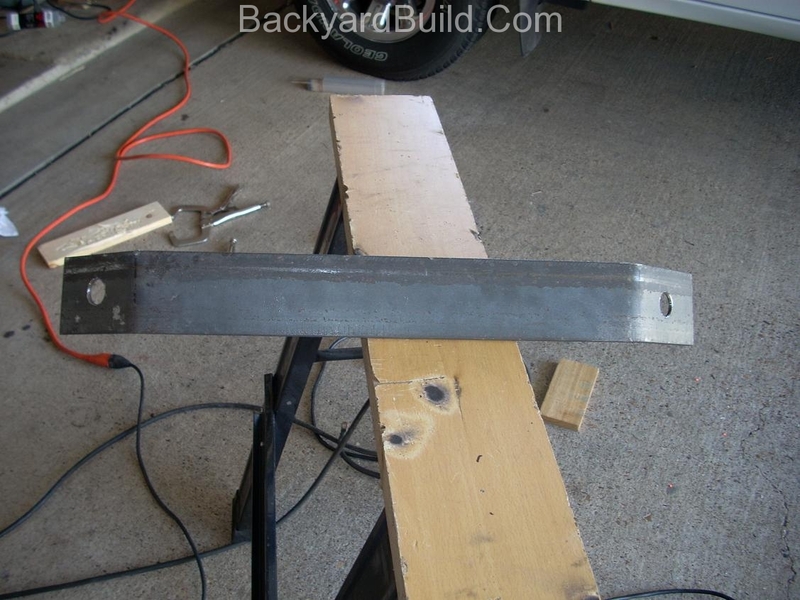 I had to cut quite a bit of the Vw bug body shell out in order to accomplish this task. 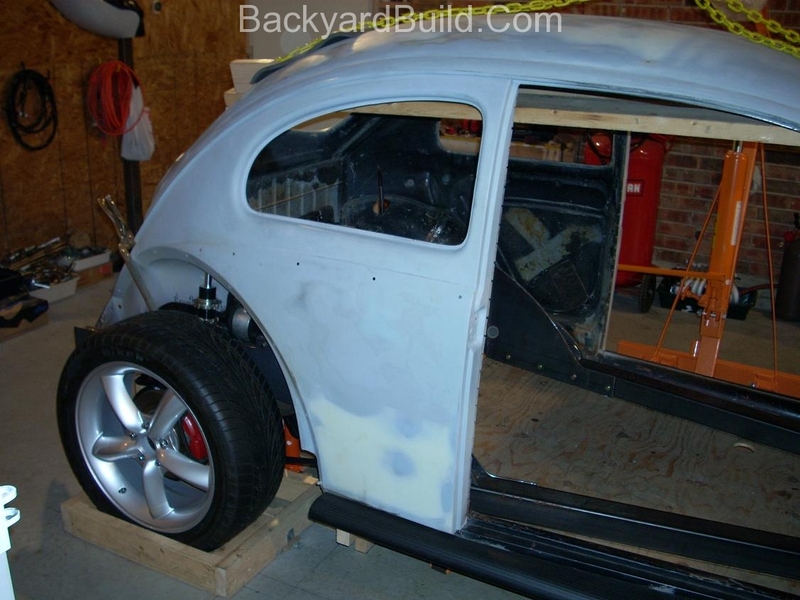 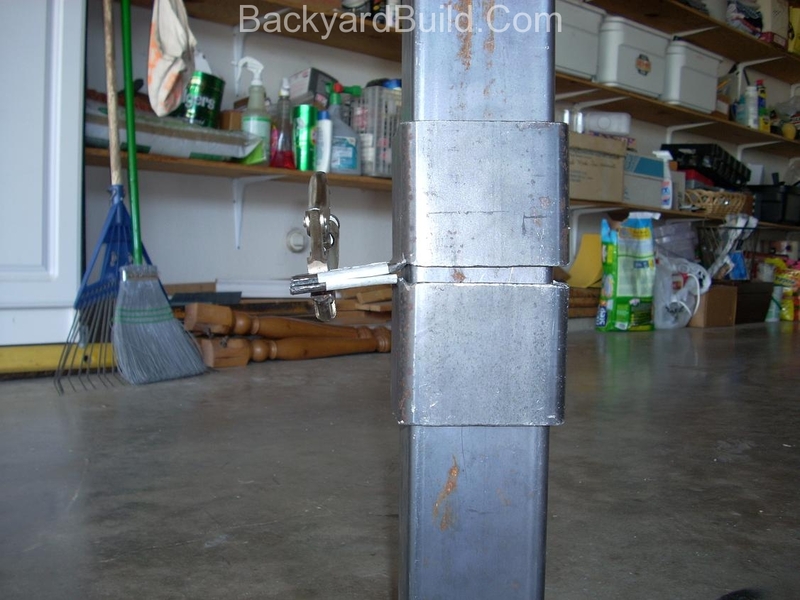 I now have all the VW bug sheetmetal in place. 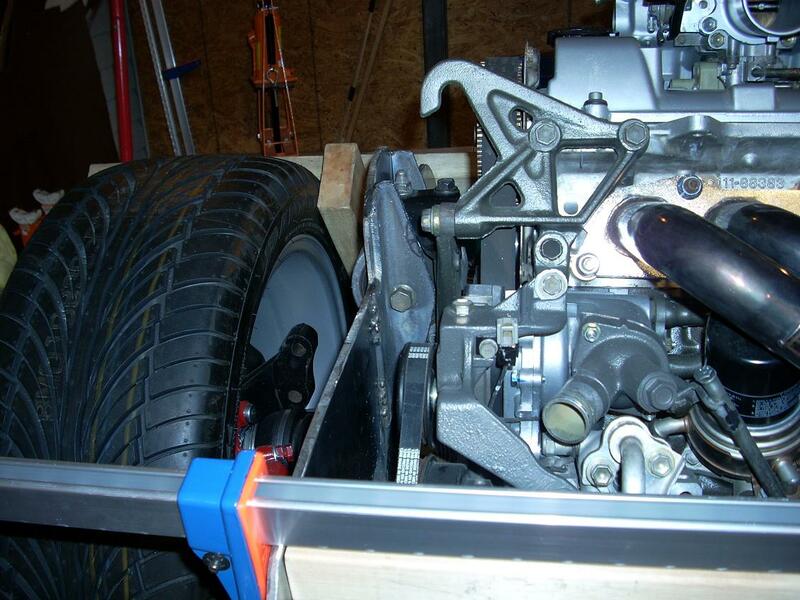 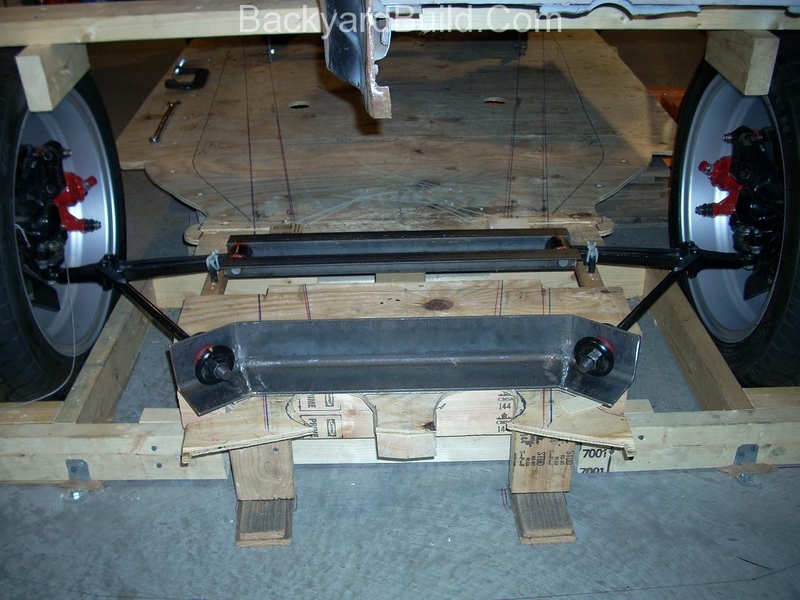 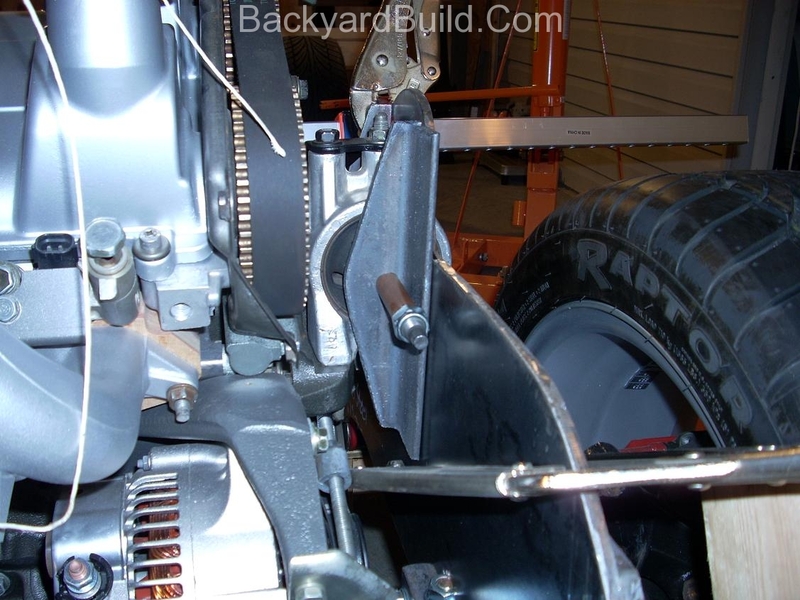 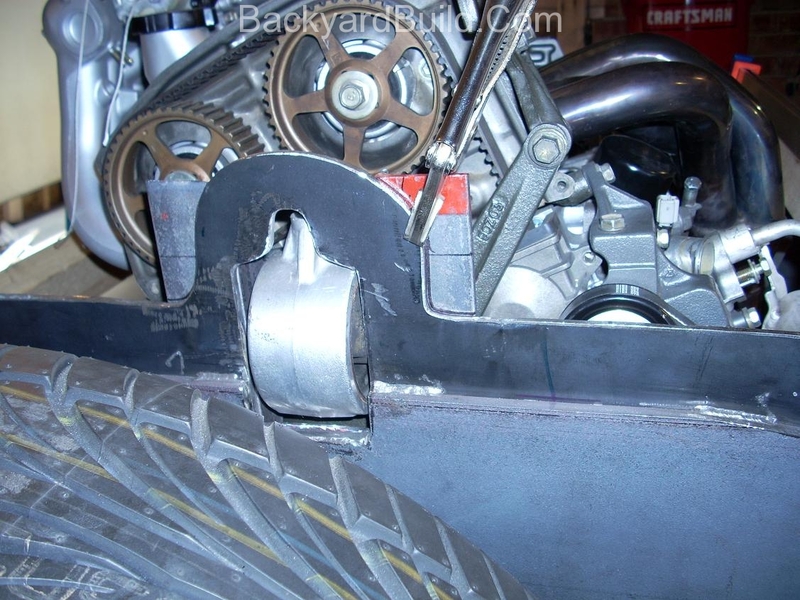 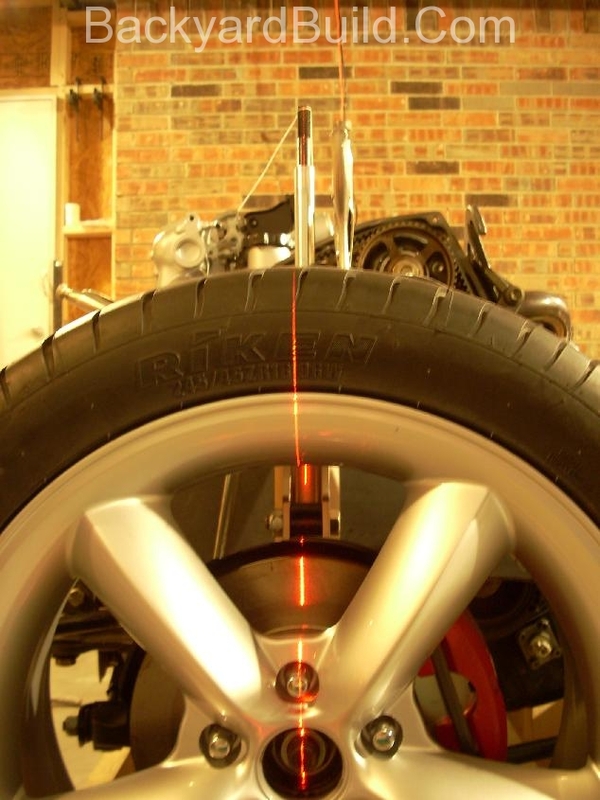 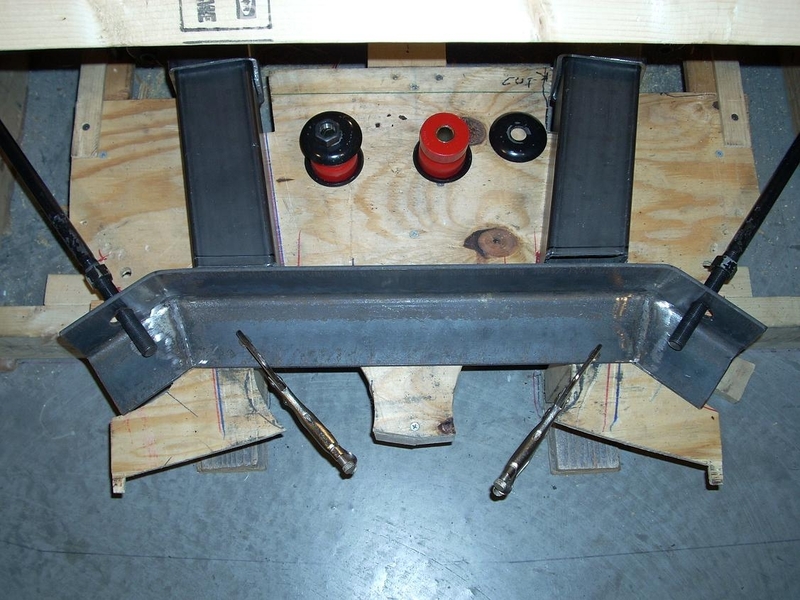 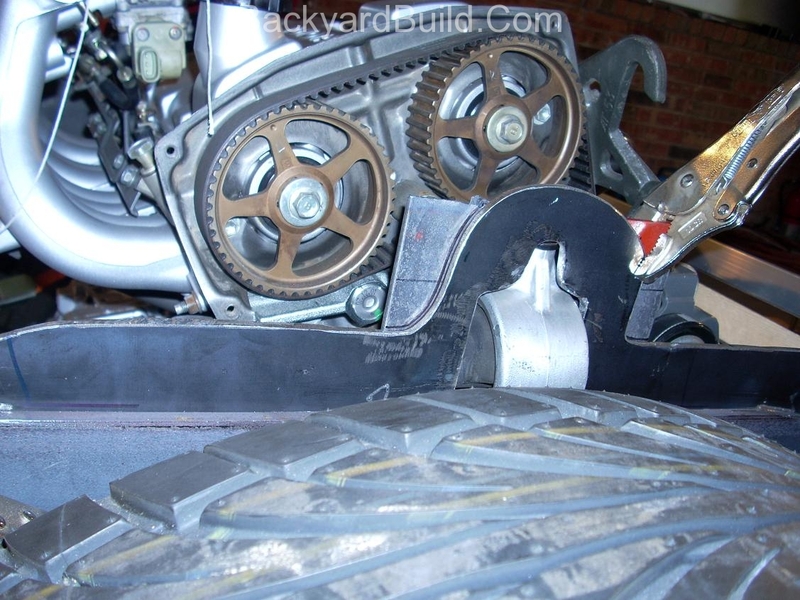 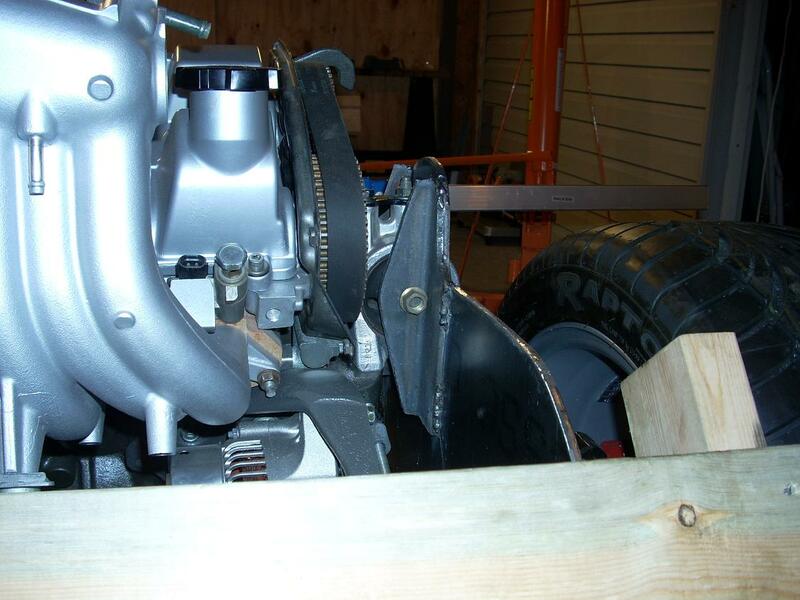 This 2nd fitting has revealed that the front wheels are too far forward and must be moved back 3/4″. 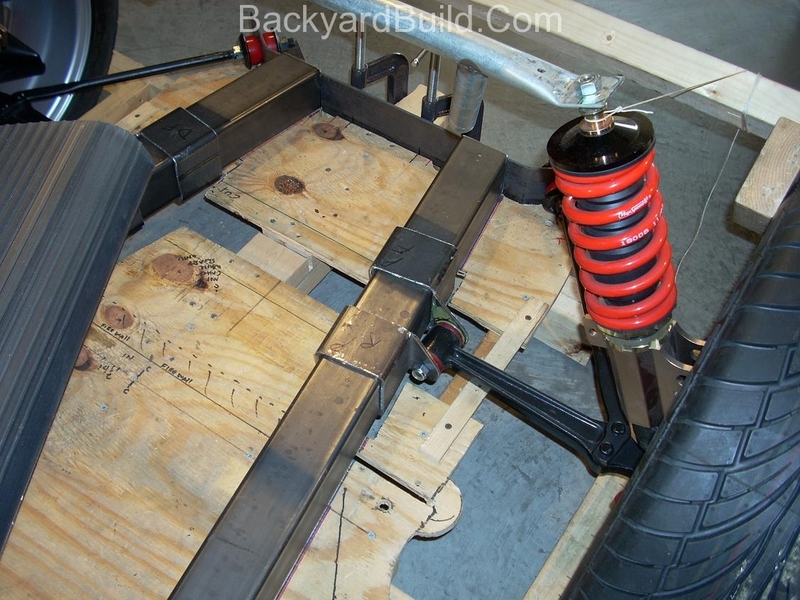 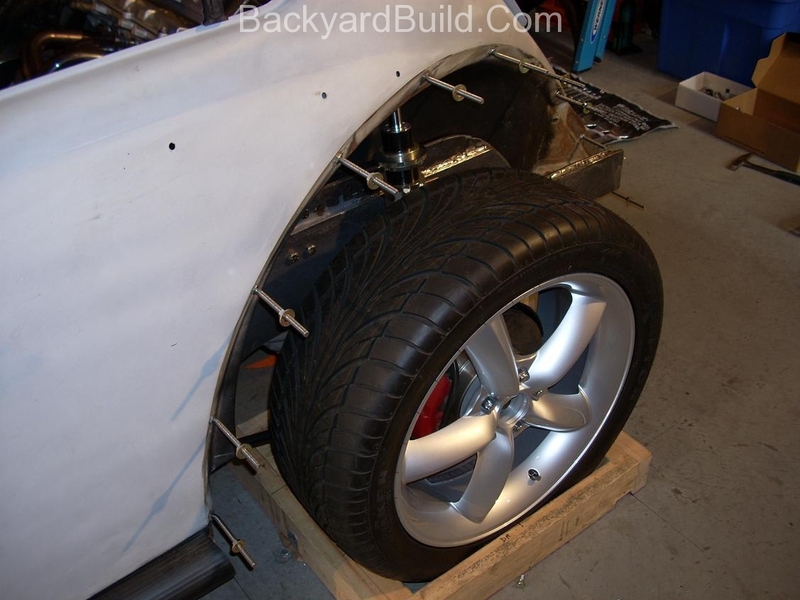 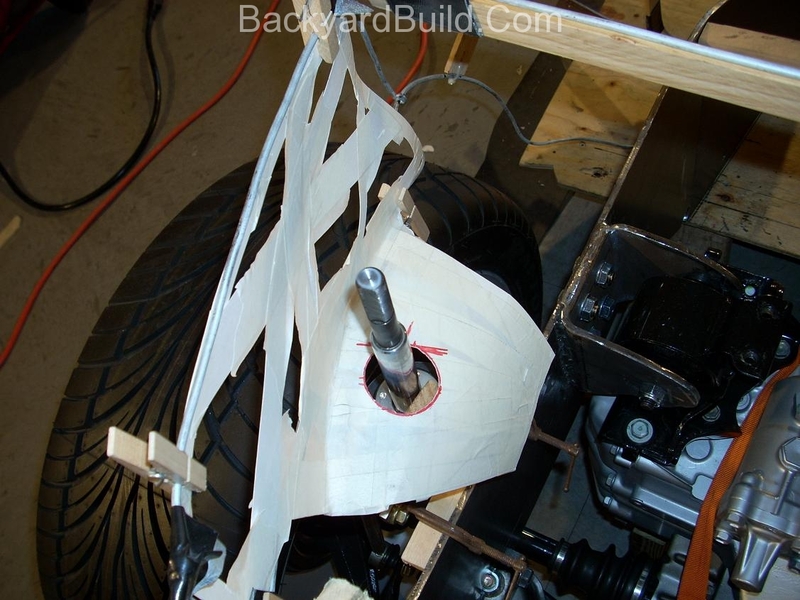 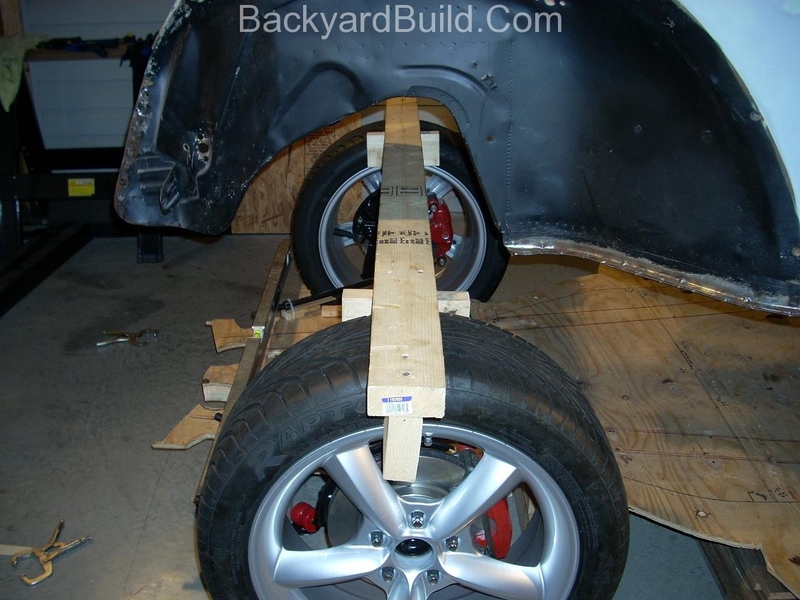 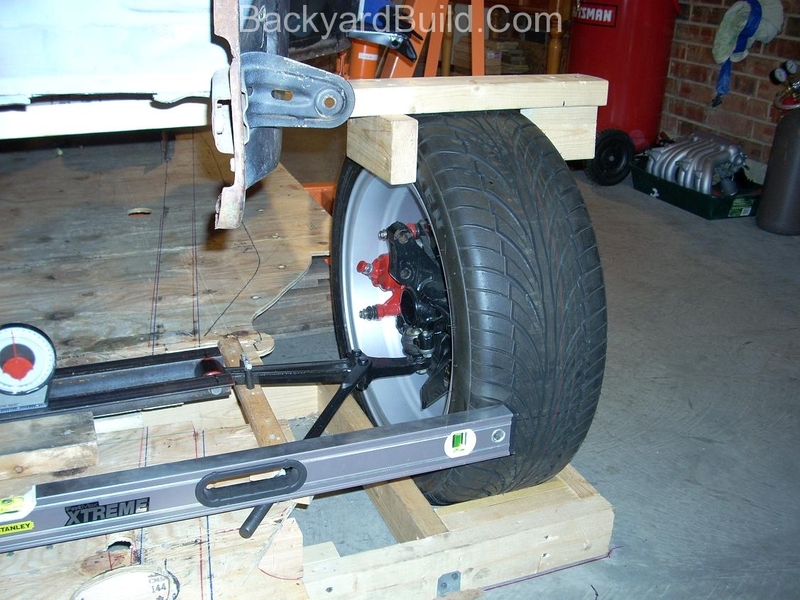 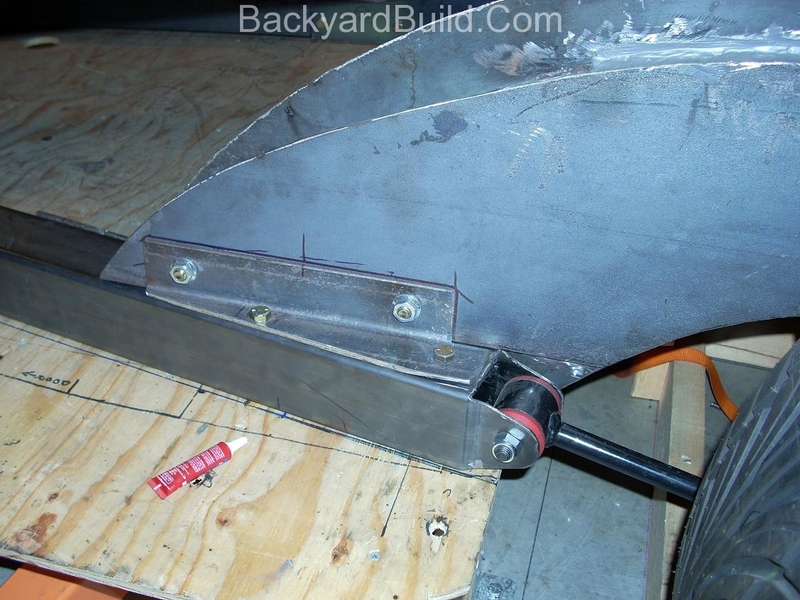 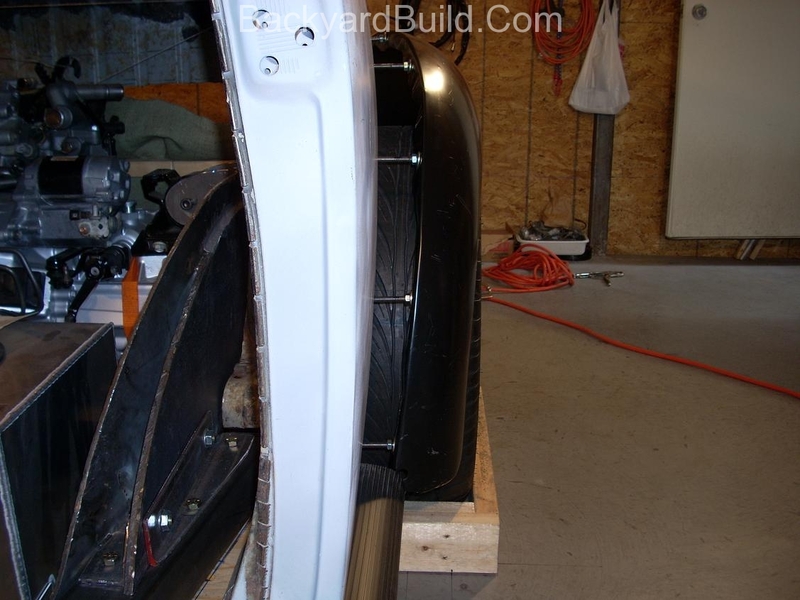 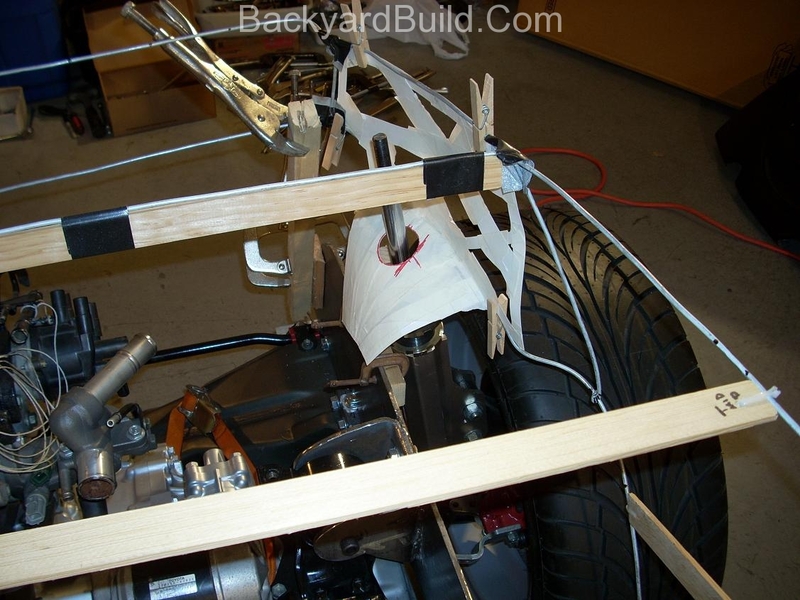 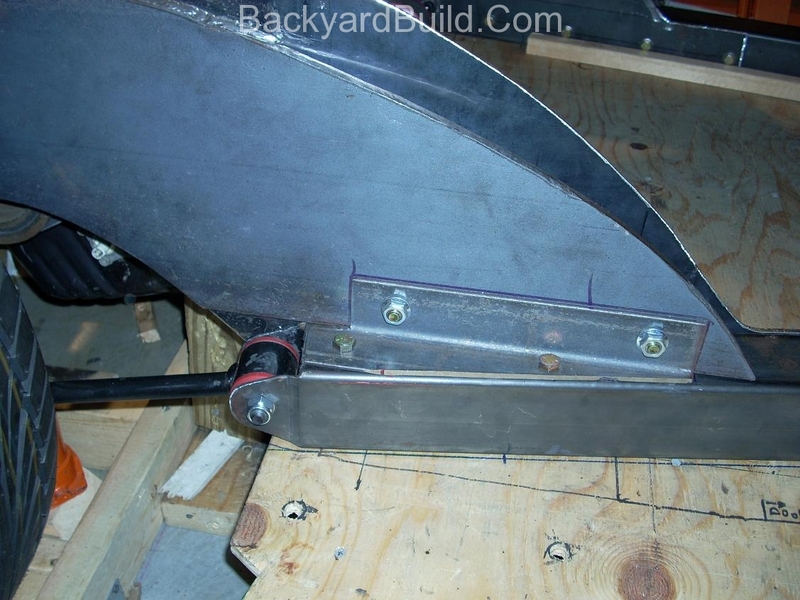 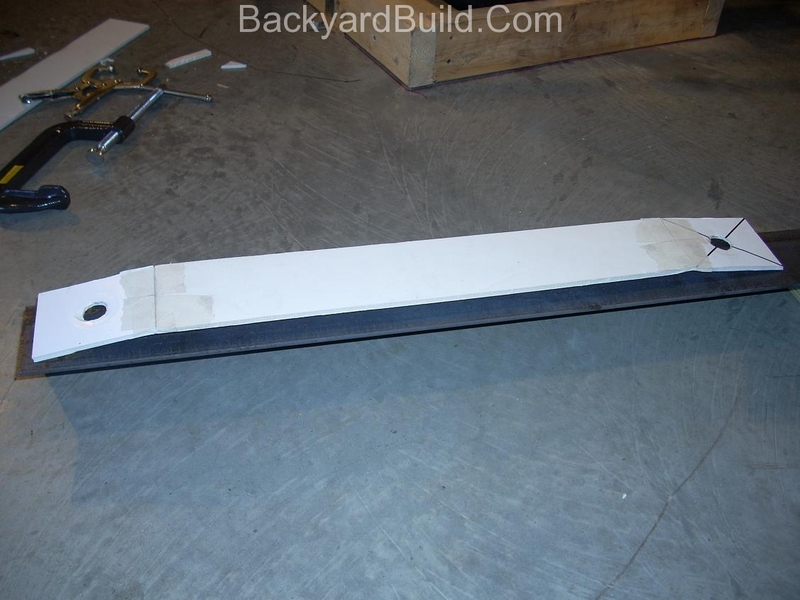 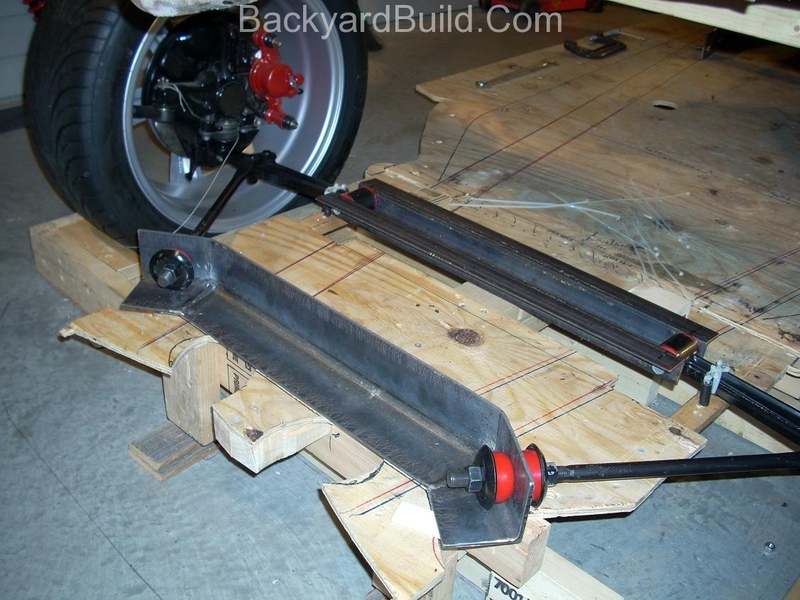 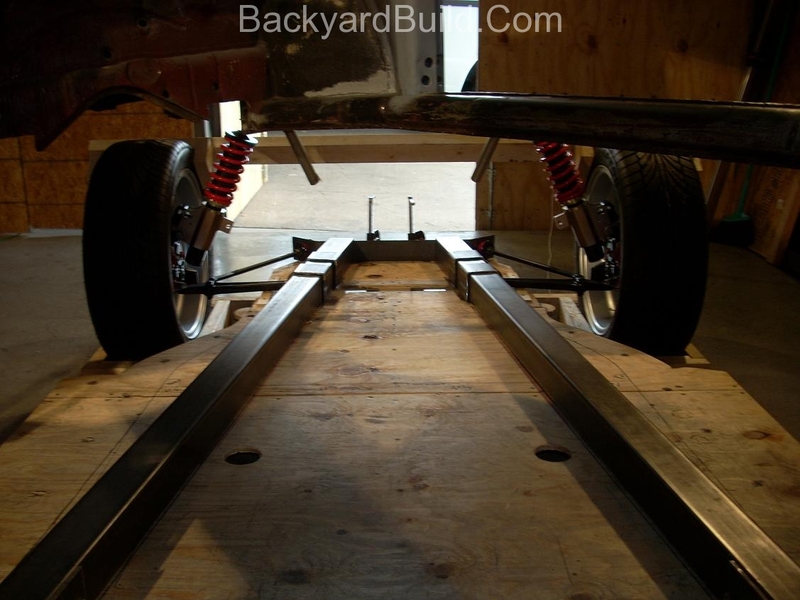 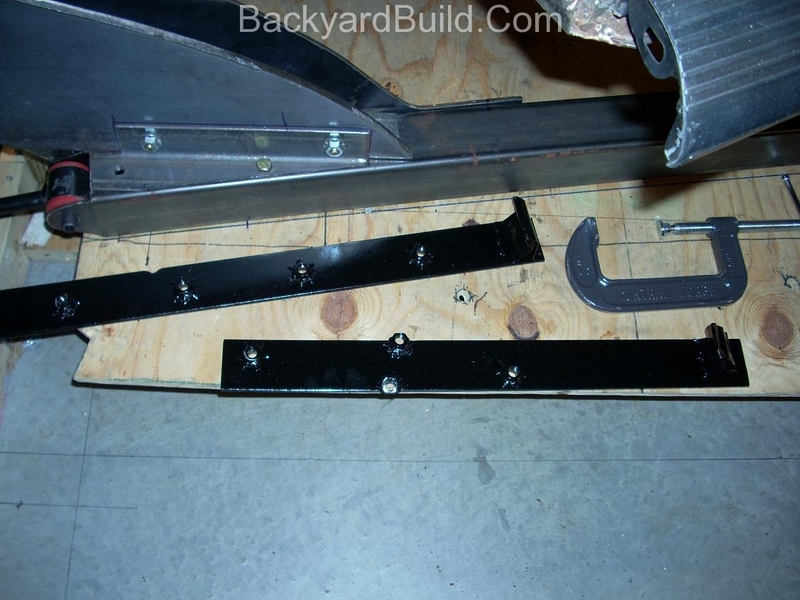 All 4 fenders appear that they will need to be flaired somewhat to accommodate the Toyota MR2’s drive-train. 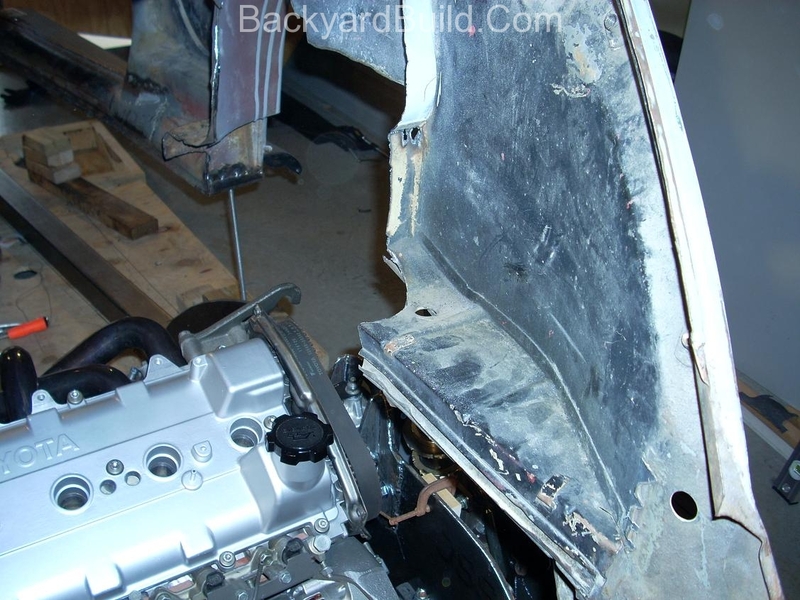 All in all, I am happy with the results. 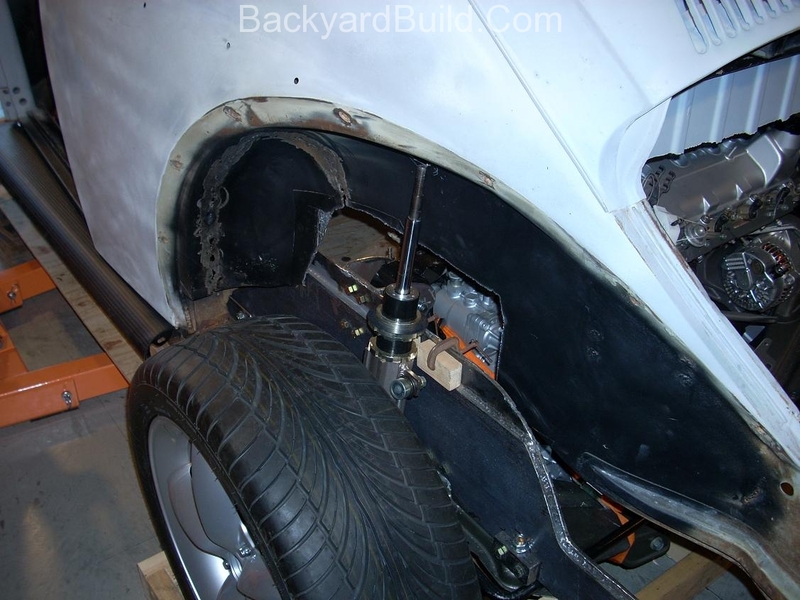 After carefully aligning the MR2’s front end suspension, I have successfully created the VW bug’s front frame member. 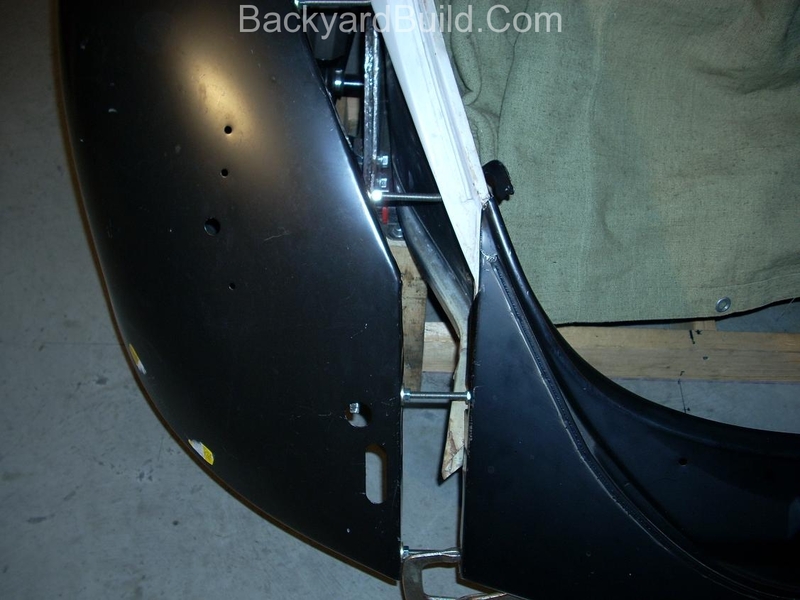 This nose piece will incorporate the front strut bar mounts. 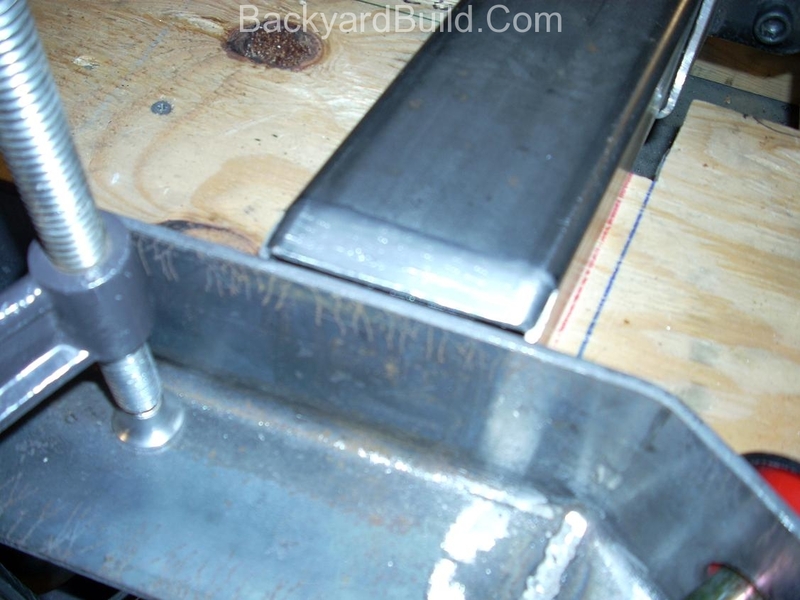 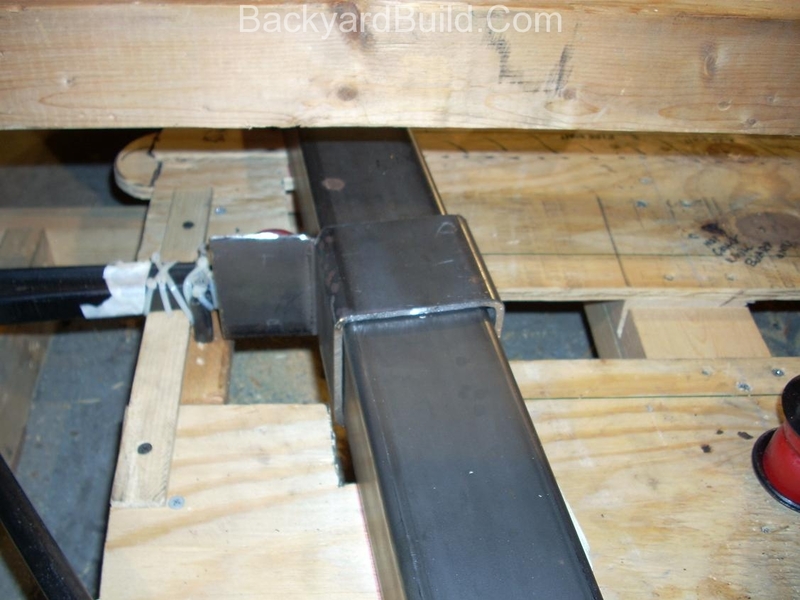 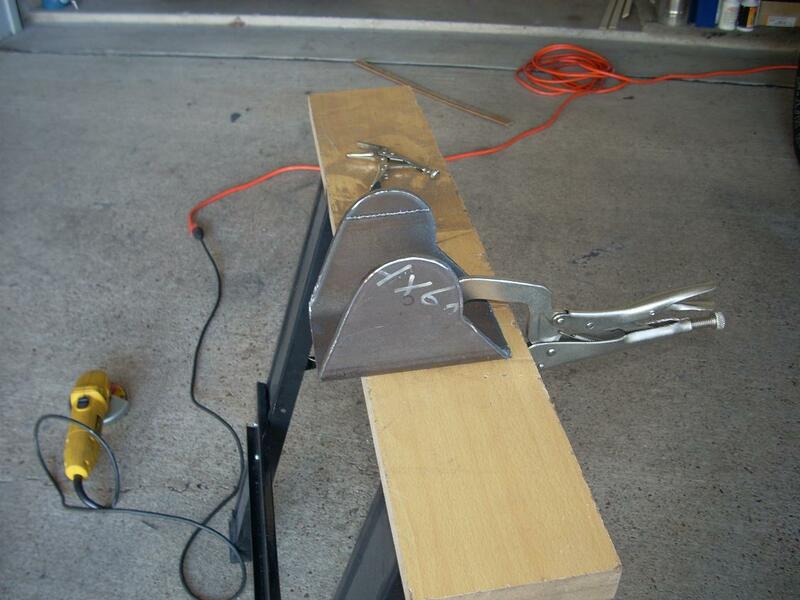 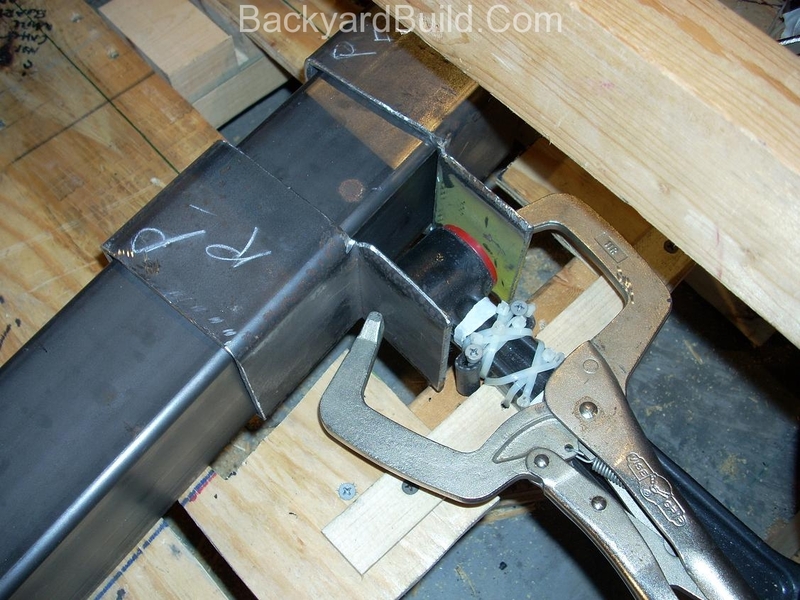 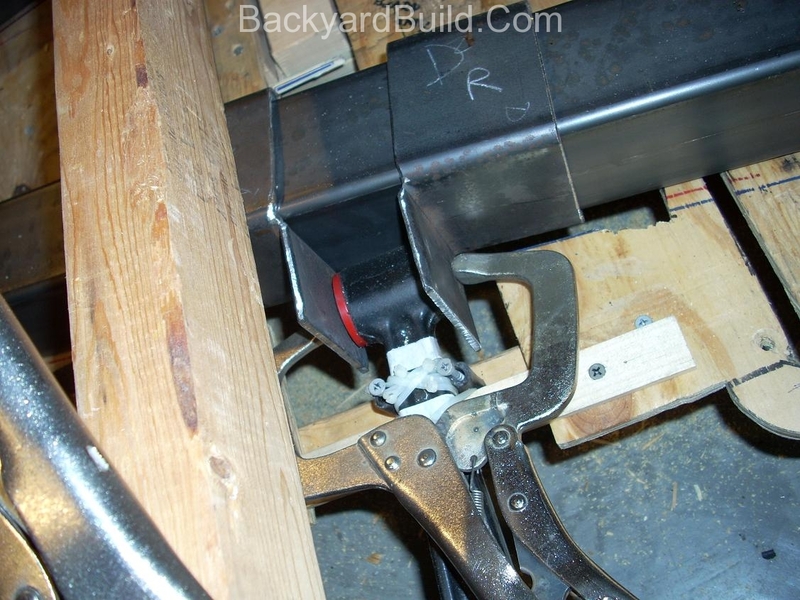 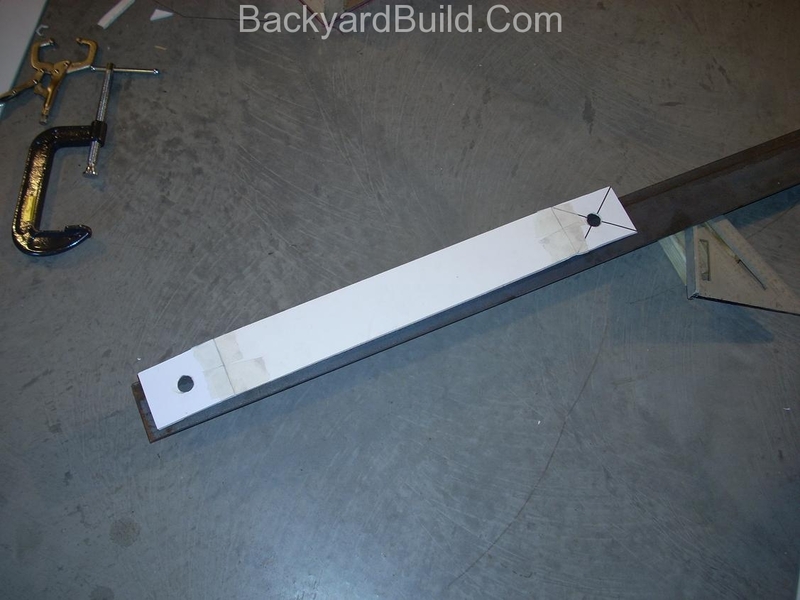 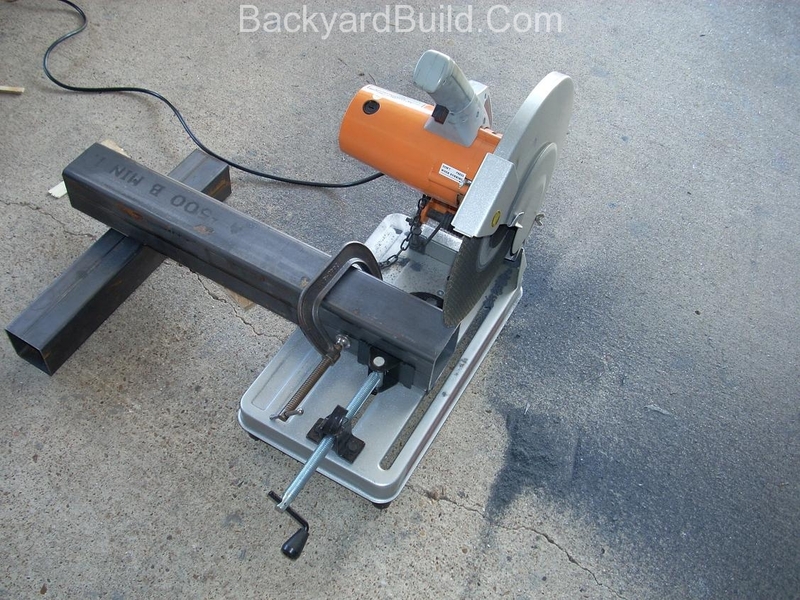 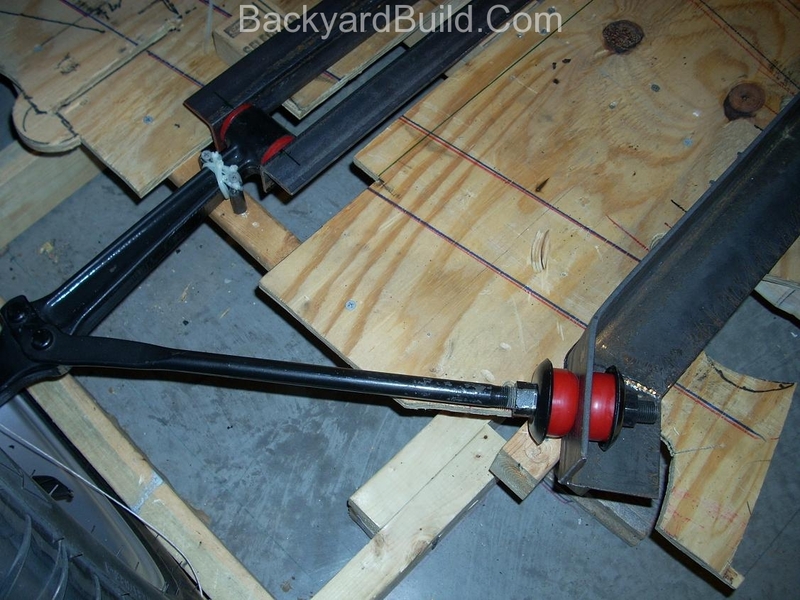 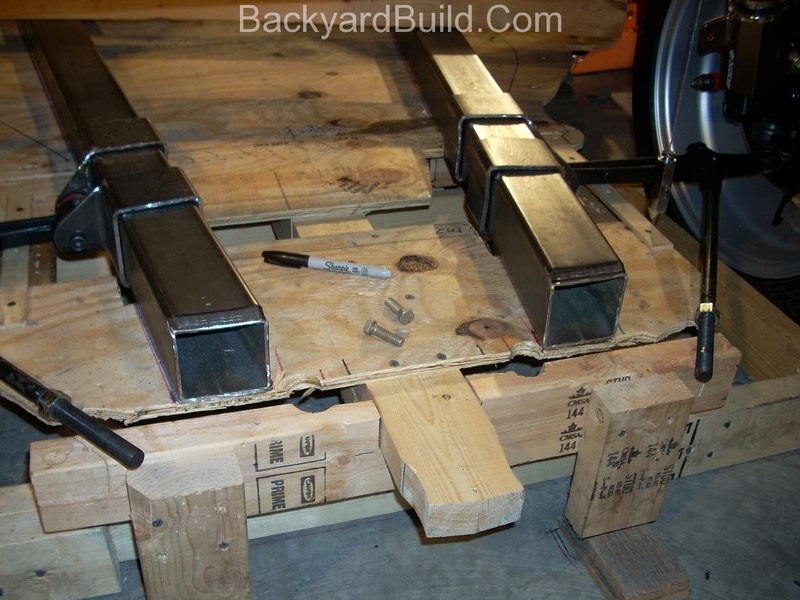 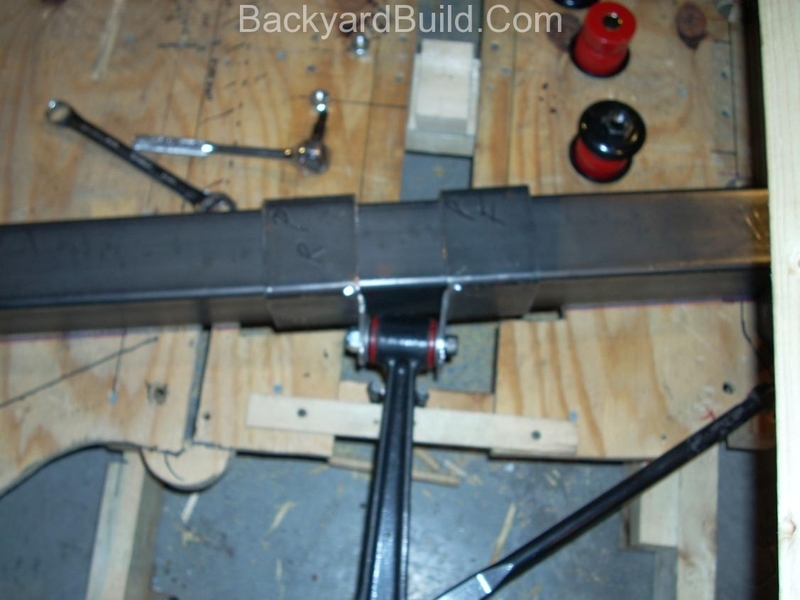 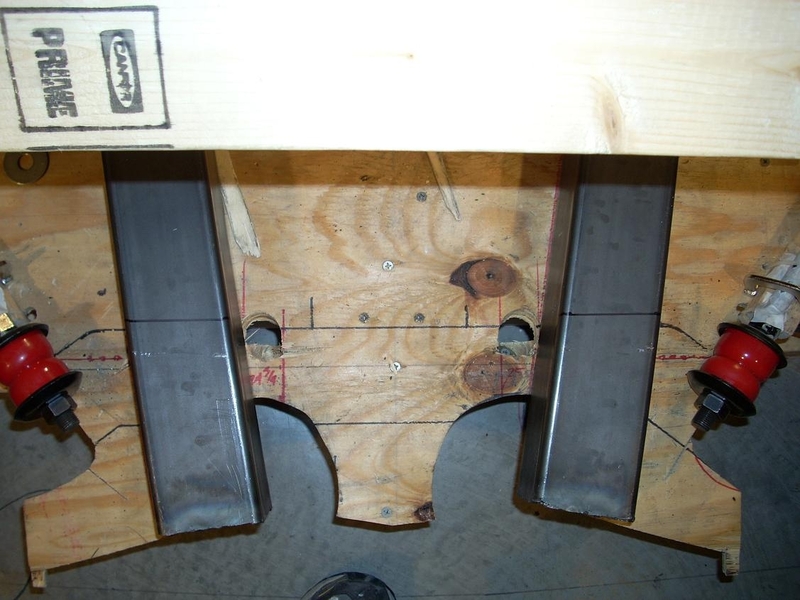 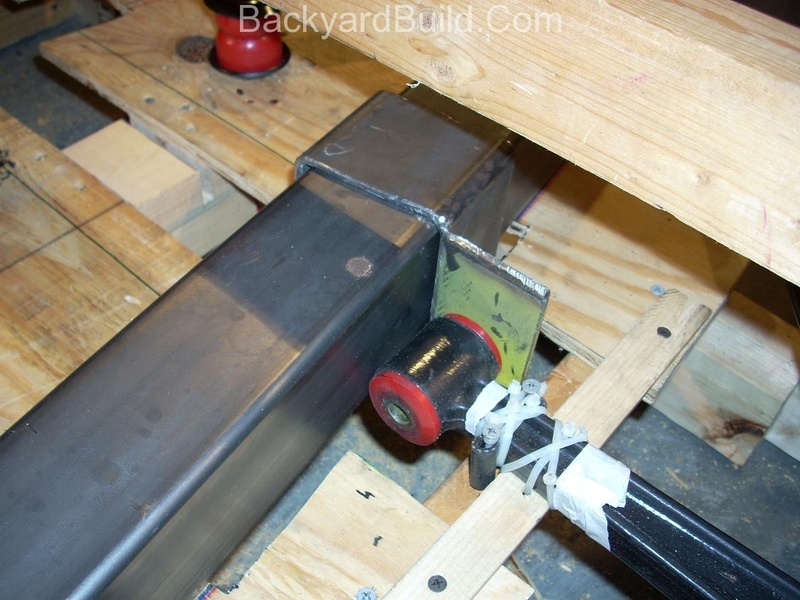 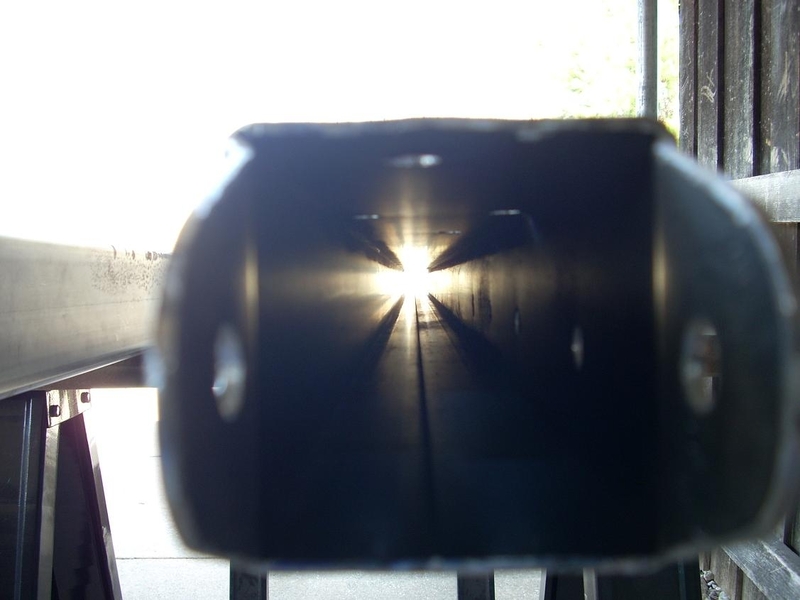 With the main rails marked to the correct length, I am installing them for the final time. 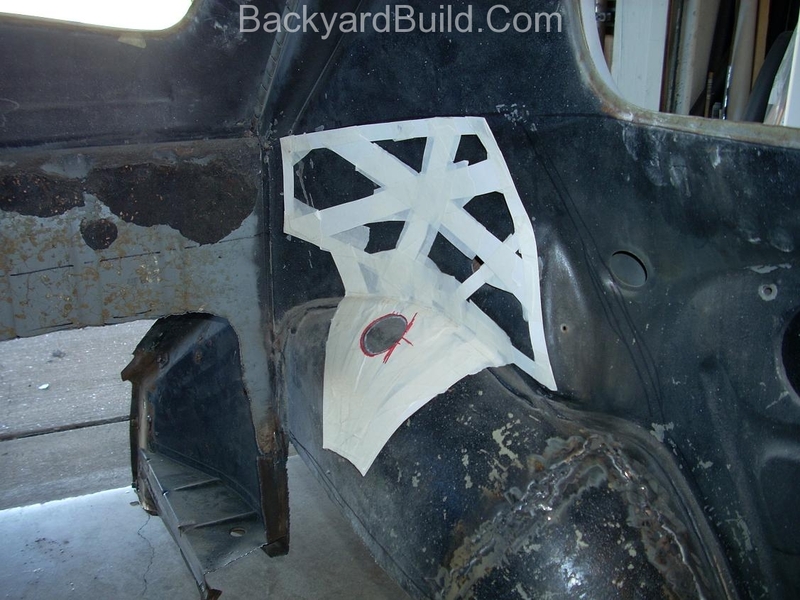 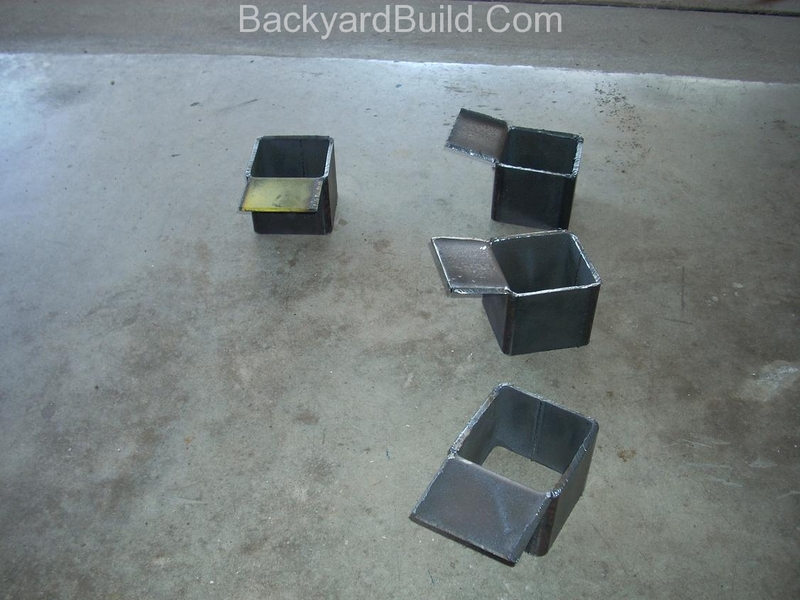 I have painted the back-up plates and inside the tubes with heavy duty anti-rust paint. 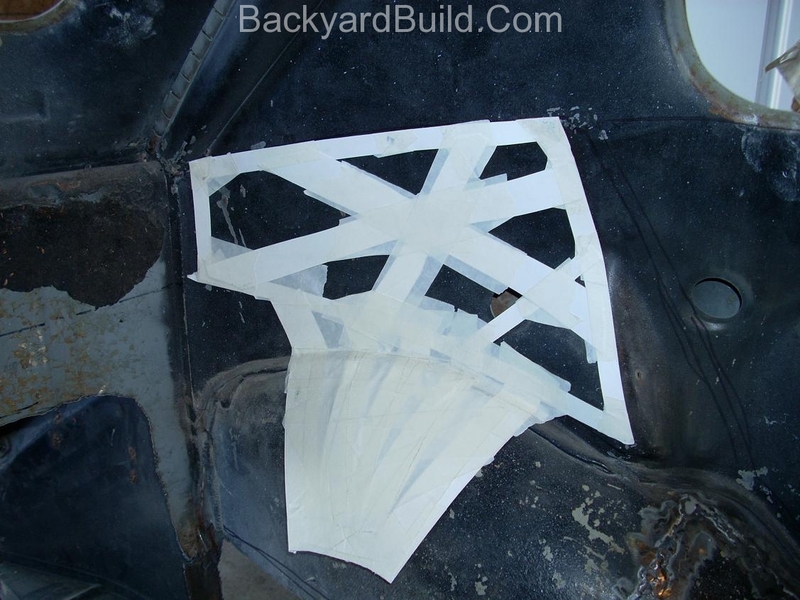 The MR2 lower front control arm tabs have been completed. 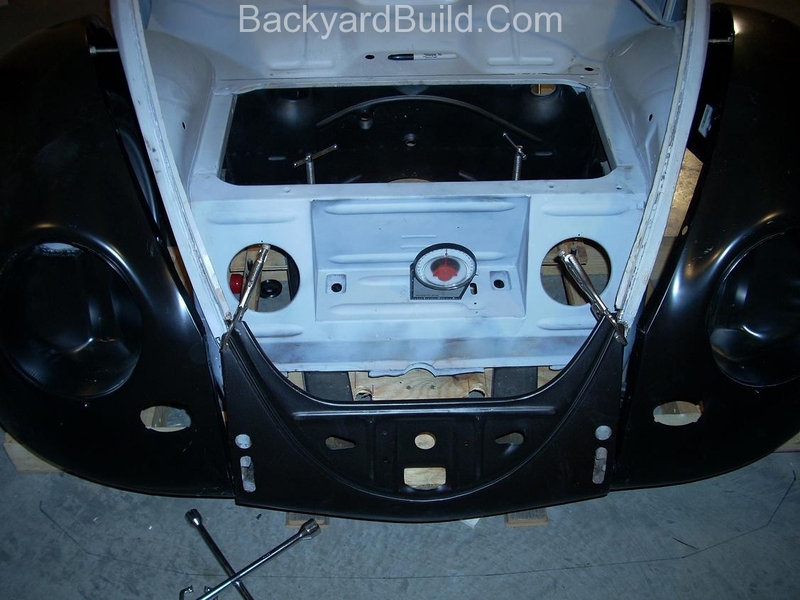 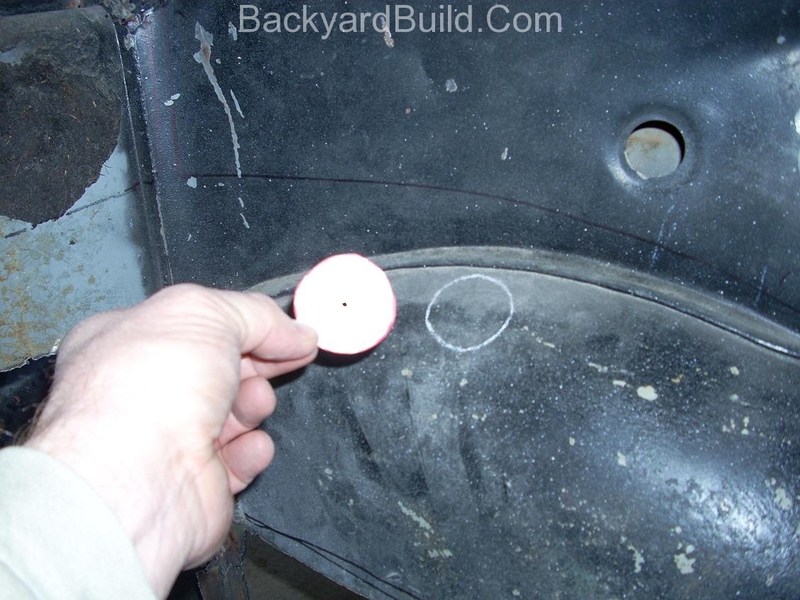 These tabs allow for fine tuning of the VW bug suspension locations. 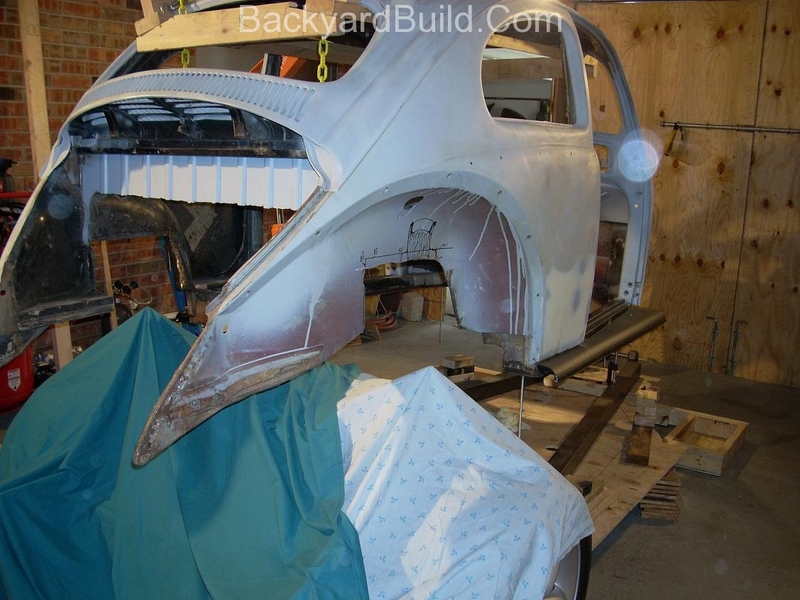 All of the VW bug front suspension mounts have been completed. 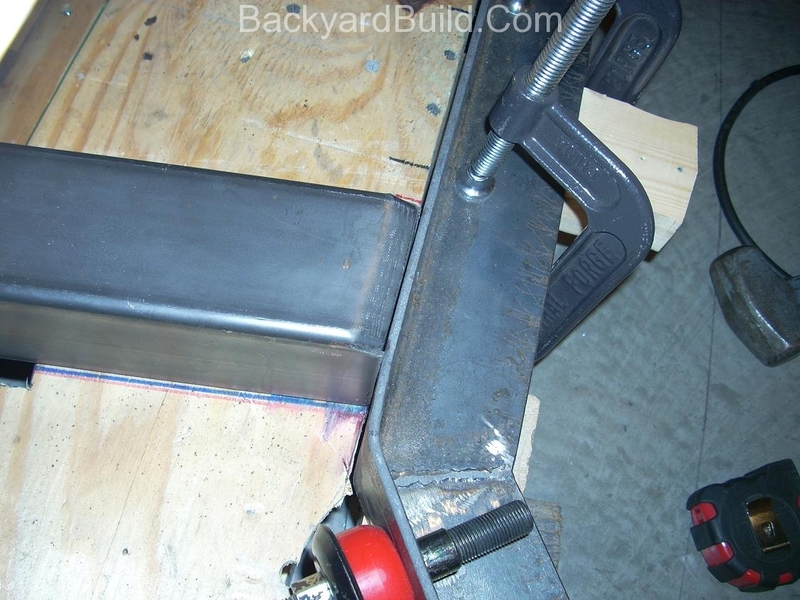 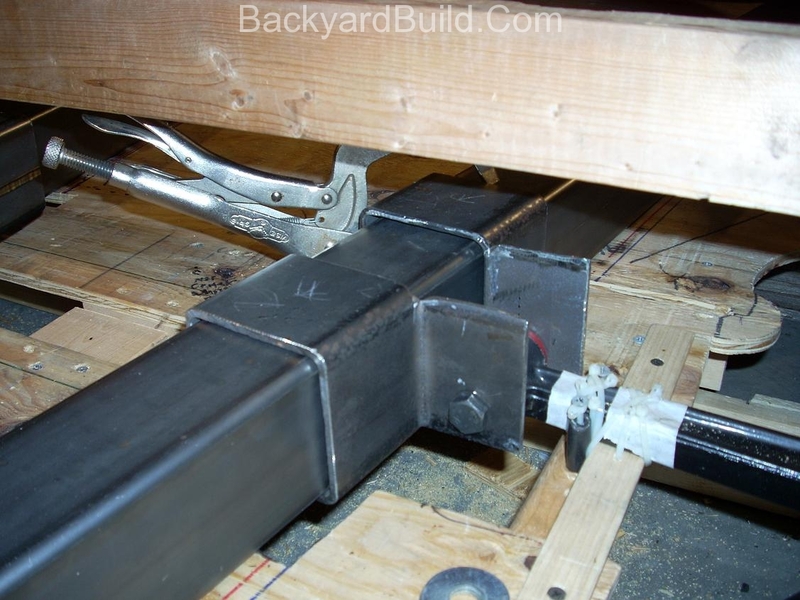 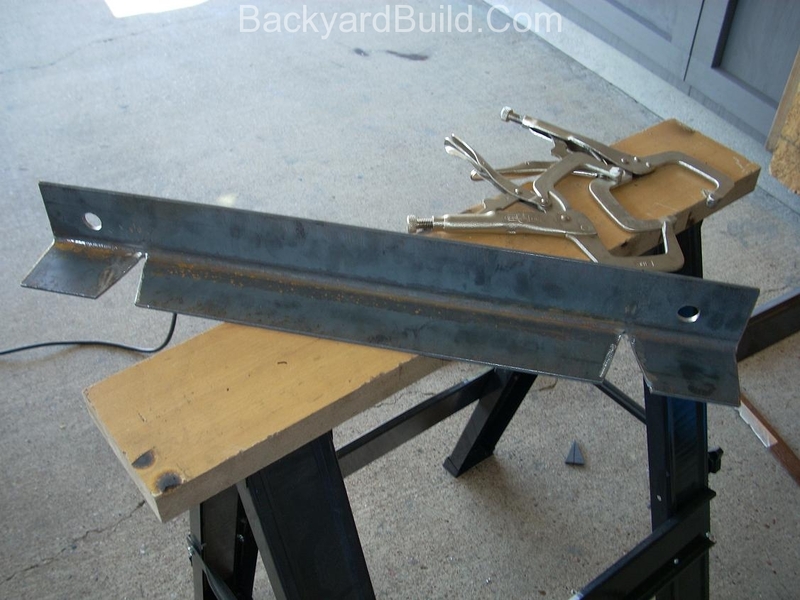 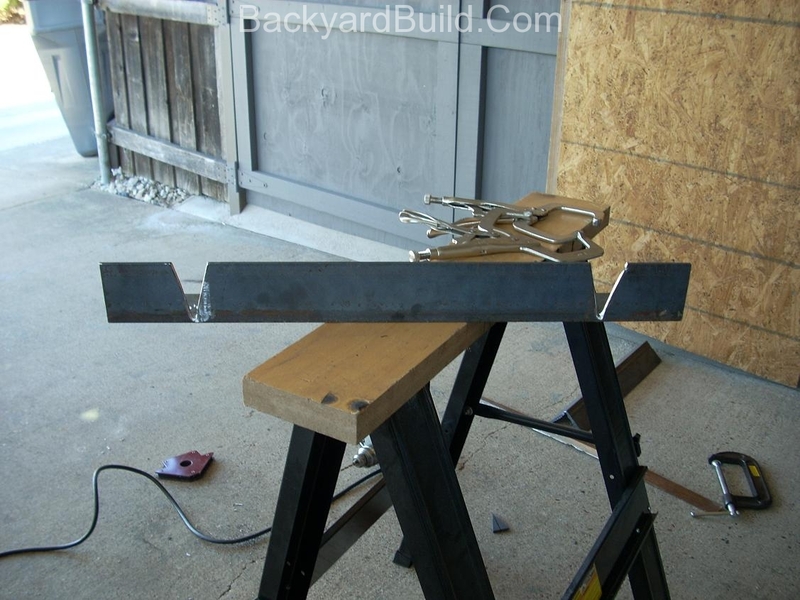 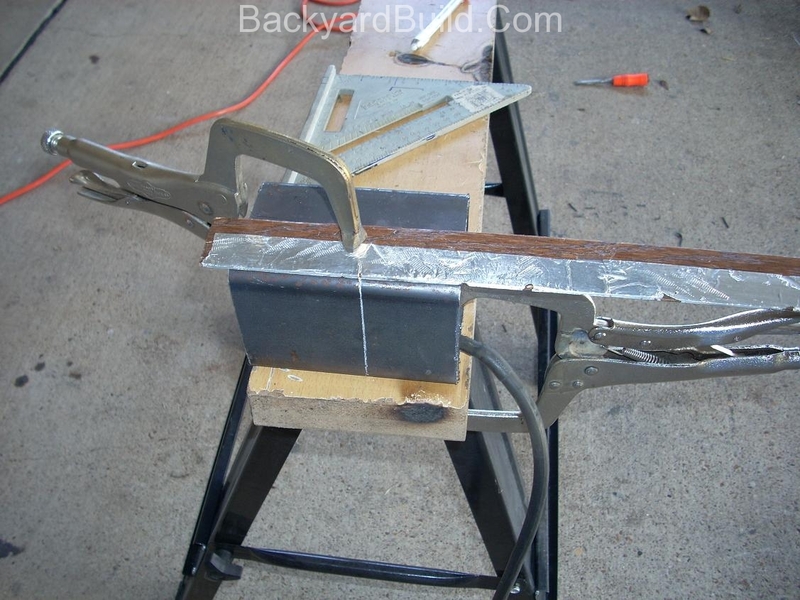 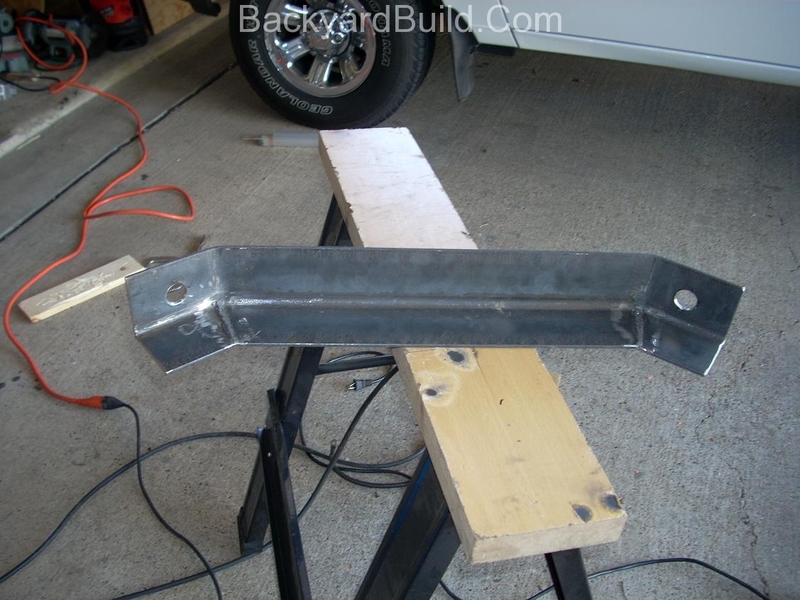 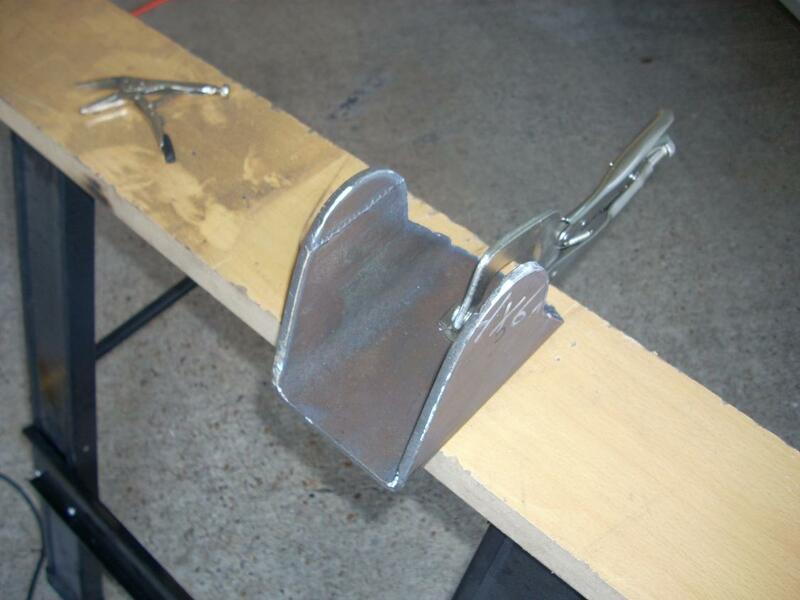 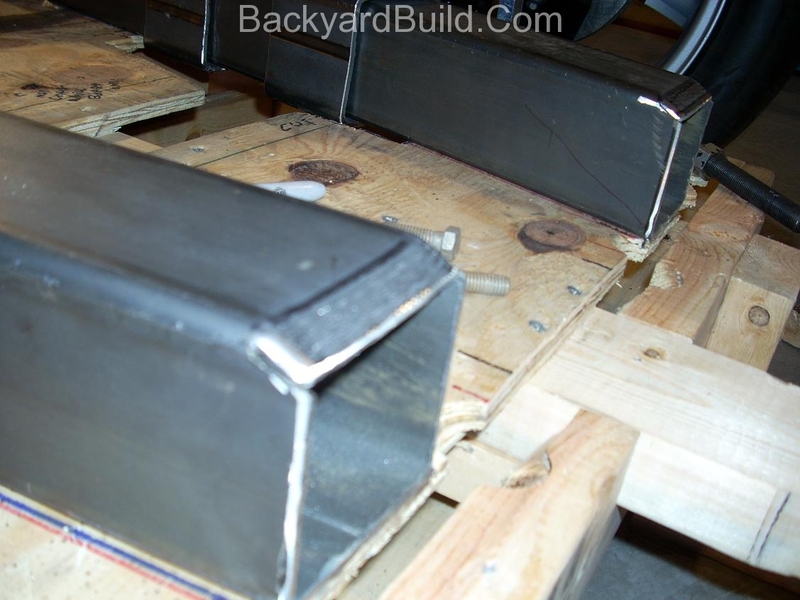 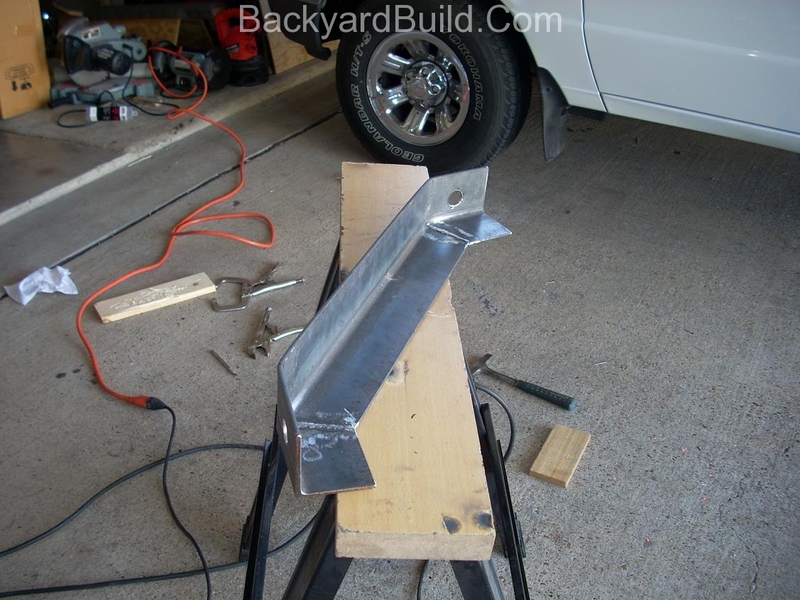 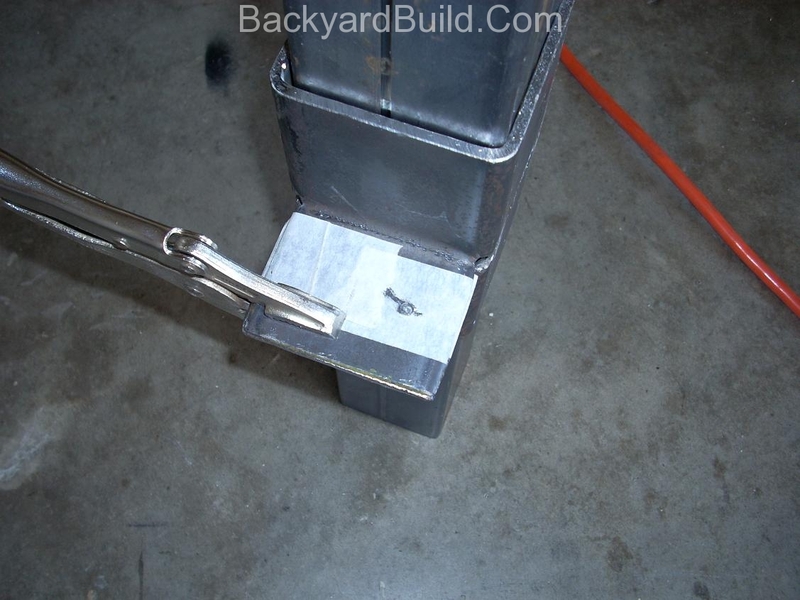 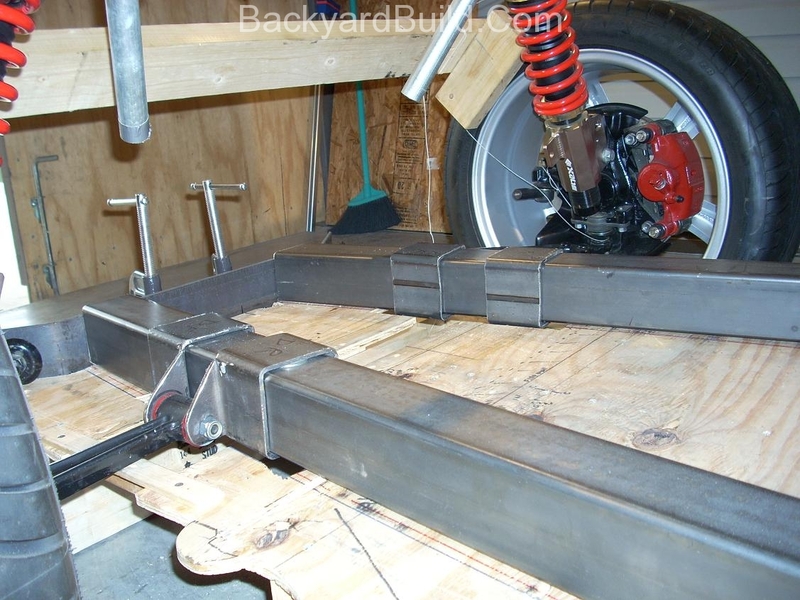 Once fine tuned I will weld them on to the main frame rails. 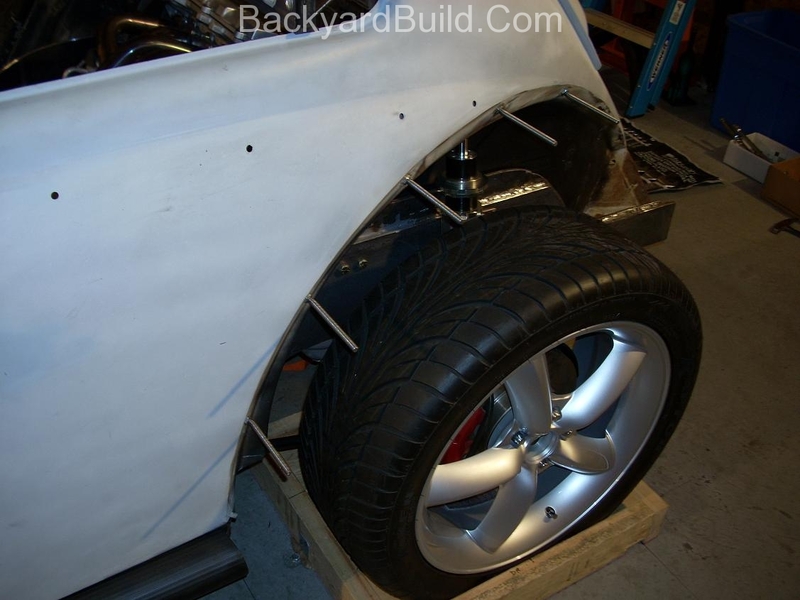 Where did you get the rims? 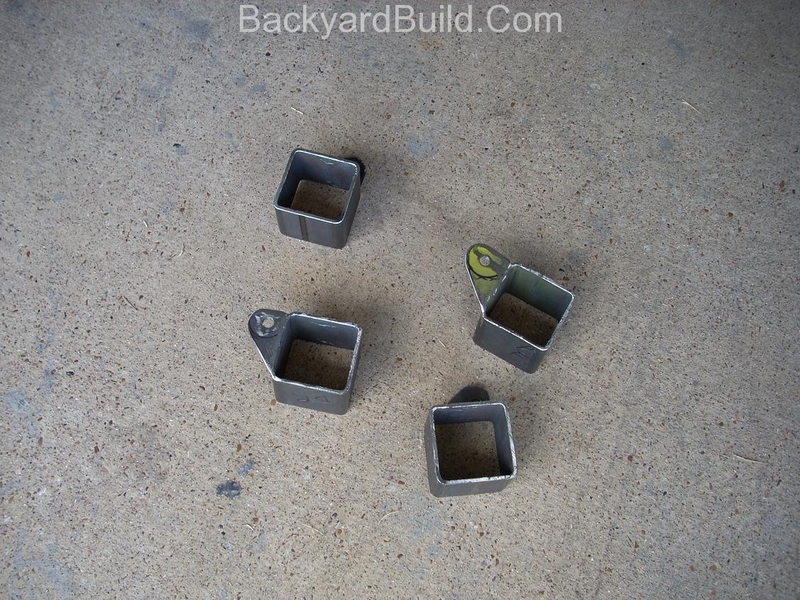 What size are they? 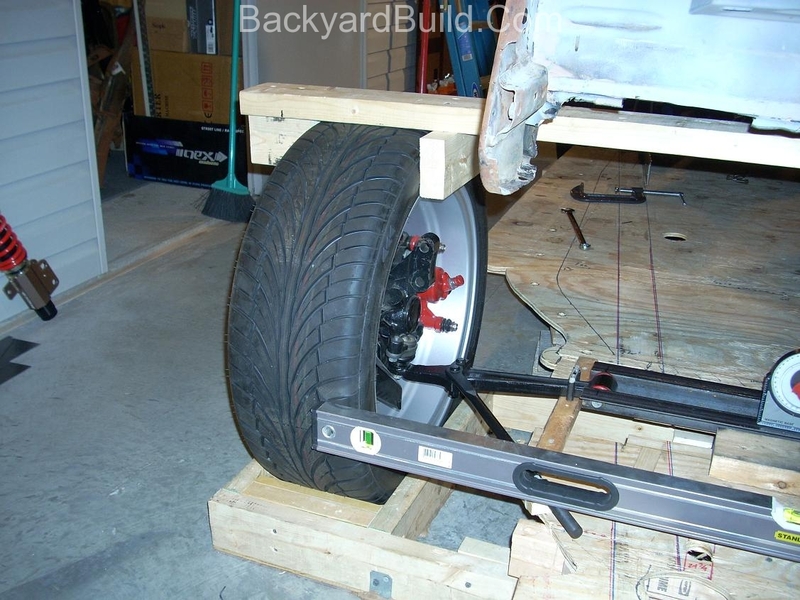 Tires, same questions? 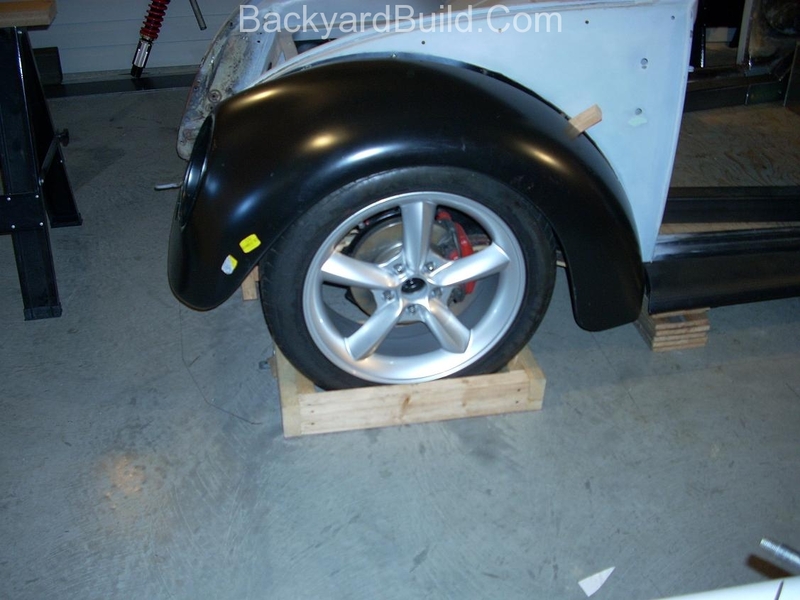 The rims were euromax. 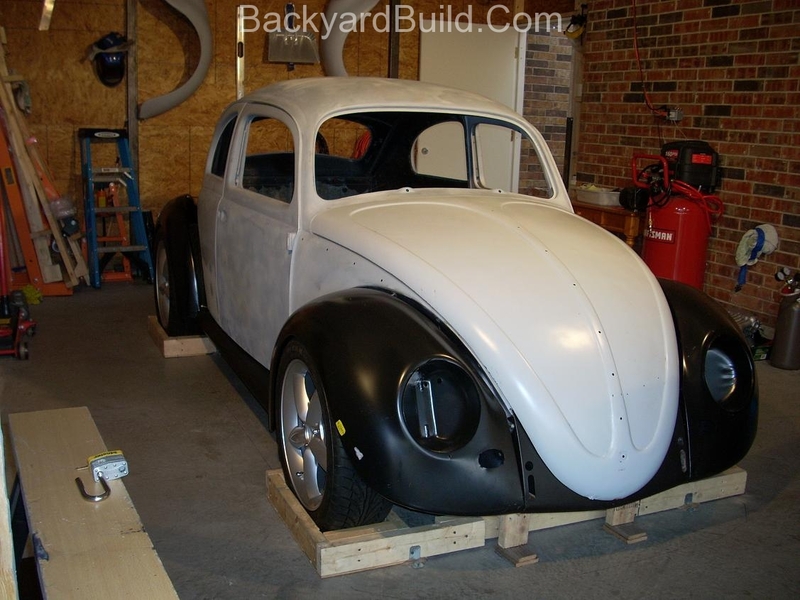 I don’t believe they are making them any more. 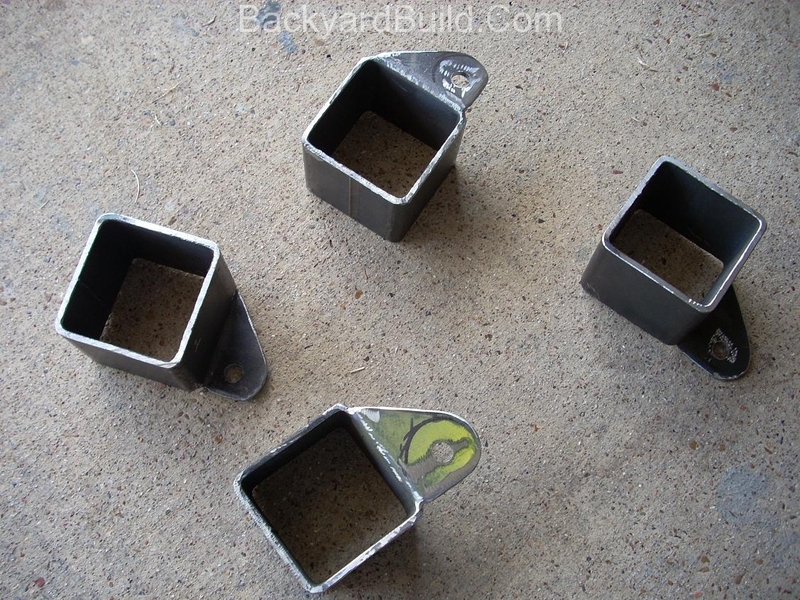 I have a spare of each size just in case. 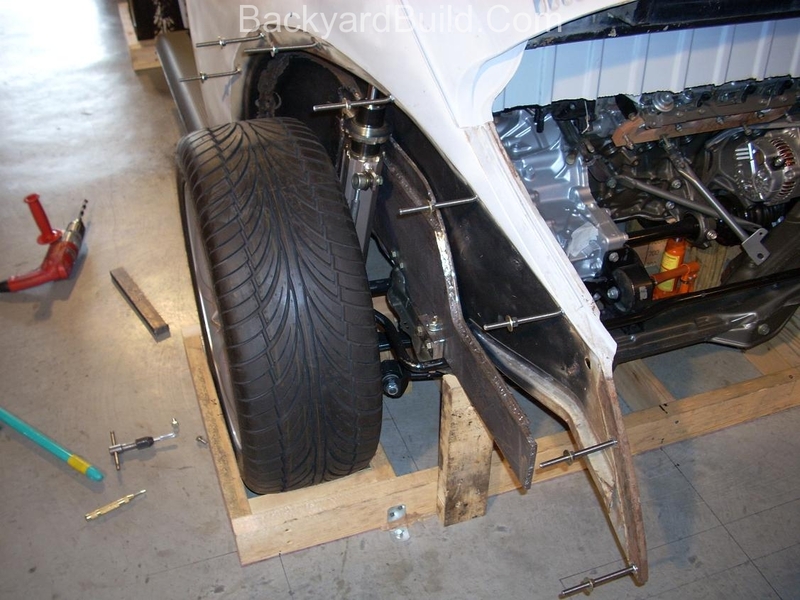 17 front 18 rear 205-60 front. 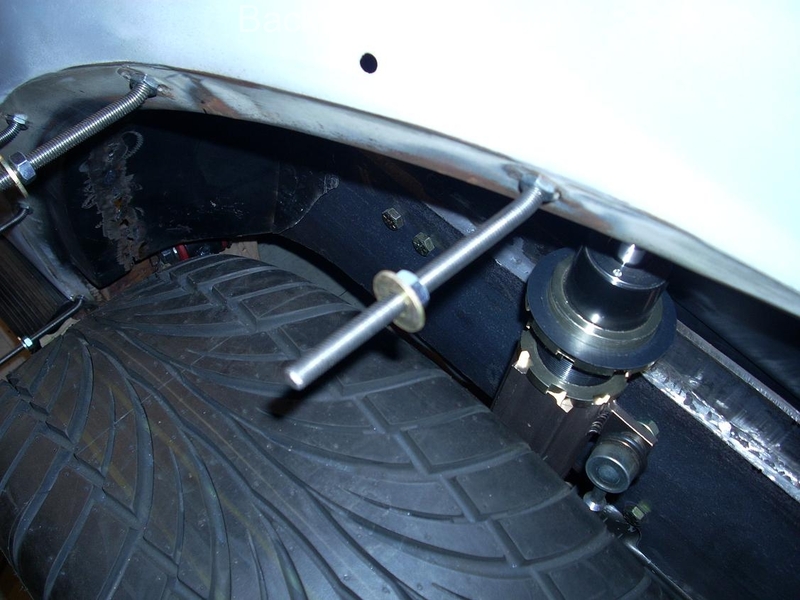 245-45 rear.